Do you have a find, story or review you want to share with us? We’d love to share and display it for other Fisher Fans to view. Please provide complete details. 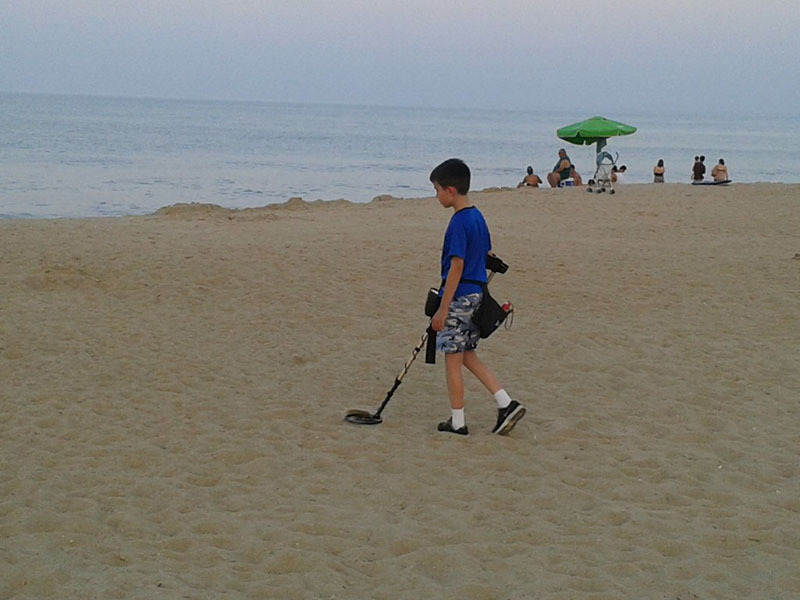 Include date, item and what model of Fisher Metal Detector was used; the more information the better. 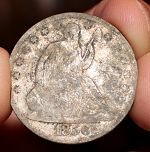 I got out for a little colonial hunting recently with my friend Joey Williams at a mid-1600s land patent site here in eastern Virginia, and made an incredible and ultra-rare coin find - a c1659 Lord Baltimore silver sixpence!! 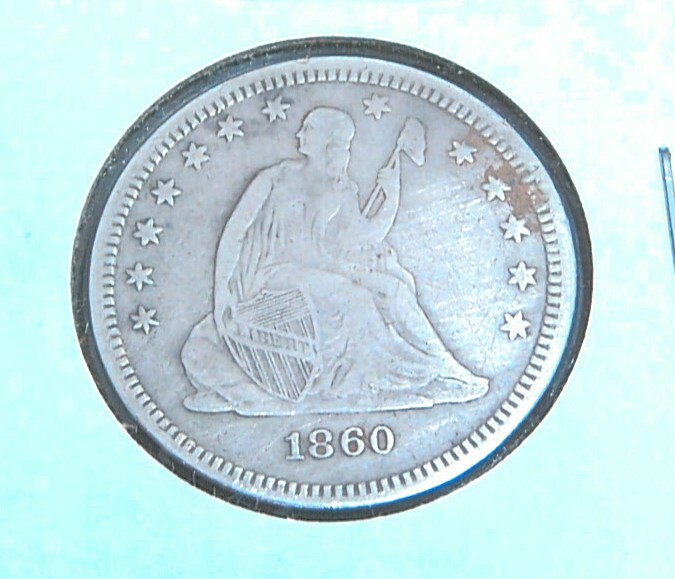 This is considered one of the holy grails of U.S. coins and has a great and interesting history behind it. 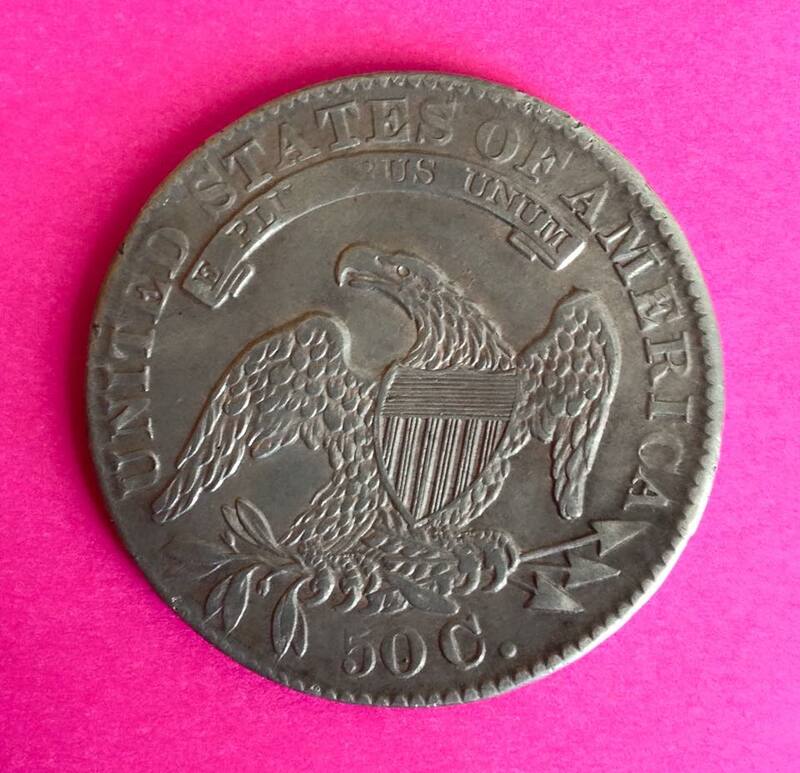 One reputable coin auction house calls it "decidedly rarer" than Massachusetts silver. 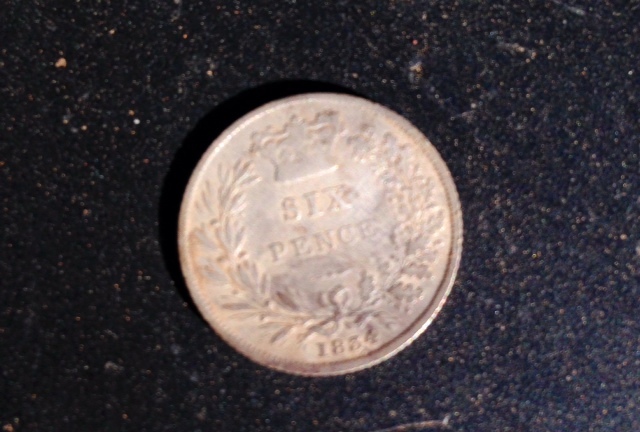 There are only about 30-60 of these sixpences known to exist and I know of only 2 others that have been dug in this country. 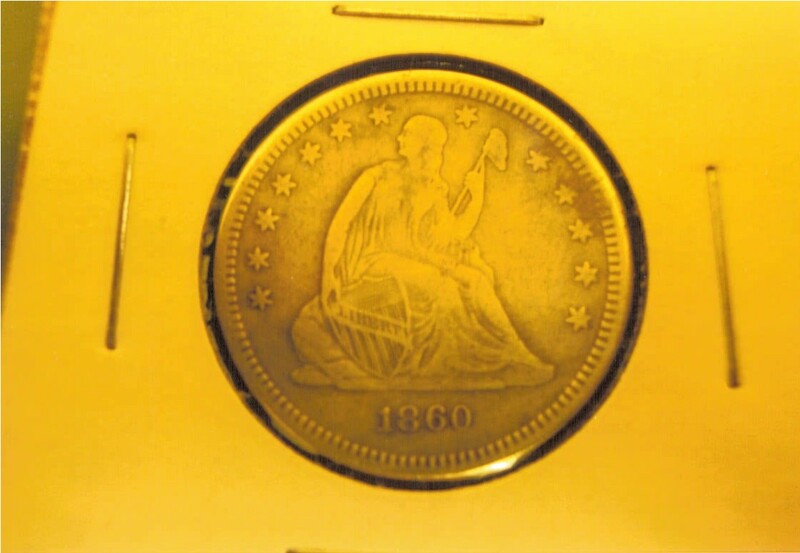 The average auction sales price of these coins over the last few years is in excess of $12,000! 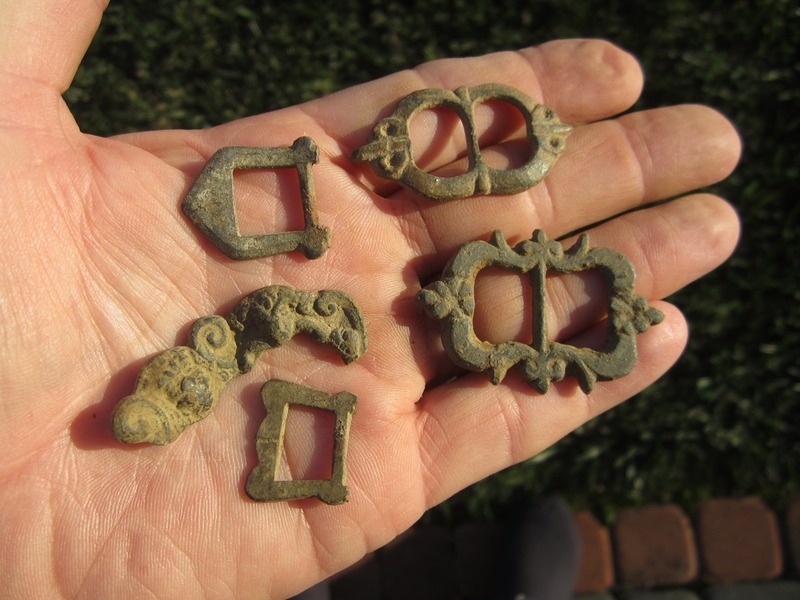 On a second trip to the site I was able to recover some fine early buckle specimens which are from the same period as the coin. All recoveries were made with my Fisher F75 detector. Although this site is now off limits due to the planting of winter wheat, Joey and I are looking forward to a return visit next fall. Not a bad way to start out my 2014-15 relic hunting season. I was hunting in the rain, summer of 2013 with my Fisher F2 on a downhill eroded trail. Got a super loud 97 VDI, thought it would be a can or large copper junk. Pushed away the leaves to see a small pile of sand caught between two large rocks. Thought to myself a large piece of trash or even a can wouldn't fit in this sand pile. 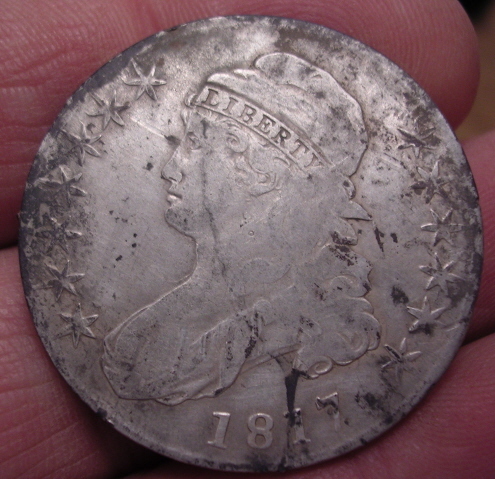 Pulled out my pinpointer and swiped it through the sand uncovering this 1833 capped bust half dollar staring me in the face. 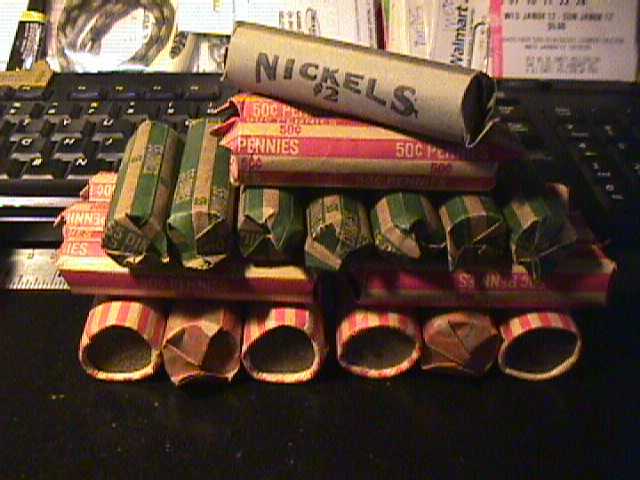 1 silver half, 14 silver quarters (3 Stnd Liberty, 1 Barber), 10 silver dimes (4 Merc and 5 Rosies) and 6 buffalo nickels. I received my upgraded F75 Ltd back so naturally, I could not wait to try it out. So, the next day I went to a pre-Civil War “Bleeding Kansas” skirmish site that has been hit hard. I usually use a 13” DD searchcoil, but opted for the 11” Elliptical DD searchcoil due to the corn stubble. Many of the Free-State Militia were equipped with Sharps rifles and I was hoping to find a Sharps bullet. I left the F75’s new DST setting in the default “ON” position, set Sensitivity to 93, Discrimination to 6, number Tones to the new 2L and Process to PF. The machine was stable and quiet, even near power lines running on one side of the field. 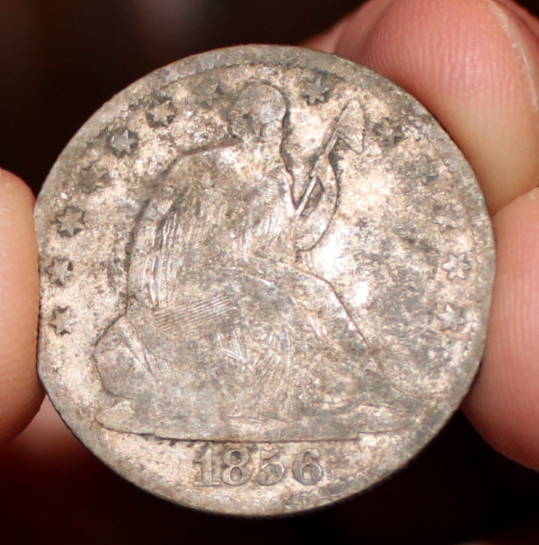 My first find was a tiny 1853-O Seated Half-dime down about 5-inches. 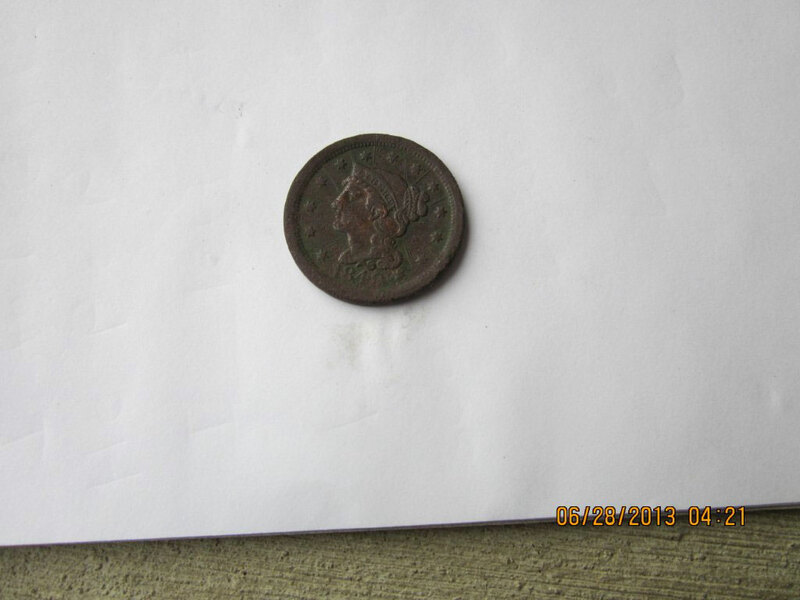 I then found a much newer 1895 Indian Head that the fertilizer had not been kind to. My first projectile was a .52 musket ball. I then found a .57/.58 three-ringer and a solid base .52. Finally, just before quitting, I found what I was searching for, a .54 ringtail Sharps. Needless to say, I am very pleased with the upgrade! I found this in east central Indiana. 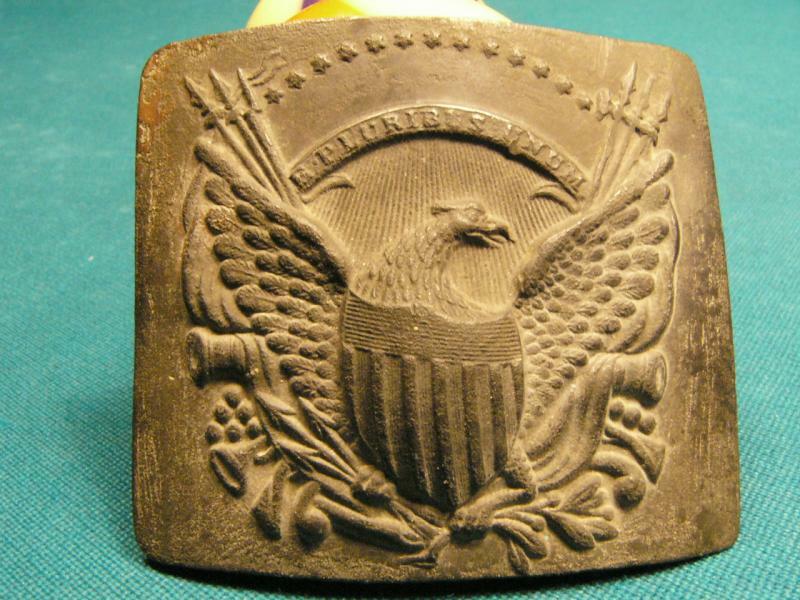 With expert help from American Digger magazine, I was told this is a very rare War of 1812 eagle hat insignia pin (head missing). It is thin brass and appears to have been hand-cut with shears. 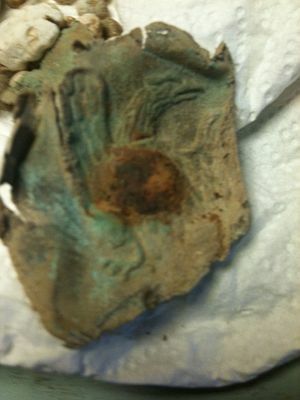 It was found with a Fisher F70, stock coil. I love my F70. Thank you for an amazing product! 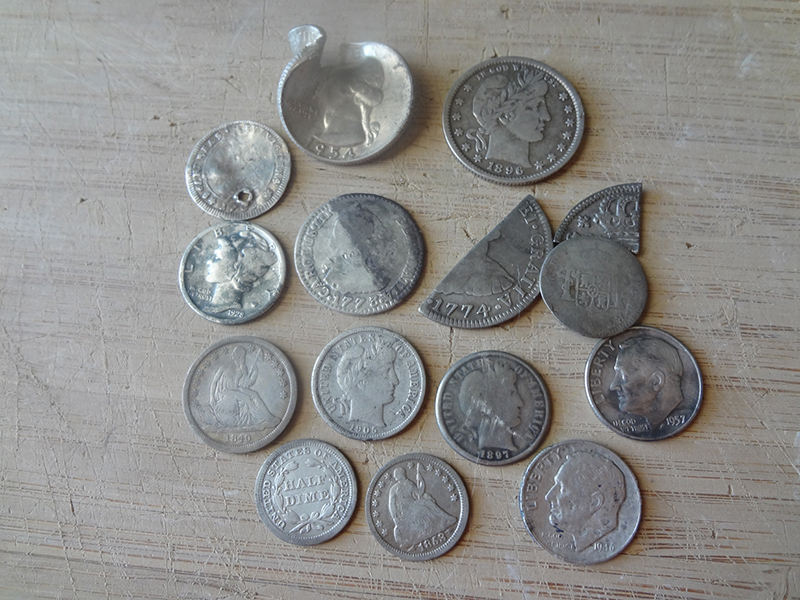 Here are a few of my finds I have made over the years with my F75. I bought the original F75 the month it came out, upgraded to the new F75 Ltd when it came out and recently upgraded again to the newest version ‘Enhanced’. 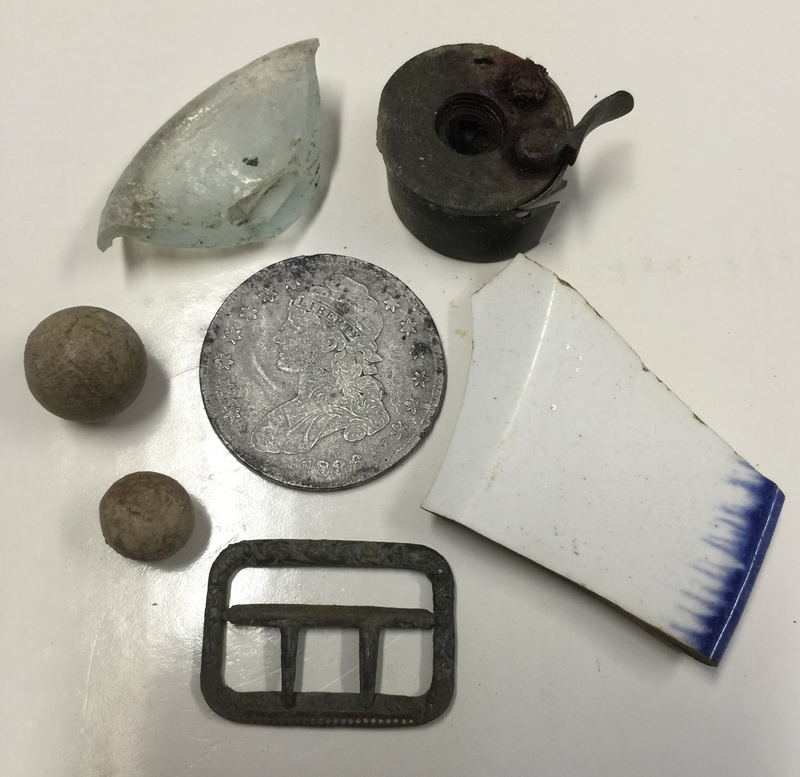 I mostly hunt Civil War sites and have found everything from complete plates to the smallest of bullets. 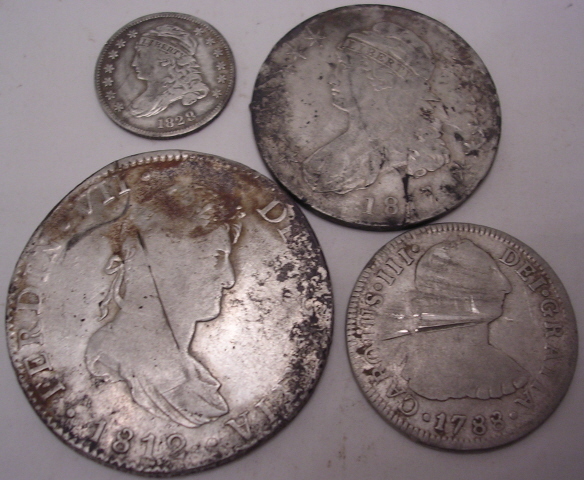 I have found my fair share of coins as well including a really nice silver dollar. I enjoy going to "hunted out" sites and really going slow through the iron and trash and most of the time walk away with something others have missed. I cant wait to take the new machine out to continue the success I have known since 2007! Over New Years weekend, a friend and I hunted an old California adobe site that we had just about written off as "hunted out". I decided to go slow and grid the area, and my first target was a black powder muzzle loader! 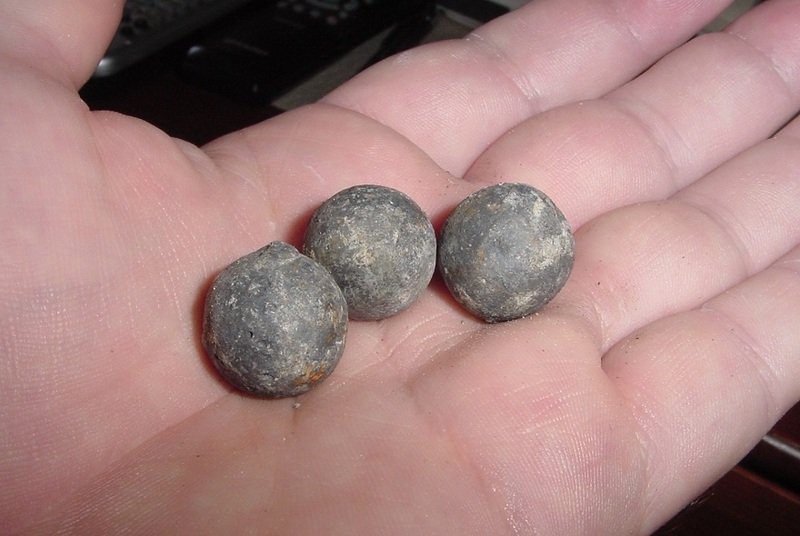 Then I picked up some nice musket ball drops. Then, about 10-feet from the adobe foundation, I got a pretty nice signal! 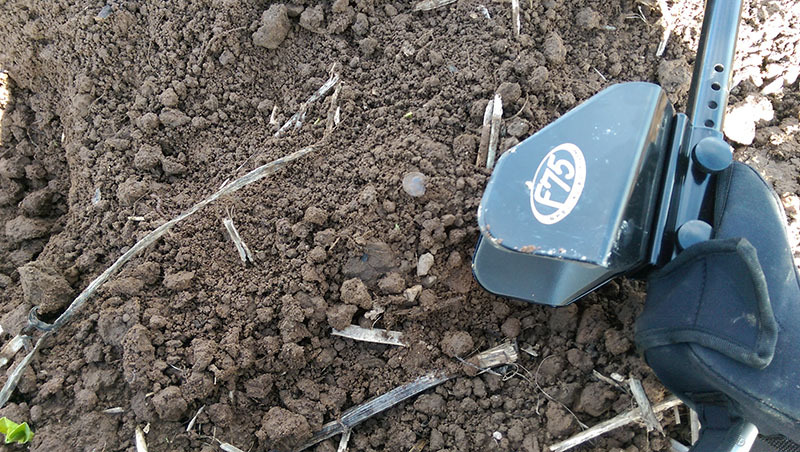 Dug down to 6-inches and the pinpointer wasn't making any noise, but the F75 Ltd Enhanced was still giving a sweet high tone. Dug down another couple of inches and now the pinpointer was starting to sound off in the hole. The next load of dirt and I was down over 8-inches in the hole. 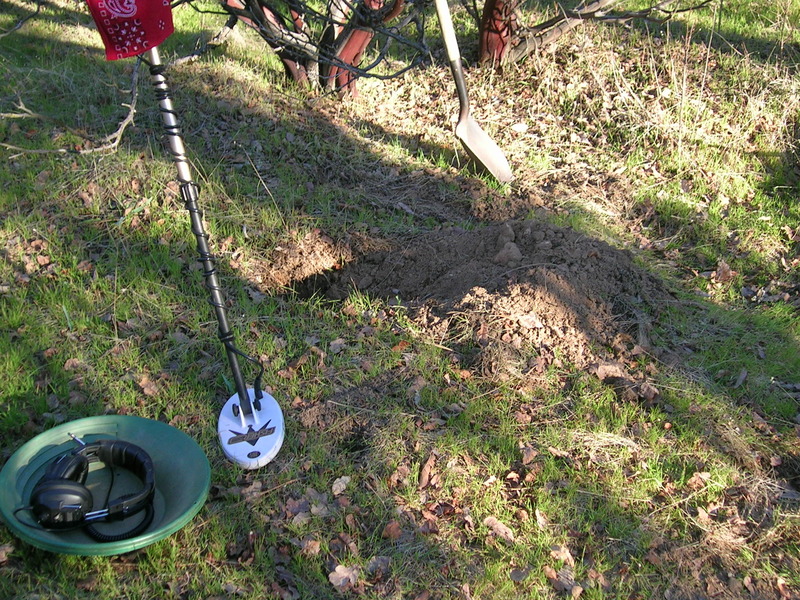 Probed the pile of dirt, the pinpointer was singing now, the target was out of the hole! 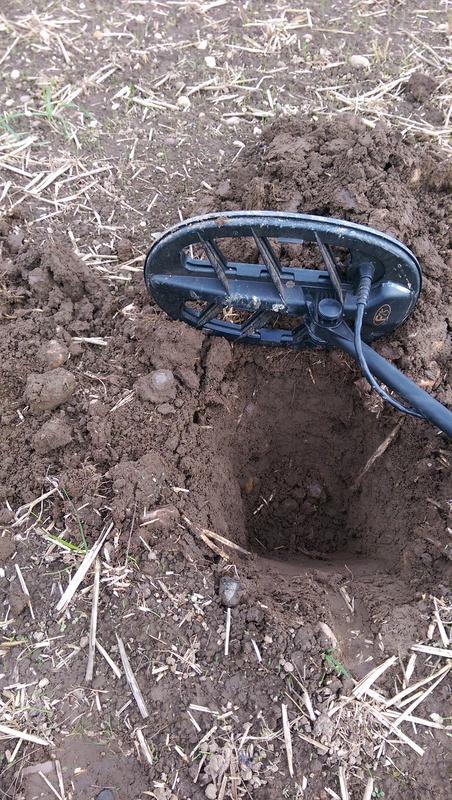 As I felt around in the dirt, much to my excitement I felt a large round disc, pulled it out, and it was a large round grey disc, but no reeded edge. I rubbed some dirt of of it and now I could see an eagle on the back, I flipped it over and I was staring at an 1836 BUST HALF!!! 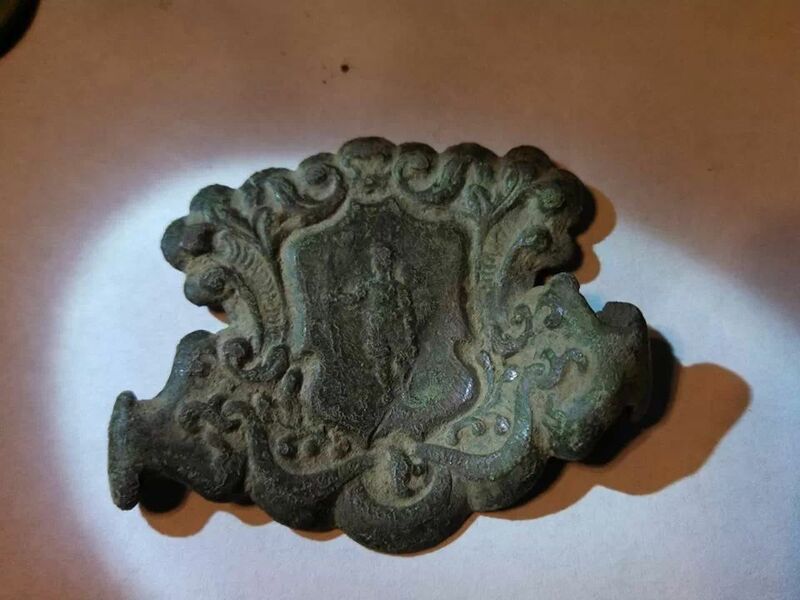 Hunted some other sites in the area and found a trigger guard from a 1700's Spanish pistol, a nice gold gilt decorative pre-industrial revolution buckle, a three ringer, and more relics. 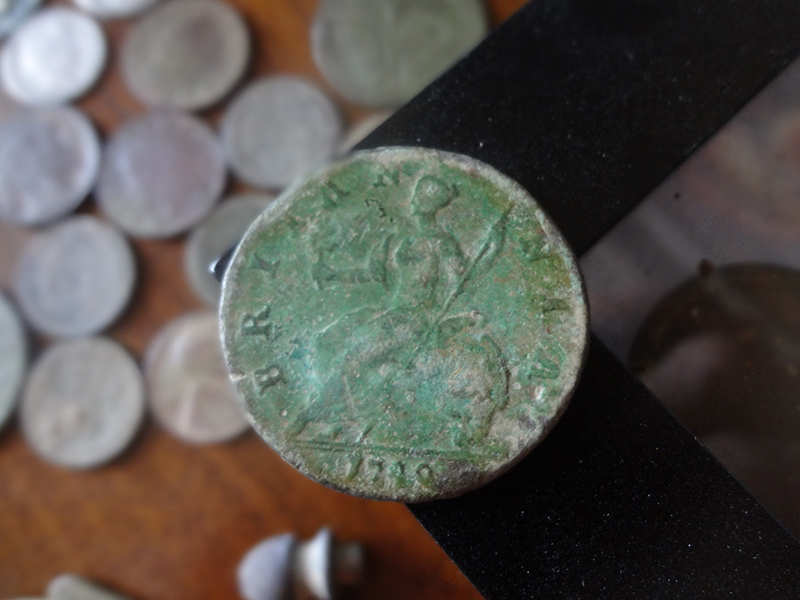 Great way to start off 2015 and this is my first bust coin, one that's been on my bucket list for a while. On October 10,2014, I decided to try a park I've been wanting to metal detect for a while. I decided today was the day and sure enough within the first 5 minutes I found a 14k white gold band -- my first ring with this detector! Then about 20 minutes later (after recovering some clad coins) I found a gold plated 1974 quarter, my first ever! I also found a limited edition Disney pin. Had a good day and I love this machine! 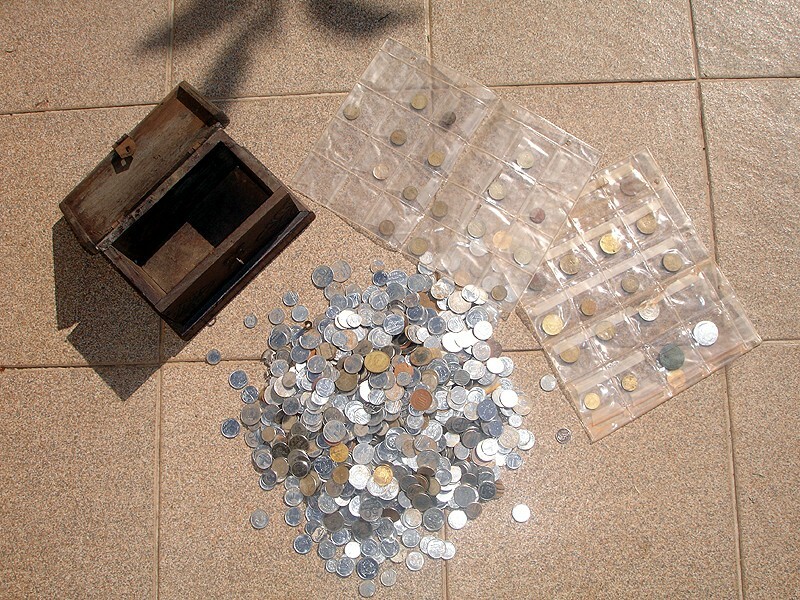 Some days I will go to a local school and recover up to $7 in clad within 2 hours. The F5 has a fast recovery system and great discrimination for hunting trashy areas. 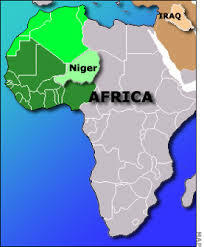 Unearthed in Niger, along border with Libya (the top right corner on the Niger map below). 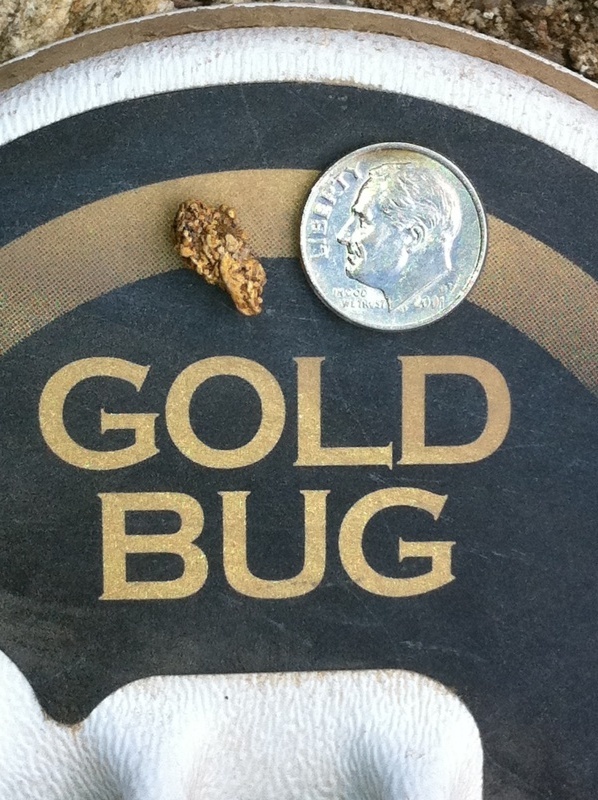 All found with the Fisher® Gold Bug Pro. 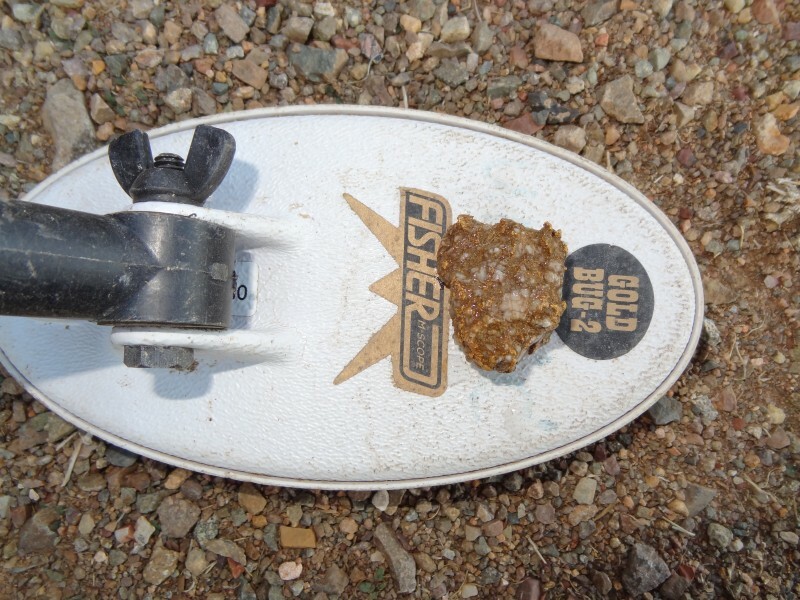 I recently found an incredible gold nugget in California using the Fisher® Gold Bug 2 with the 10-inch searchcoil and headphones. 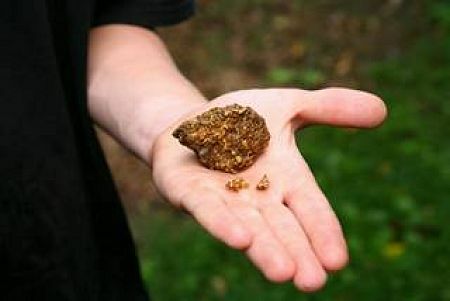 Its dry weight is 4 troy ounces and specific gravity indicates 3.74 ounces of gold content. 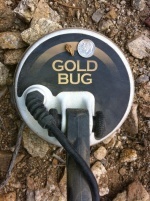 Nice work Gold Bug! 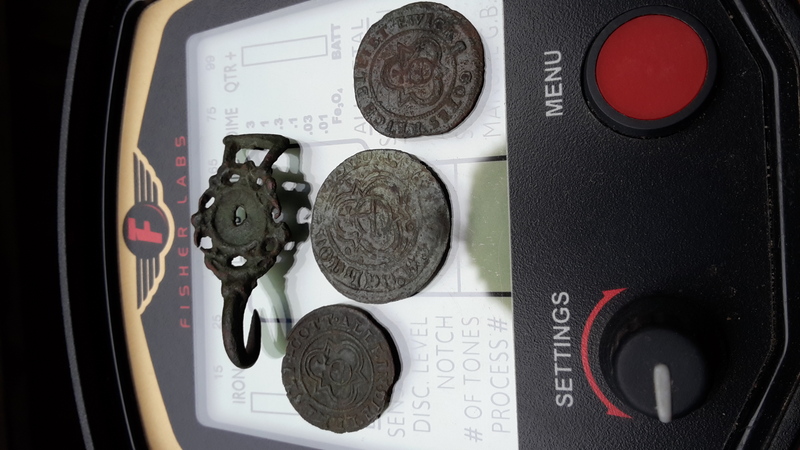 Also found with the Fisher® F75Ltd with the 11”DD searchcoil: Elizabeth coin from the 1500’s, over 15” deep! Sensitivity was at 65, in JE Mode, 2F Tones. The F75 has power and depth! 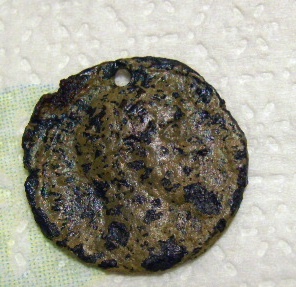 Roman coin found with the F75. Signal ID was in the 30’s and target was 8 inches deep. Sensitivity was at 80, 2f Tone setting, Disc set at 4 in JE Mode. Adam's find: first day out with the F2. 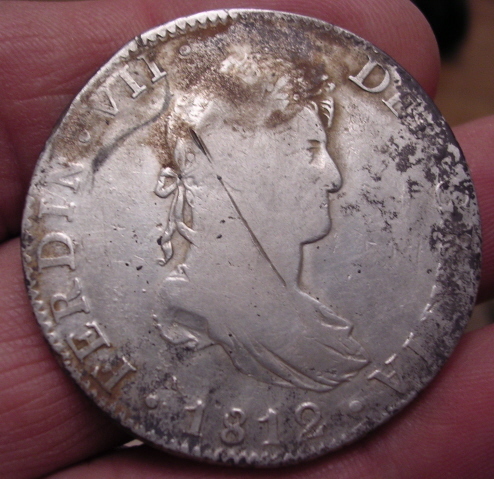 I got an 1834 Silver Sixpence with the F19 on first time out with it! On Thursday last week I decided to purchase a Fisher® F19Ltd detector. Friday it was delivered and on Sunday there was a rally being held at a farm that I had obtained permission for our club to detect on. 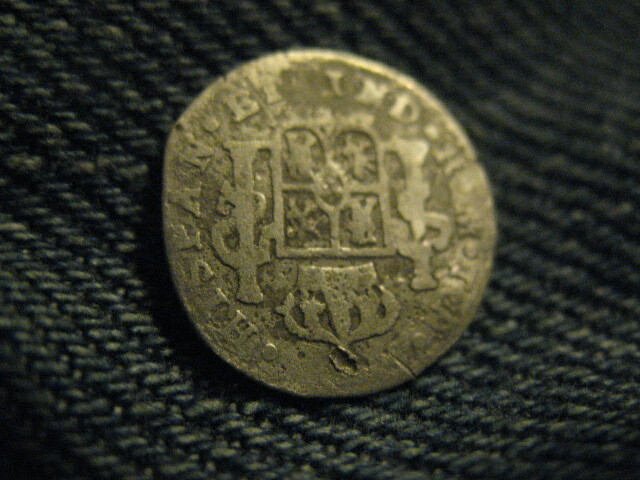 1 William III 1697 silver shilling. I found this just about 2 weeks after the SNY. 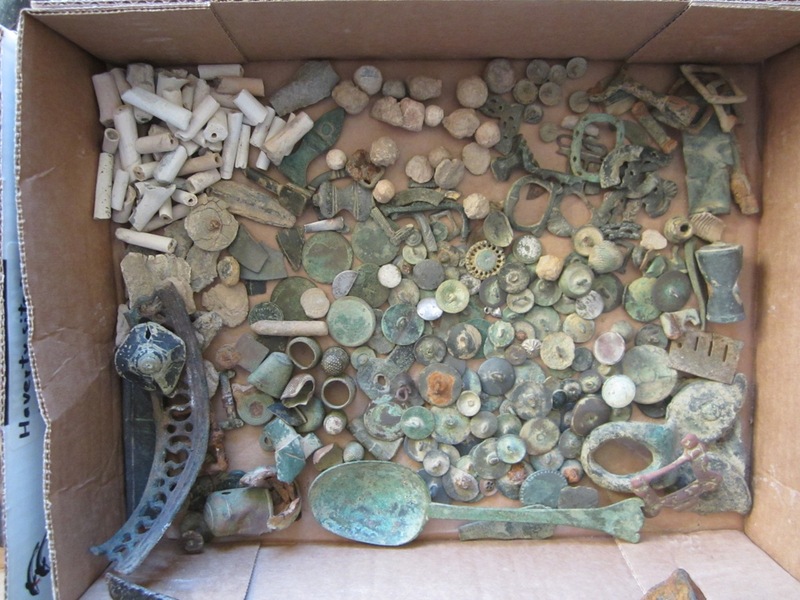 A nice US box plate and many other nice relics for that day. 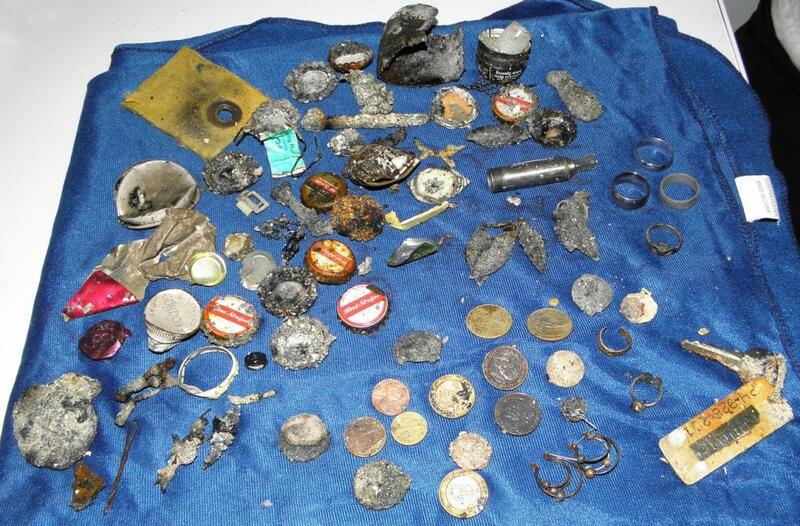 These were all dug in The Battle of Seven Pines area using a Fisher® Gold Bug® Pro/DP. 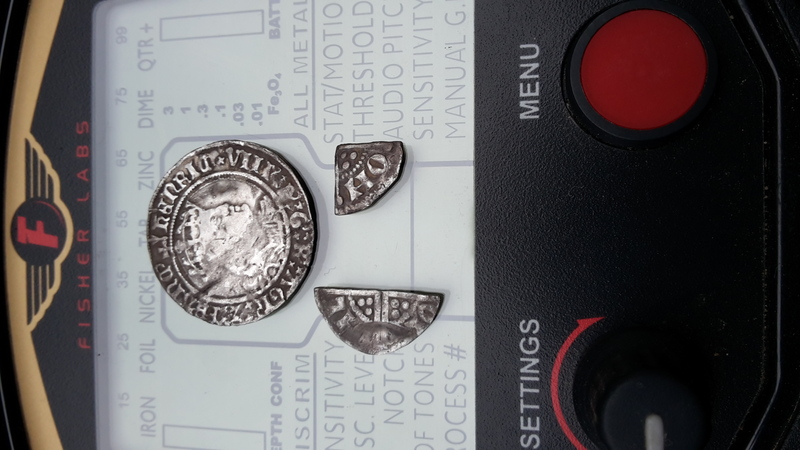 This is now my 4th plate found with this machine. The little 5" searchcoil and my F75 got it done! 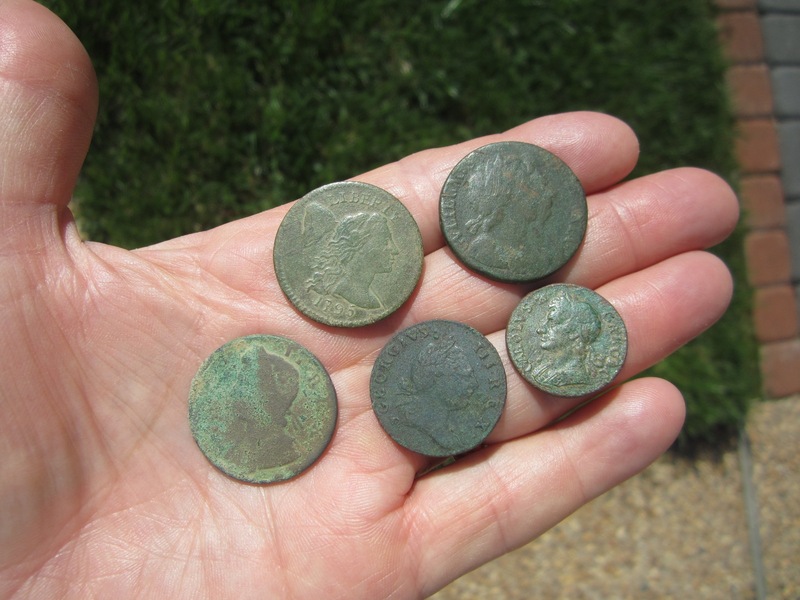 I dug 6 buttons, 2 pewters, a tombac (a small 2 piece and a small 1 piece) and a luckily a rare Martin Van Buren political flower button. It's Alberts PC 121 RV 100! 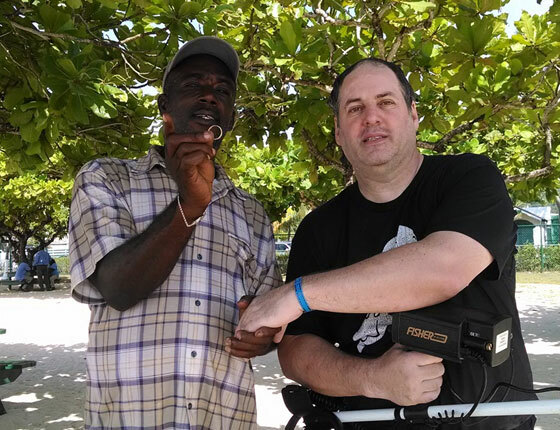 On a recent trip to Jamaica I was detecting a beach and I was approached by a gentleman with a handful of brochures in his hand, saying he wants to ask me something. I expected him to try and sell me something but instead he asks if I can find his “married ring” (wedding band). I was suspicious but followed him to where he claimed to have lost it. It was in waist deep water and he placed a large rock on the bottom where he thought he lost it. He was vague when I asked him to describe it. He had told the locals he lost it and two were snorkeling around the immediate area looking for it, which made it difficult for me. They had been fanning the water searching for it. 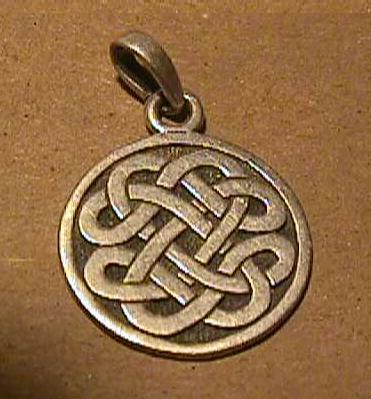 But here, its finder’s keepers, they were more than likely looking for it to keep for themselves or sell it back to him. That’s how things work here. I begin to search and on several occasions got loud target signals and each time I would prepare to dig the two snorkelers would swoop in. 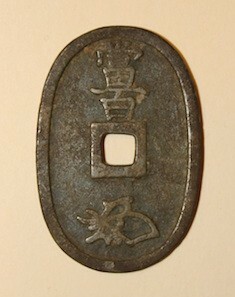 The first target was a coin, the second was a junk earing. I then dug a few bottle caps and show them each time, letting them know I have nothing to hide and they finally start to drift away from me. I moved into shallower water, got a good signal. 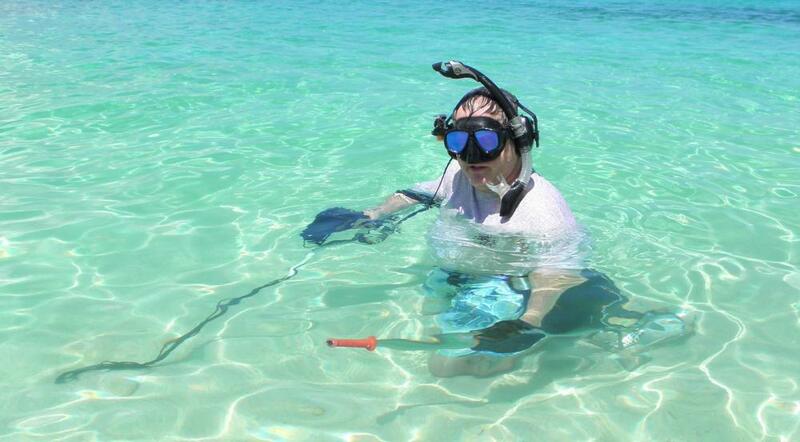 I wait until the two snorkelers turn away a scoop up the target, and see a gold ring slide down into the bottom of my scoop and just then they looked toward and I replied “bottle cap”. I leave the ring in my scoop and wade into deeper water until I can recover it safely from the scoop without them knowing. Then I realize I have to produce the goods so I move into the shallows and pretend I find it there. I held it up to show them, then slip in on my fingers and their smiles disappear. They now curse a bit and complain that the ring was not anywhere near the rock marker. 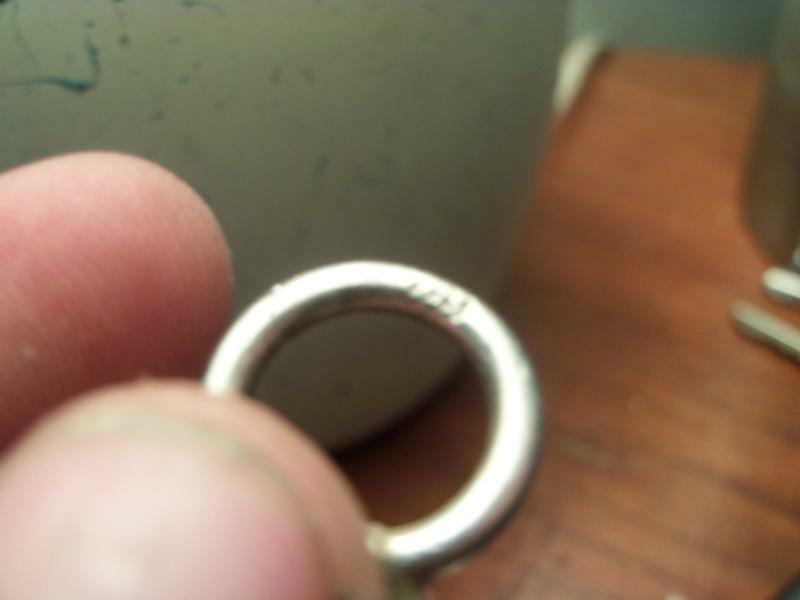 I find the owner, Lesga, sitting near the beach and ask him to identify what it says inside the ring, which he does, and I then hand him the ring. There was a small crowd of people around watching everything and they became puzzled when I simply gave the ring back to the owner. “You are just going to give it to him?” one asked, “you are not even going to ask for a reward?” another asked. “No” I said, “I return stuff all the time and never take a reward” and of course they all think I am crazy! 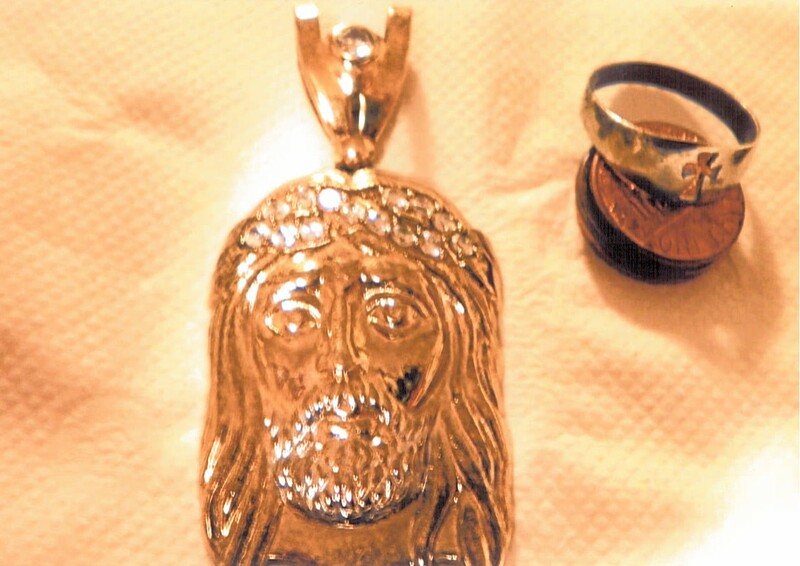 One man grumbled that if is his friend had found the ring he was going to buy a used car with it. The owner offered to buy me lunch but I told him a handshake was good enough. I told him I would like to get a picture of him and me, but that my camera was with my girlfriend way at the other end the beach. Later in the day he showed up and I was able to get a photo. He told me then that he had lost is a week ago and that his wife thought he sold it and was going to throw him out of the house. He wanted a picture of the “great white hunter” to prove to his wife that he had actually lost the ring. Everybody was happy. I take several trips a year to the Caribbean and this time I decided to visit a location I had not yet visited: Jamaica. Arriving late on a Sunday I was able to check out the resort beach where I was staying and it was not good. There were 4 small coves near my bungalow and they were all dead coral reef with little to no sand on top of the coral. 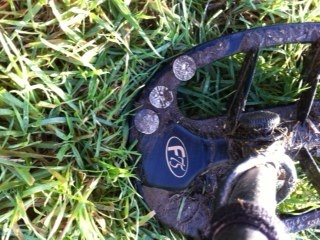 I found a few coins but quickly realized I would need to find other places to water hunt. Day 2 - I headed to Ocho Rios where the tourist and cruise ships dock. There seemed to a fair amount of targets, many were Jamaican coins which read low on the CZ-21 so I assumed other hunters were discriminating them out. 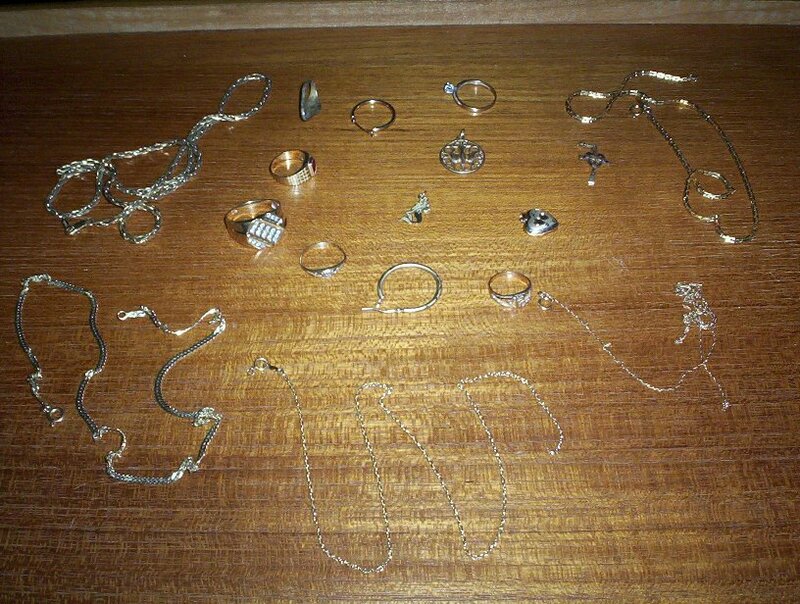 I found a silver bracelet, a ring and 2 junk rings here. As I headed towards my hotel further down the beach a local asked if I would search for a ring he lost. I did end up finding it for him, but that’s another story. Locals here can be aggressive when it comes to tourists searching the local waters for gold and silver jewelry. I was confronted several times by people demanding to know what I had found. Day 3 - I drove to another resort but it too turned out to be a poor beach. 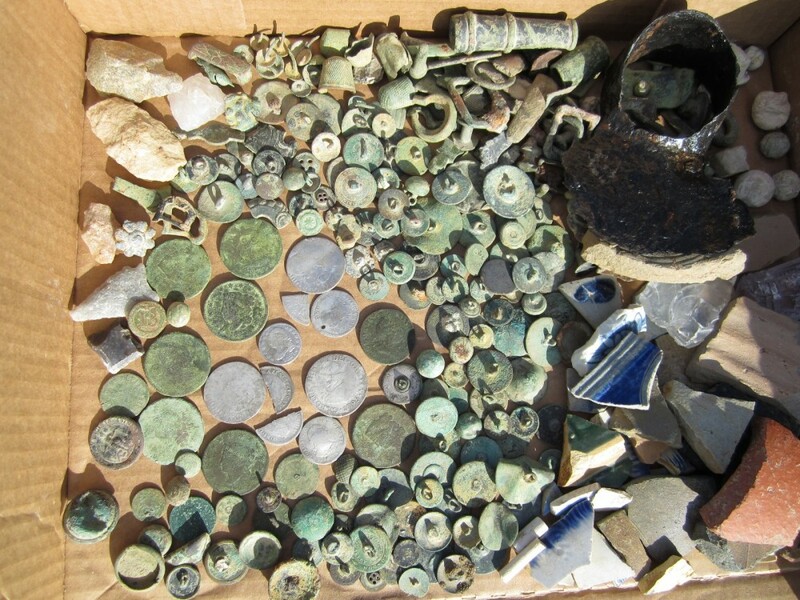 Heading back to our resort I found a local spot that was loaded with coins. I was digging 10 good targets for every piece of junk. 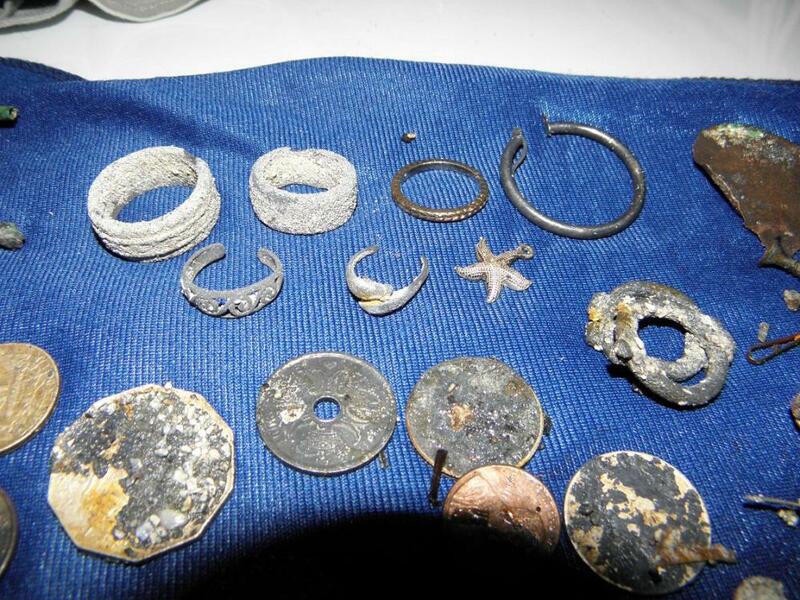 The sand was soft with a lot of new coins but some were deep so I knew there had to be some jewelry. 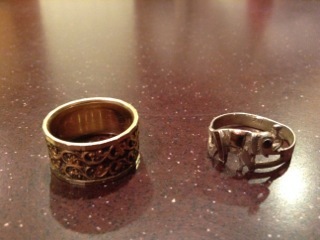 I dug a junk ring then a silver one and another junk ring. 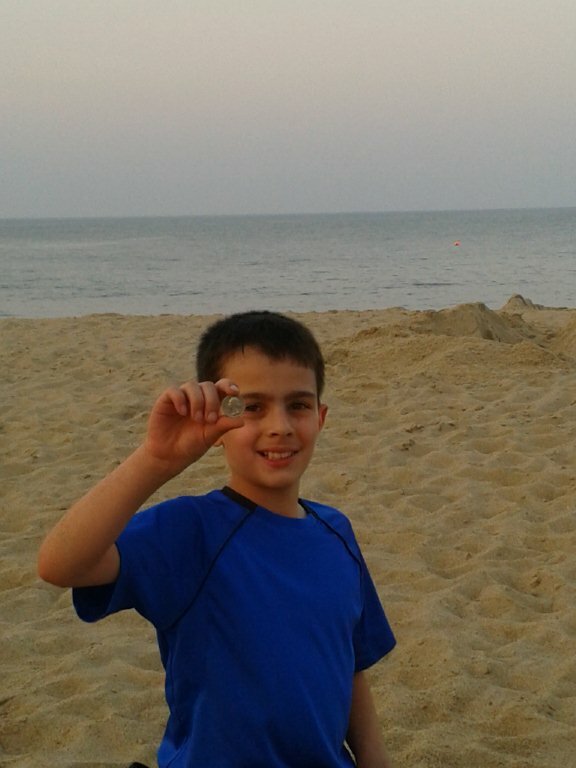 The sand was soft and some of the coins were deep. I got a blast in my earphones and I a class ring in my scoop but it turned out to be a gold ring with a huge peridot stone in it. Nearby was a silver ring, but it was time for me to leave. Day 4 - I went to another resort for the day. 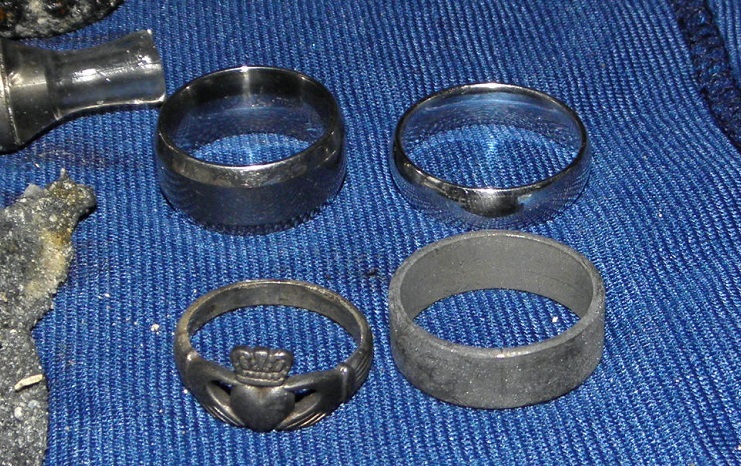 I dug several junk earrings, a few coins but also found a white gold wedding band. The beaches near this resort had a lot of junk metal. 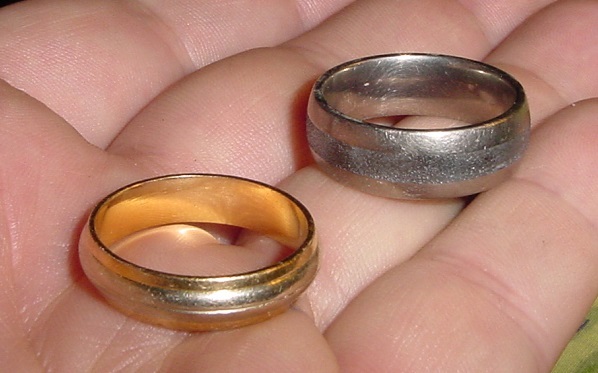 I found a tungsten carbide ring then a silver wedding band. The sand here too was very soft which meant targets could be very deep so I switched to all metal and turned the sensitivity all the way and began digging the faint signals. 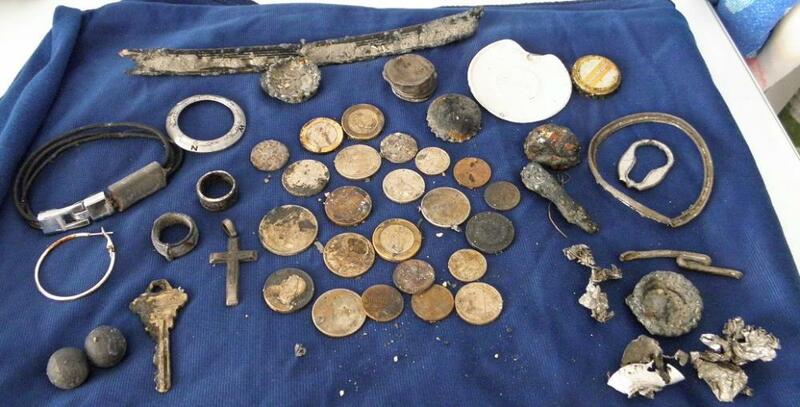 I began pulling targets from about 2 feet deep; first some coins then a white gold band….Bingo! This method was working. Not 2 feet away another faint signal and up came a titanium ring. 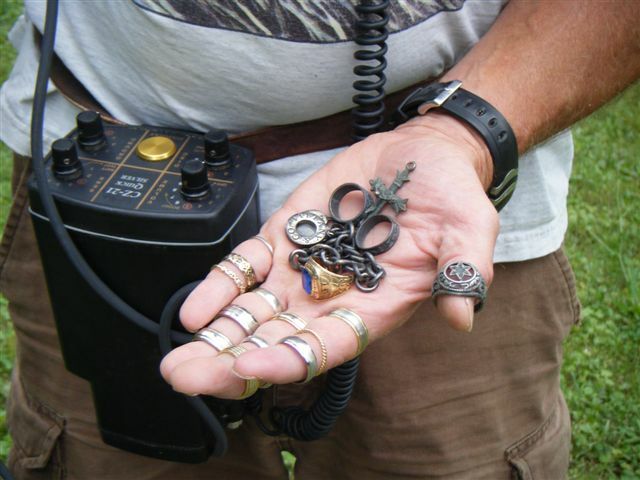 More whisper signals yielded more deep coins then a palladium ring. On my way back to shore I dug a small white gold band. 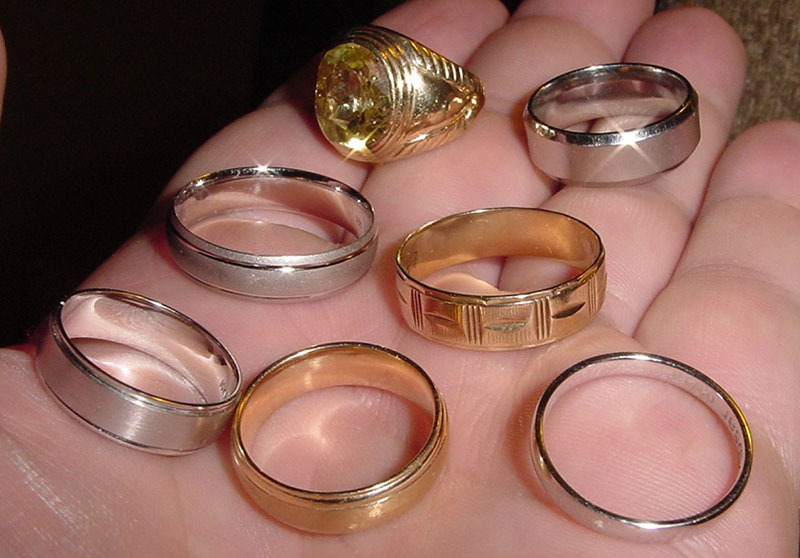 The day turned out pretty good: 8 rings and four were gold. Day 5 - I only had a few hours before I needed to pack to leave. It was a high tide so I was at a disadvantage. 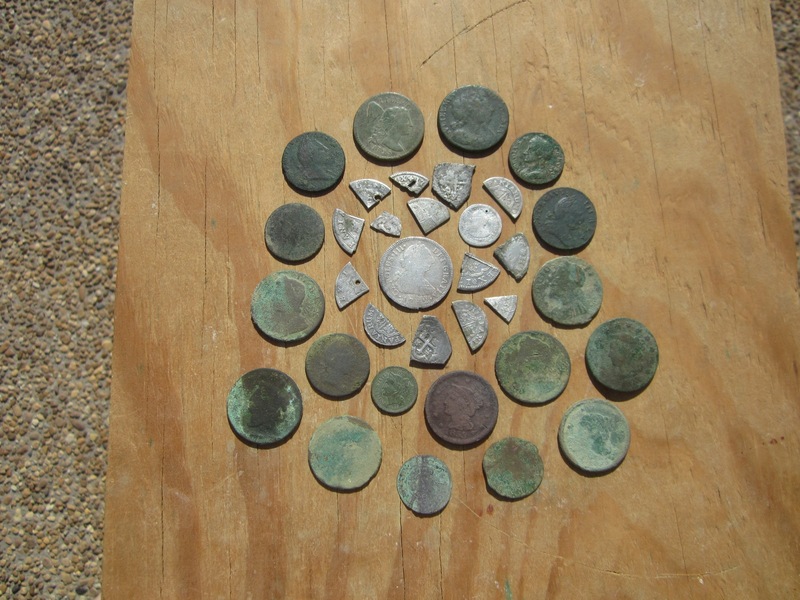 I found a good amount of Jamaican coins, some shallow, some deep and some junk jewelry. Time was running out so I headed back towards the resort. The bottom turned to hard coral under a thin layer of sand but I got a good signal in 2 feet of water so I dropped to my knees and began fanning the sand with my face in water, watching for the target. Using my dive mask I had to put my face within inches of the bottom because water was so cloudy. Bingo! In a crevice of coral I could see a ring, and it turned out to be gold! I could not ask for a better way to end my trip. I ended up with 20 rings. 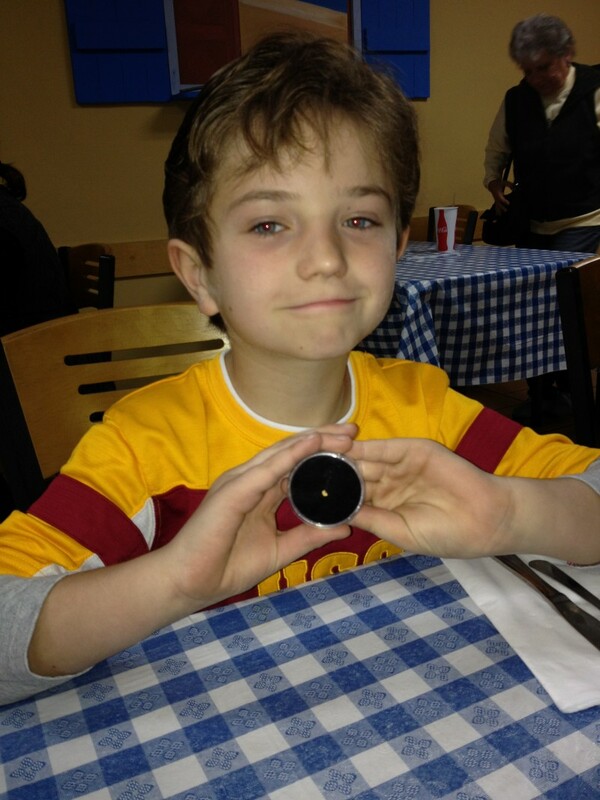 Adam’s first silver quarter with the Fisher® F2! 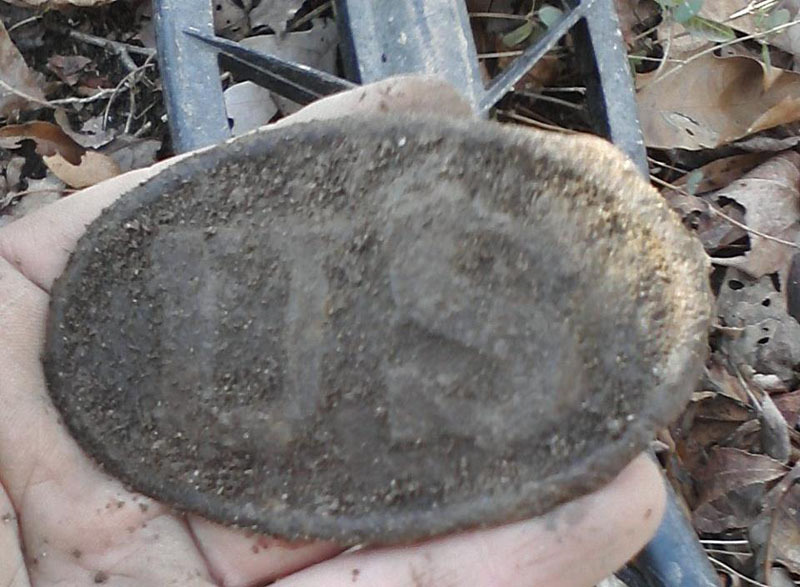 Found by Brant Jones, from East Central Indiana, with a Fisher F70. 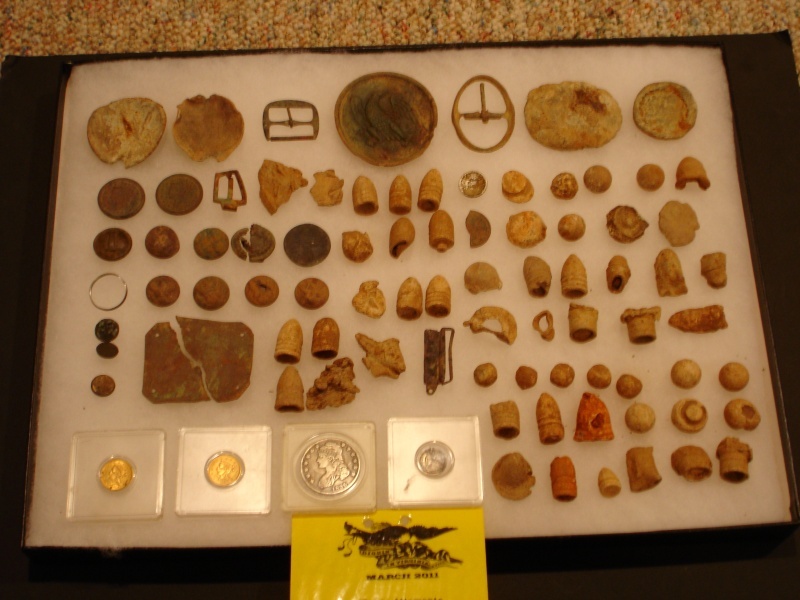 I just completed my 2013-14 relic hunting season and had another outstanding year with the recovery of many colonial artifacts and coins. 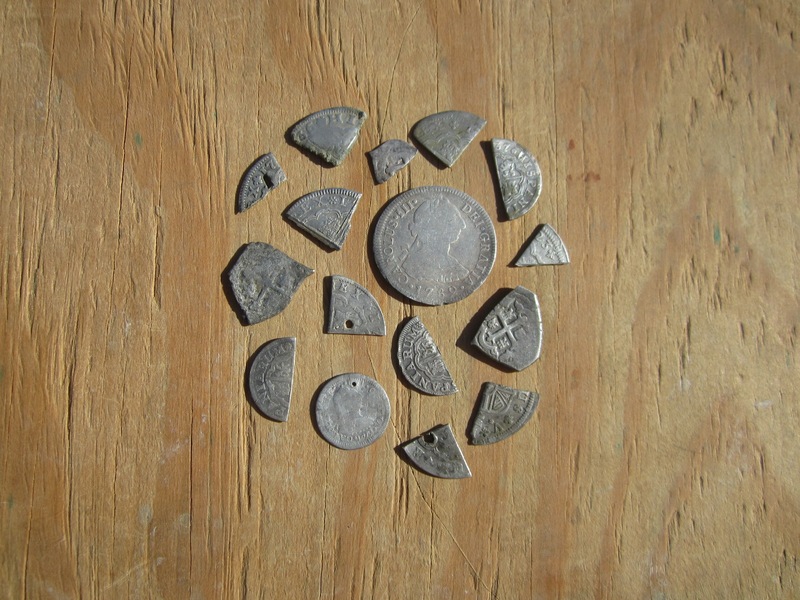 My finds included 16 Spanish silver coins, some unusual early coppers, numerous colonial buckles and buttons, as well as some interesting iron artifacts. 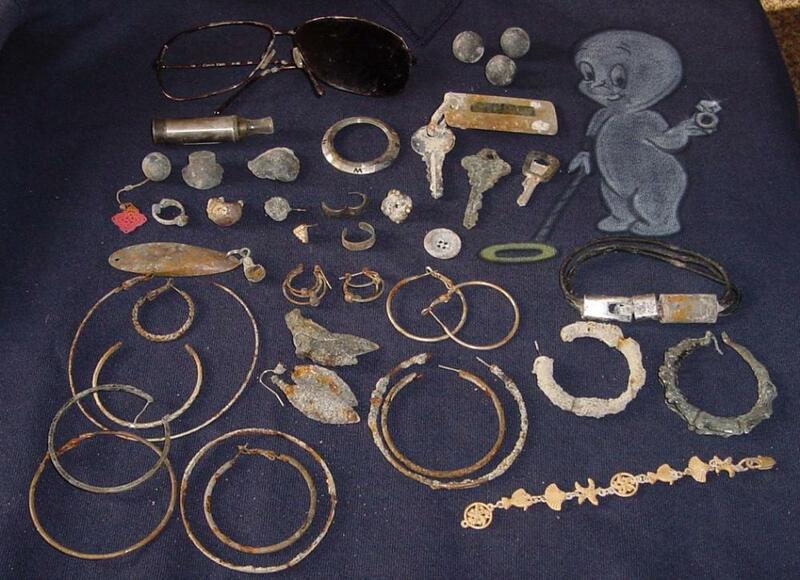 Many of these items were found in and around early house sites which are loaded with heavy iron. 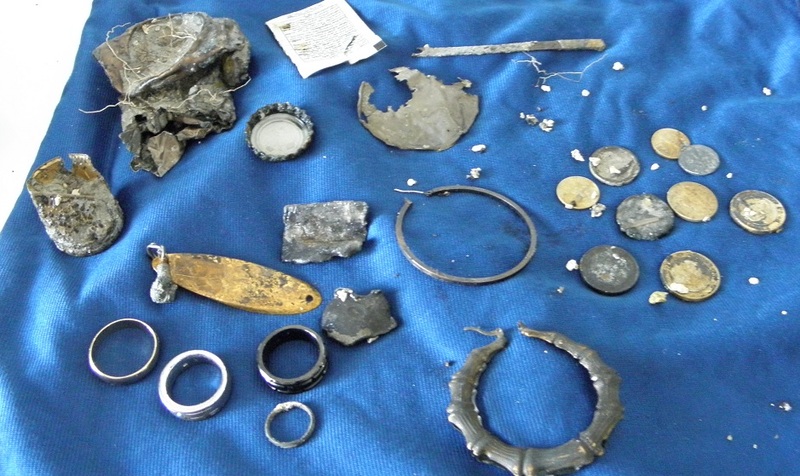 The F75's excellent target separation ability and depth were instrumental in the recovery of these artifacts lost by some of this country's earliest settlers. Looking forward to getting back out in the fall. 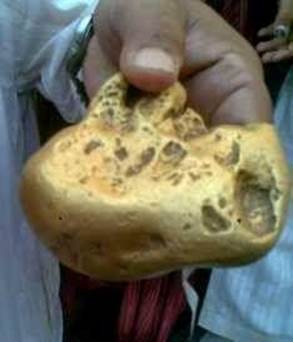 Unearthed last week in West Africa with the Gold Bug®. 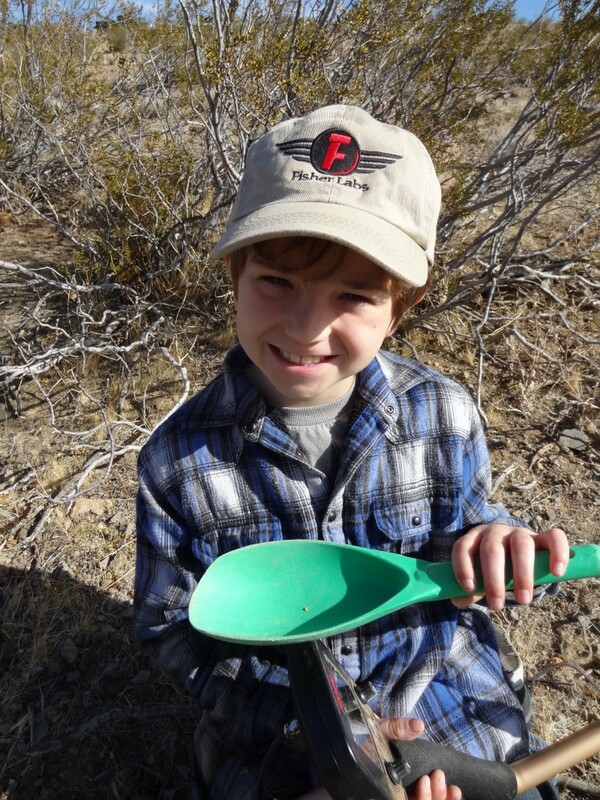 My name is Matthew Vaughn and I have been a proud Fisher® owner for a year now. Toward the end of February, 2012 I received my Fisher® F75 and it has been a blessing. 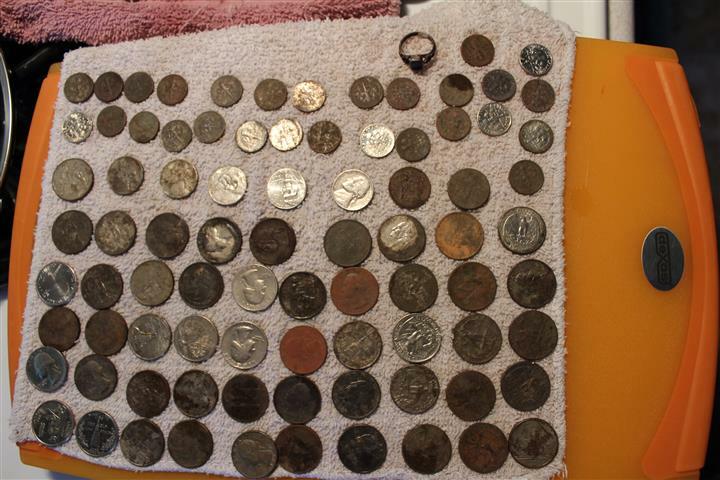 I started metal detecting mid-July of 2011 with a bottom of the line detector and found a few things, but wasn't satisfied with it's performance overall. That's when I decided to upgrade to the F75 and I will never turn back or look to another machine. 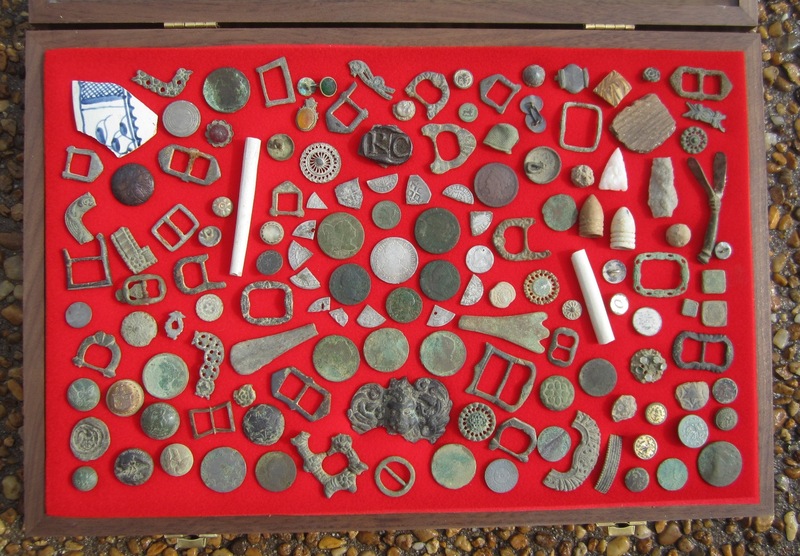 In a years’ time, just between three main hunting sites in Winchester, Virginia and Boyce, Virginia I have recovered over 100 buttons ranging from early to mid-1800's to colonial era buttons. My prized buttons are my Virginia officer's staff button with gold gilt and my hard to find Rhode Island officers staff button. 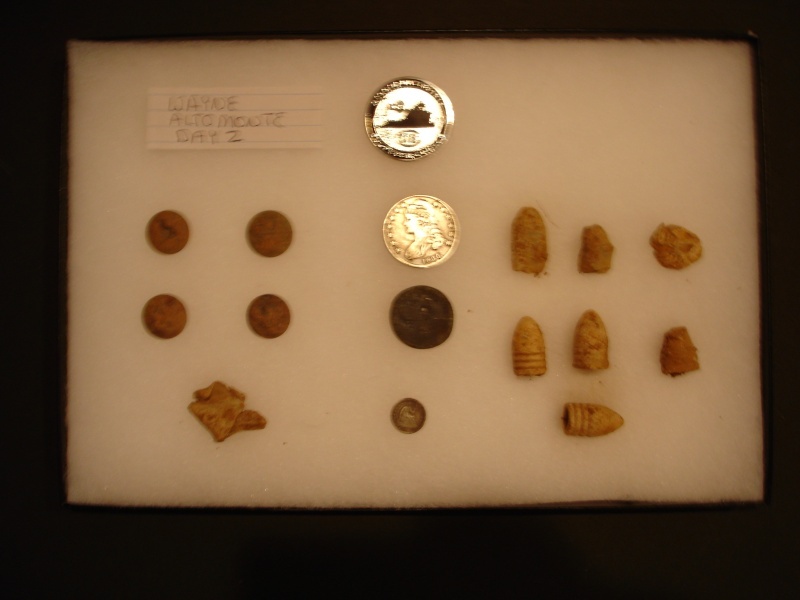 I have also recovered close to 300 Civil War bullets. 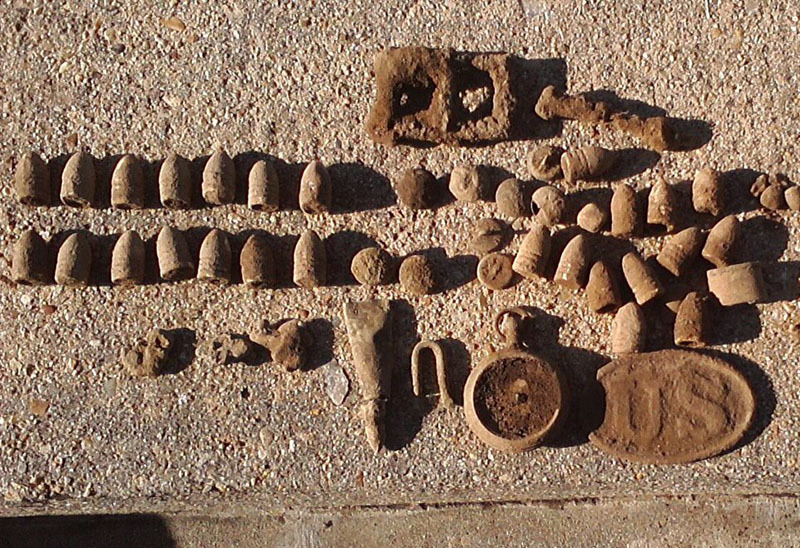 Ranging from confederate enfields, 3 ringers and gardners along with a bunch of union bullets. My most recent find on 2-18-2013, I recovered a relic hunters dream. 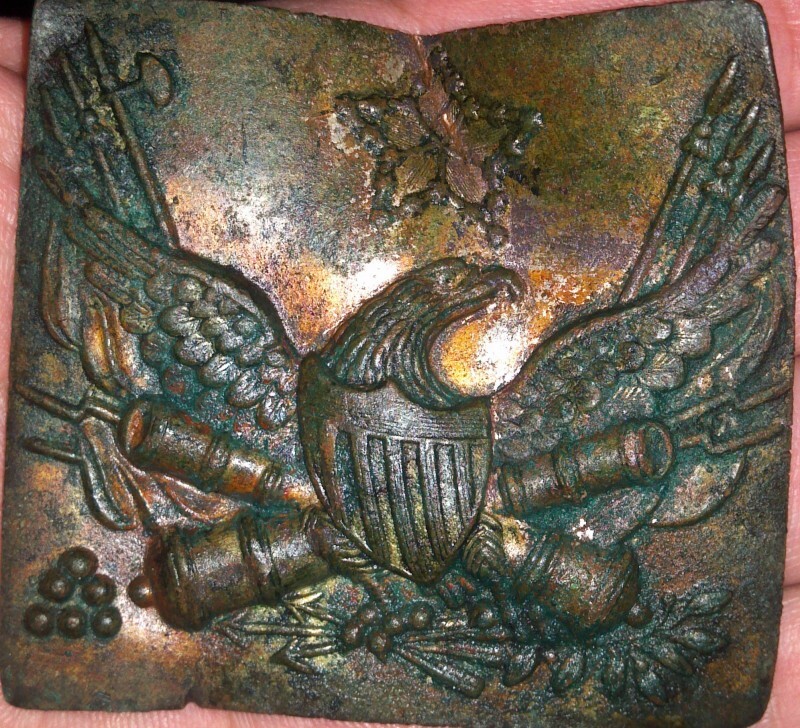 I found my first Civil War Eagle Sword Belt Plate. 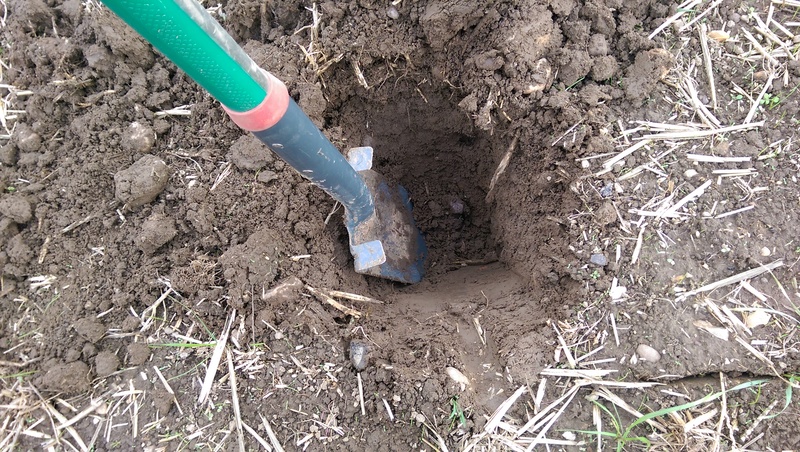 The signal was perfect and as I dug the hole and moved the dirt to the side, in slow motion I saw the buckle right on the side of the clump of dirt that I just moved to the side. I was in complete shock and that moment will stay with me for the rest of my life. 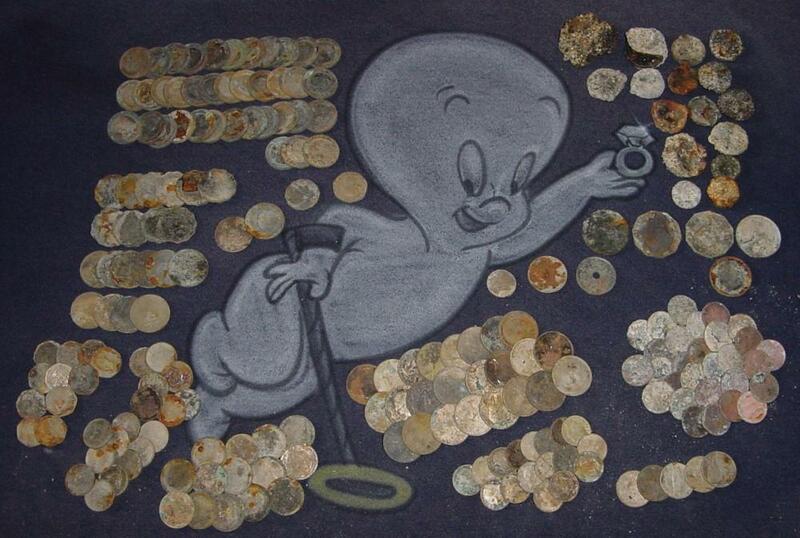 Along with all of the relics I have recovered, I have recovered a nice amount of coins. 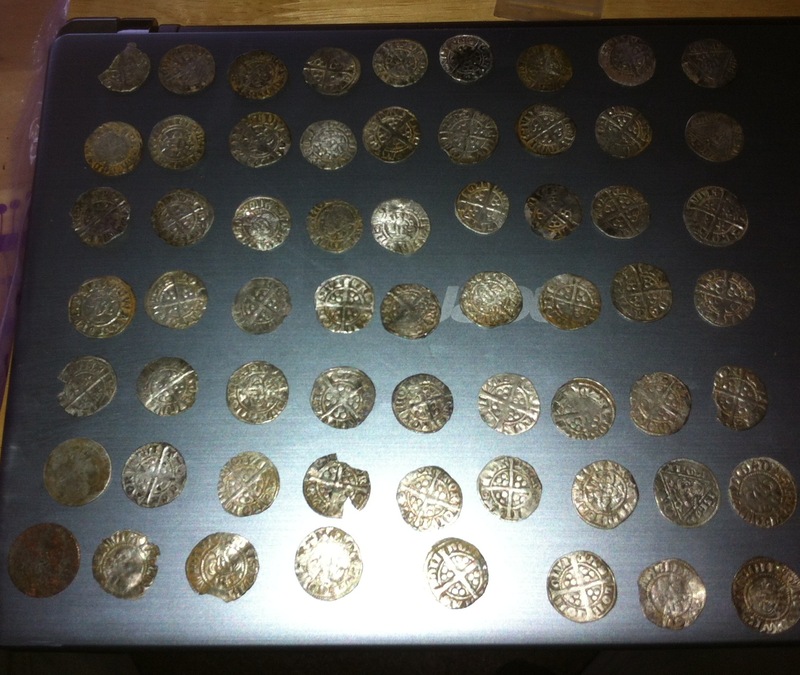 I have found 15 - Silver coins in my year of detecting with the F75. I have found 4 - 1700's Spanish silver, 2 - Early seated half dimes, 1 - Seated dime, a Barber quarter, 2 – Barber dimes, 2 - Rosie dimes, 1 - Washington silver quarter, 1 - Mercury dime and my oldest silver coin, a 1708 Silver German coin. 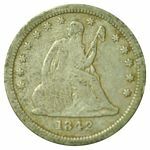 I have recovered a number of early U.S. large cents, ranging from 1797 to 1845. 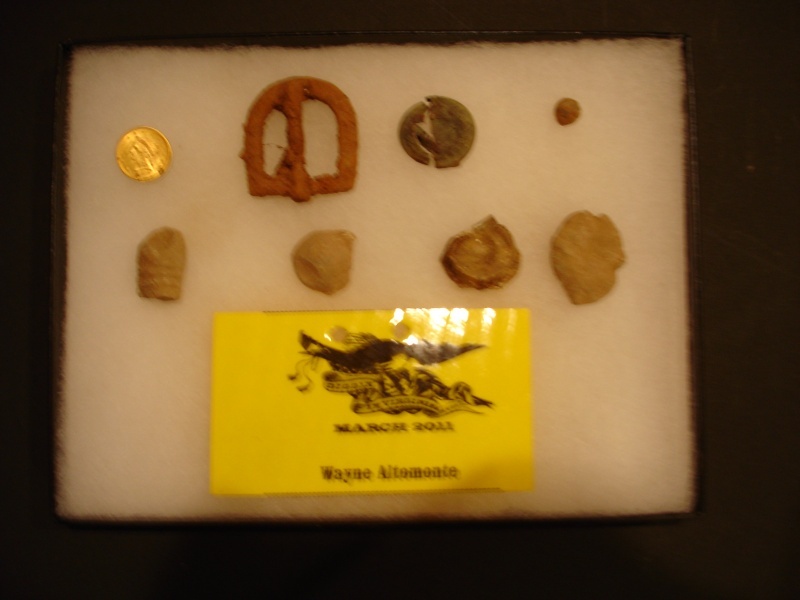 I have dug 17 - Indian heads, over 30 - Wheat pennies, Buffalo nickel, 3 - V nickels. 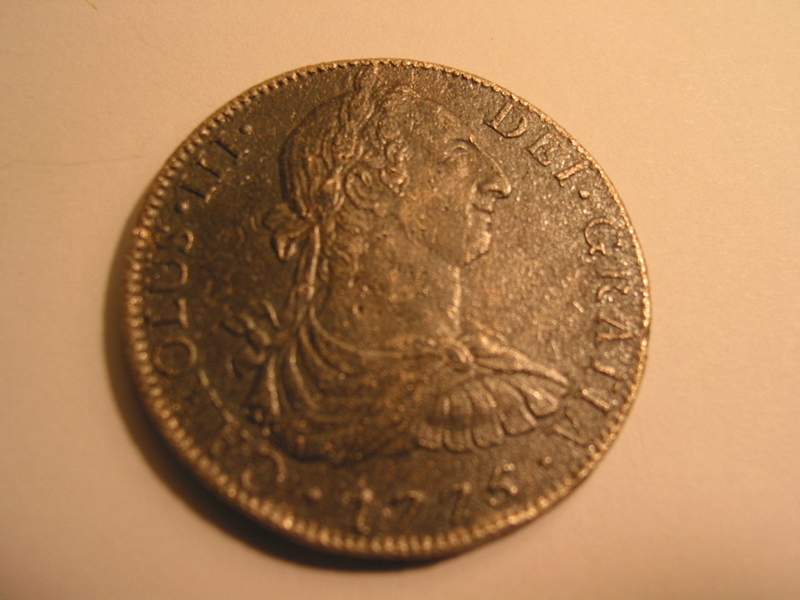 I've also dug several colonial coppers...my best being a 1749 King George the 2nd half penny. In conclusion I have been SO impressed with the high speed recovery time of the Fisher® F75, the great depth I get with the machine, the highly impressive separation of iron/junk targets with good targets. 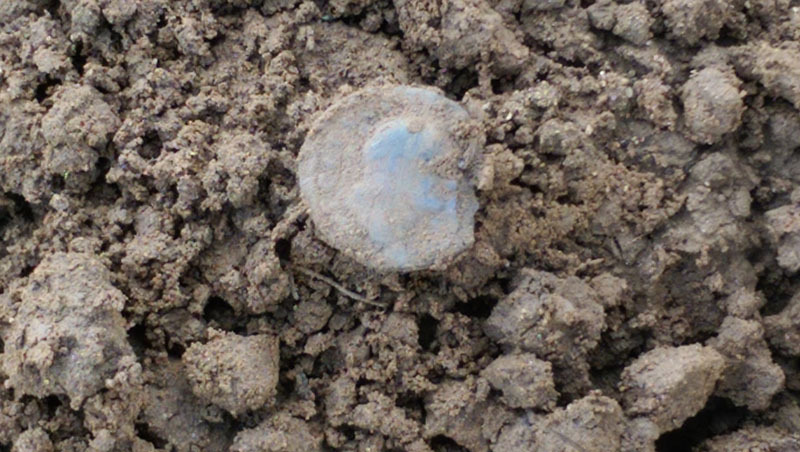 I have found many good coins, buttons and bullets in the same hole as iron and the F75 picks it out of the junk NO PROBLEM. I would recommend the Fisher® F75 or any Fisher® product to anyone who wants a great machine for a great price. 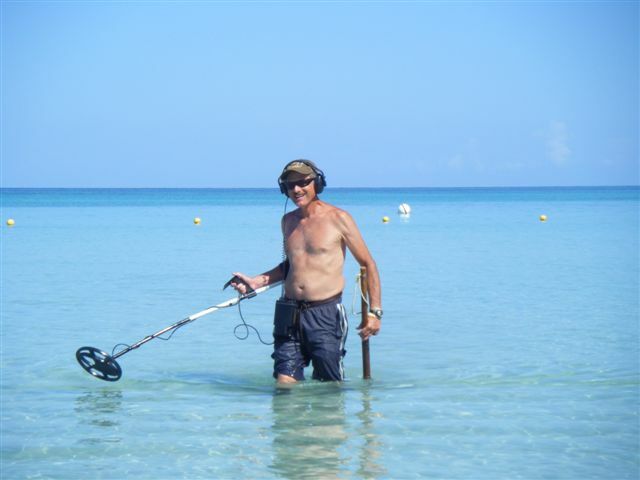 Now get out there and get you a Fisher® and start digging that treasure! Sincerely, A happy Fisher user for life! John McDonald’s wife, Carol, purchased a Fisher® F75 SE from Joan Allen for his birthday and after attending a rally he was “bitten by the bug”. 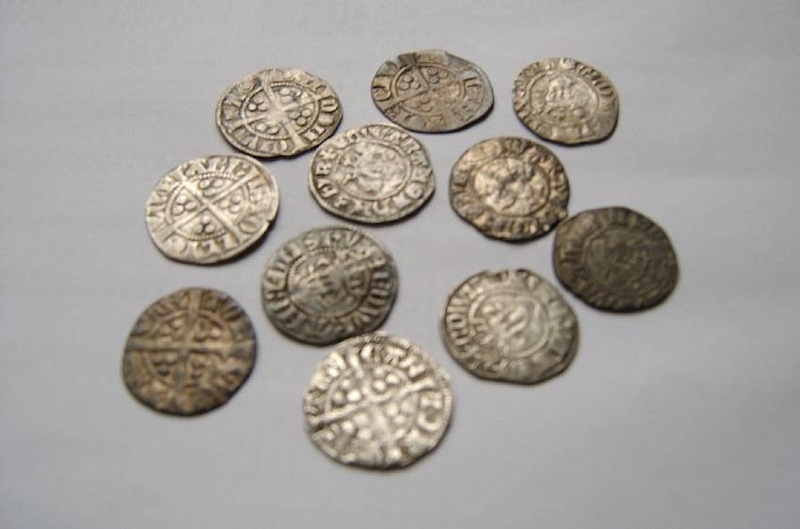 Searching a field next to his home, John began to find hammered silver coins and after several days had amassed 116! 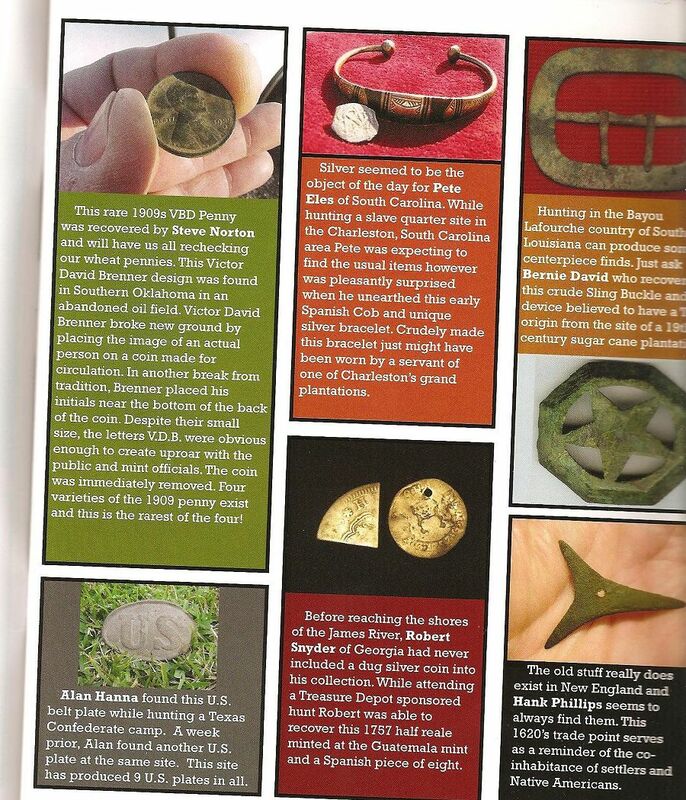 Read the full story in the January 2014 issue of Treasure Hunting. 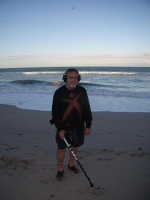 Dear Fisher folks, my name is Keith and I have been metal detecting for about three years. I purchased a Fisher F5 in September 2010 and F75LTD in July 2011. 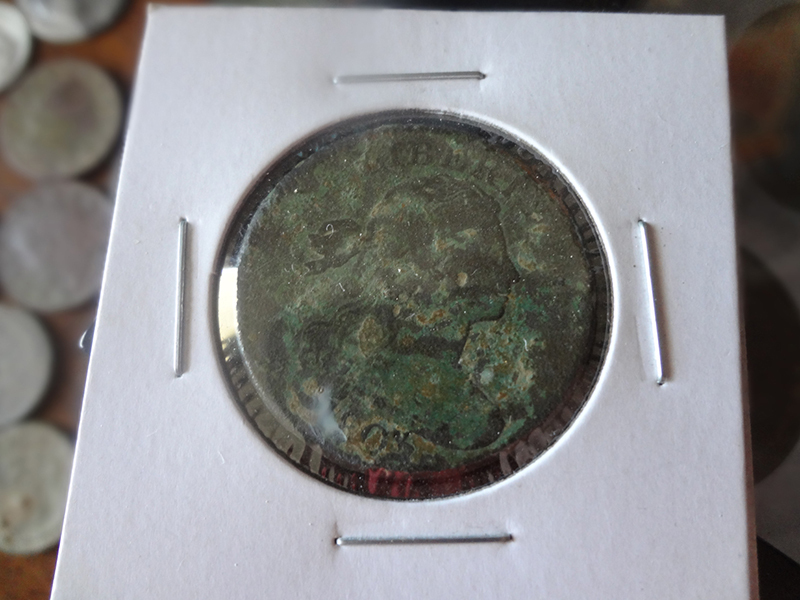 I have found a great collection of old coins, tokens, buttons, and other cool finds since buying both detectors. My most treasured and honorable find was back in March of 2013. 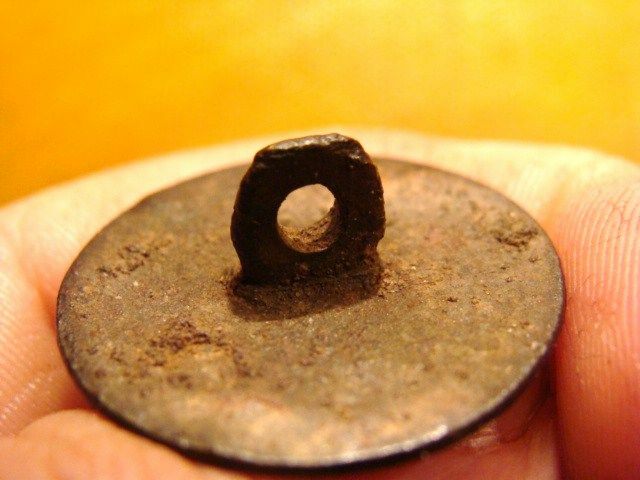 I was detecting a small yard in Lebanon, Ohio with the F75 and got a hit, when I dug down a few inches I could see that it was a bracelet. What I ended up with was a Viet-Nam POW/MIA Bracelet that people in the U.S. would wear to honor the POW/MIA's during the war and even after the war ended.. 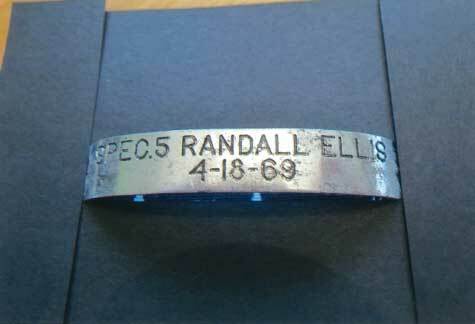 I did some research on the bracelet name (SPEC4 Randall Ellis) and seen that he was still MIA. I wrote a letter to the Pentagon asking if I could send the bracelet onto a living family member. 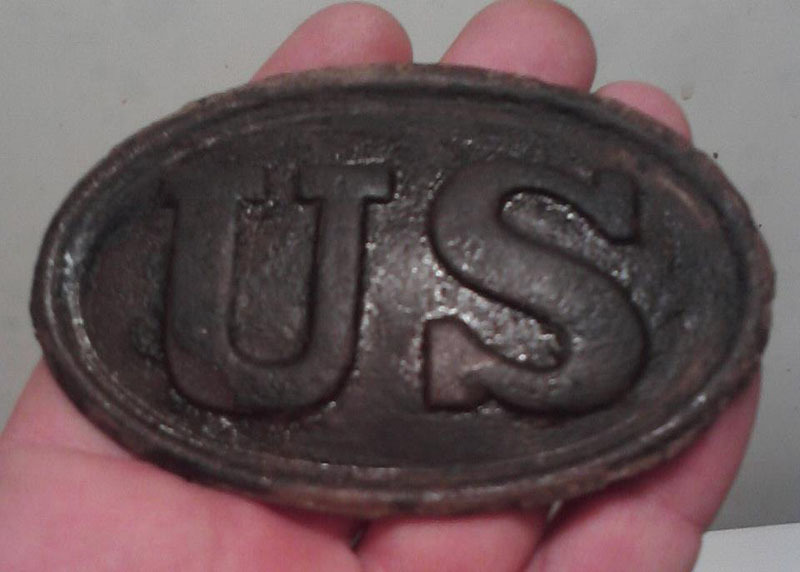 I received a letter back in late November from them and they gave me an address to forward the bracelet onto a Army Base in KY. , and in return they would send it to a family member. 1 wanted to write to you all because of what my F75LTD found and that in the years to come I will not forget SPEC4 Randall Ellis. 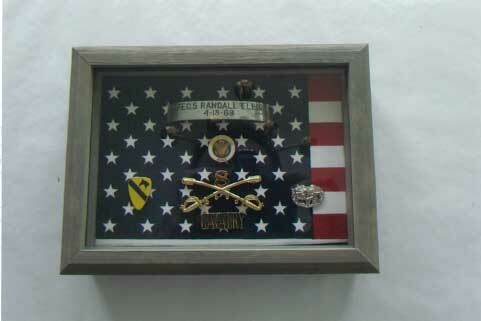 I have included some photographs of the bracelet and I made a small shadow box for the family to have. SYNOPSIS: On April 18, 1969, SP4 Ellis was serving as a medic for HHQ, 1st Battalion, 8th Cavalry. His unit was on a combat mission in South Vietnam, operating in a tank infantry formation when one of the tanks was hit by a rocket propelled grenade (RPG), causing casualties. Ellis responded immediately, and as he climbed aboard the tank, sniper fire wounded him in the left hand. He was taken to a medivac landing zone to be taken to a medical aid station. 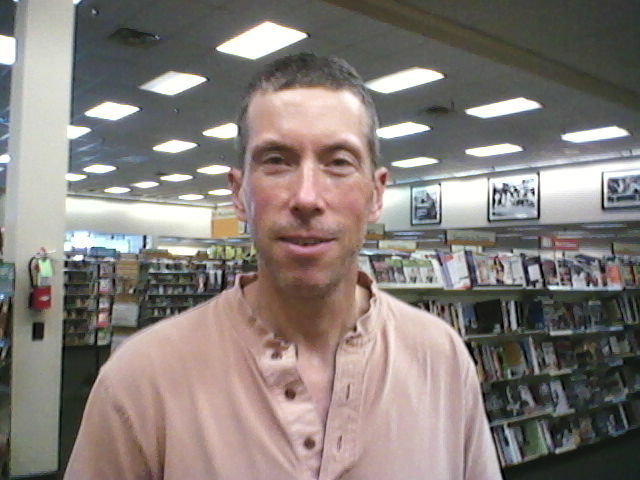 He was seen by several different people at the LZ. Whether Ellis ever boarded a medivac dustoff helicopter was never determined. No one ever saw him again. The area was cleared and searched twice that day and again the following day. A company-sized sweep was conducted but nothing was found. All medical facilities in the country and some out of the country were queried about SP4 Ellis, but no information regarding his fate was reported. Ellis is among some 3000 Americans whose fate remained uncertain at the end of American involvement in Vietnam. Since 1975, that number has dwindled to around 2400 due to case resolution, and return and identification of remains. Soccer Field and Dog Attack! There is this park/soccer field right in the middle of downtown, next to a college. It has an 8' chain link fence and is hidden from view by all of the trees surrounding it. I took a walk around and found the field open to the public, no front gate and wide open with easy access for college students. Then I saw the sign, Parks and Recreation. The college and city share the field. 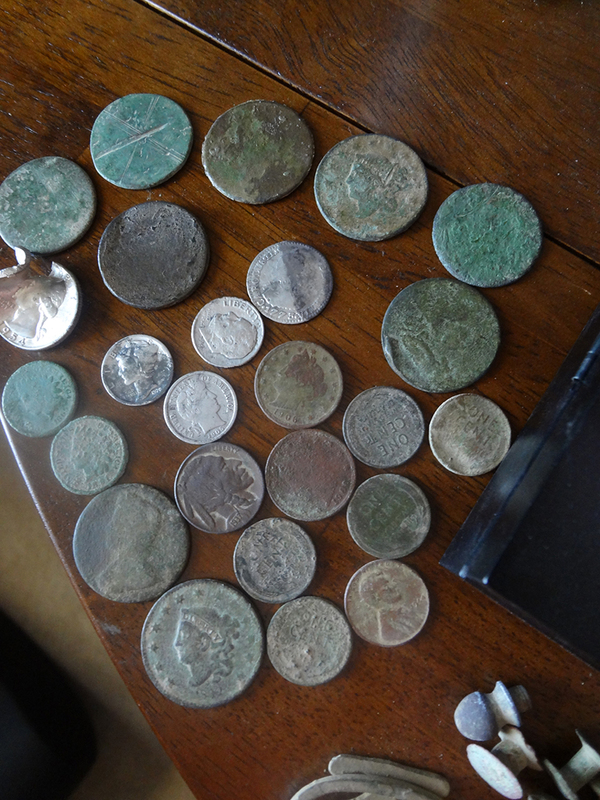 I went out the following Sunday and in a 3-hour hunt I found 51 quarters, 29 dimes, 7 nickels and 41 pennies (not enough room to show them in the picture). 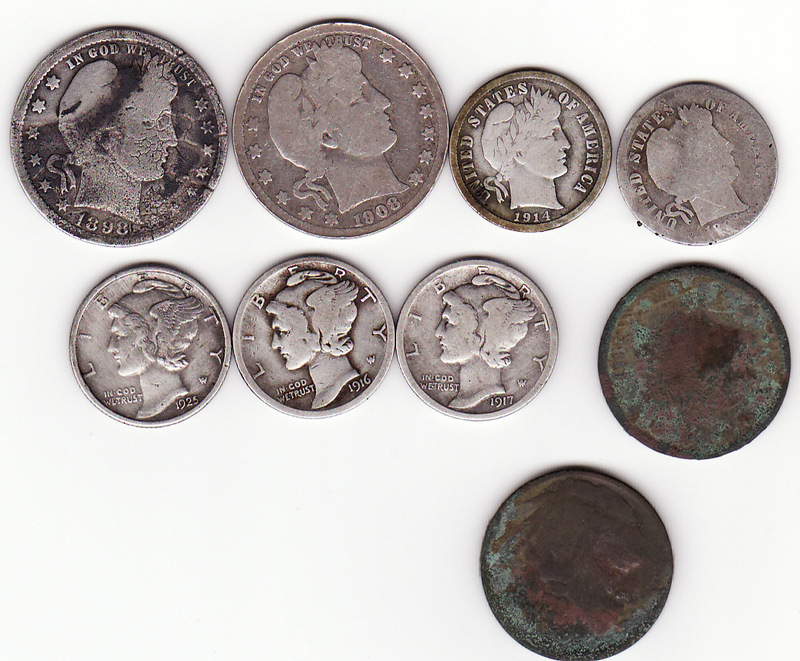 After three more visits with a hunting buddy, we took another 67 quarters and the usual (he, he) complement of dimes -- Oh, and 6 rings; almost forgot. There is another public park, a very large park with two ball fields that is hunted heavily, but my F70 finds what is missed at a consistent depth of 6 inches (taking grass depth into account this amounts to a 4" ground depth). My buddy and I dig early in the mornings, apparently the other diggers go out in the evenings, so I have not seen what machines they are using, but they are missing things, for sure. The college park, however, seems to have never been searched. I saw no other evidence anyone had hunted there. What a find and right in the middle of town and college. It just goes to show, you never can tell. I'm thinking others may think the college is off limits not knowing this park is used by the college as a courtesy of the city. I am loving my F70! 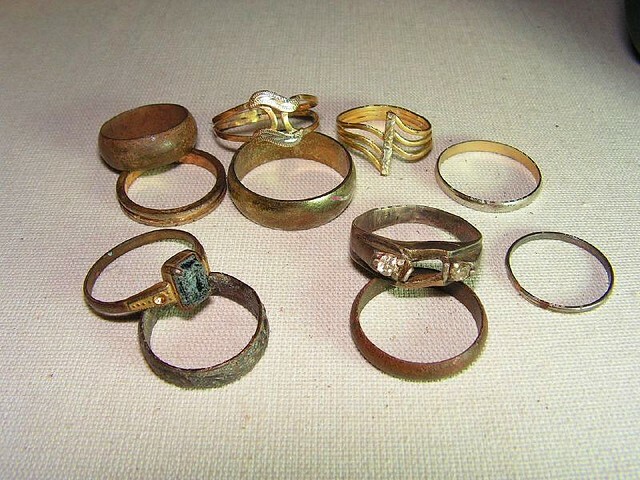 I have found 12 silver rings and one gold. 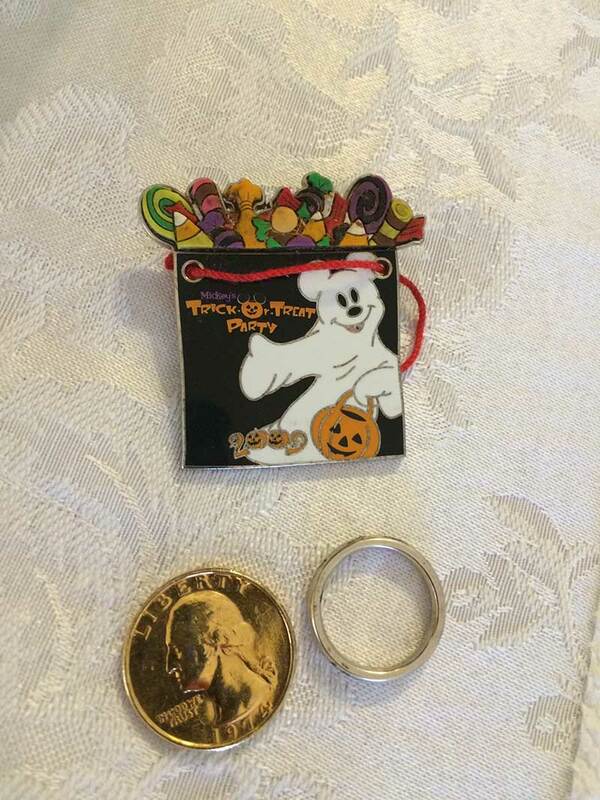 The gold ring was by accident, it was next to a penny. When I tested the ring by itself the machine would not read it at all. I reset my Disc. and wow, there it was. I wonder how many gold rings I have passed over. Now that I am much wiser I cannot wait to hit the local parks again with a new setting. The F70 is my second Fisher, I also have an F2 which I like and is now my wife's when she wants to join in the hunt. The F70 is great, so easy to swing and the battery life is incredible -- how do they do that and still make this machine so powerful? Good job, Fisher! As I advance in my knowledge and understanding of this F70 it just keeps getting better. Now that I know where the setting is for gold on the Disc level I am really looking forward to going out again with my newer setting. Head’s up, folks – When hunting look around from time to time and be sure to keep aware of your surroundings. I say this because I had a pit bull attack me, full on attack and I kept him away with my F70. I am just glad I saw him coming. The owner could not get the dog under control after he ran away from her and headed for me, fangs gnashing. He ran nearly 60 yards, as soon as she let him off the leash, and came straight for me. Thanks again for my sturdy F70 keeping him away -- luckily, my coil survived. Of all the dogs I have run into at the parks this is the only one that has ever attacked me -- oh, wait, I take that back, there was another dog “attack,” a black Labrador puppy, he nearly licked me to death, but that was fun. I purchased an F4 back in August, after watching Russ Balbirona’s videos, and I could not be happier. My first week I dug close to $30 in clad. This detector is not only easy to learn and use, but its fun! 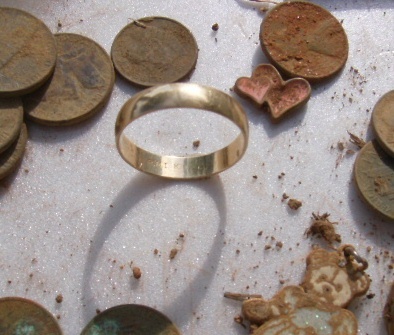 Here is a picture of two gold rings found in the same week! Thanks Fisher, I love this detector! I bought a Fisher® F2 early January 2012. 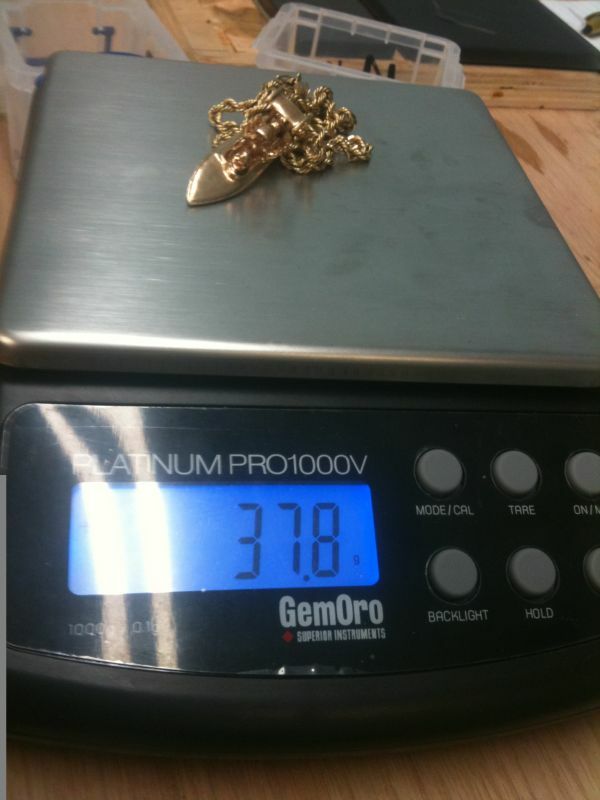 The next month, I found this large gold pendant and chain, it's 14K and 37.8 ounces. I sold it for $950!!! 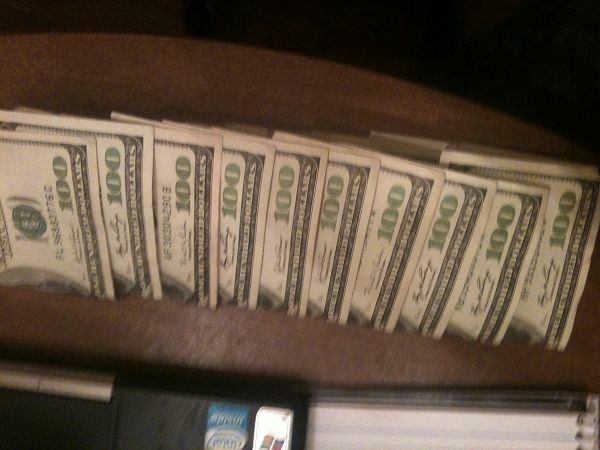 I replaced the $50 for a $100 to go toward the 330hp motor for my Monte Carlo SS. I was out with the Gold Bug 2 as my weapon of choice in the Dale District near 29 Palms on a Saturday in November. 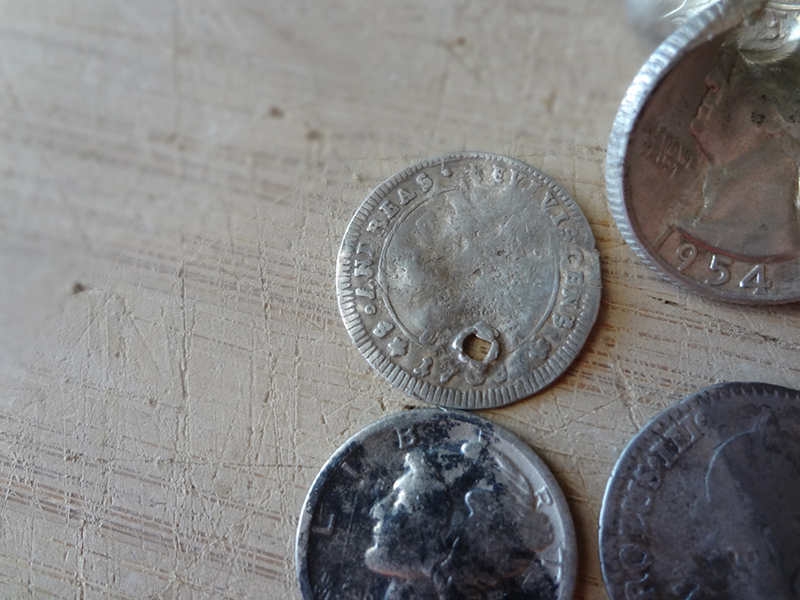 I decided to hunt a small piece of ground that had yielded some small nuggets in the past. This 20' x 20' area had been well raked and detected many times over, but I was hoping to hear some faint signal telling me that a target was under my coil. It was a bit of a shock that I got an overload signal near one corner of the raked out area ... I was thinking it must be a fresh bullet. The real shocker came when I was 6" down and unearthed a 17 gram nugget! How did this one manage to wait for me? Well, they say you can't find a nugget unless it has your name on it and this one must have had mine. As a bonus, there was a 2 gram nugget about 4" under the first. 19 grams total weight ... not usually what we refer to as Gold Bug size nuggets! 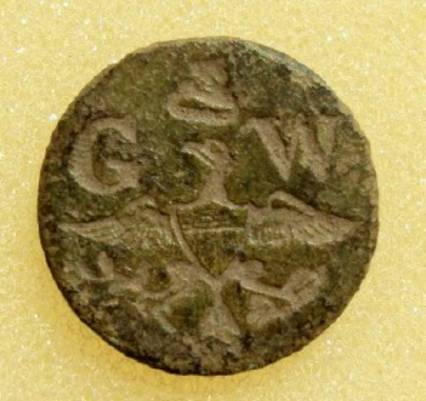 I found a George Washington Inaugural button in January 2012 in the South Carolina Low Country with my F75 Ltd. 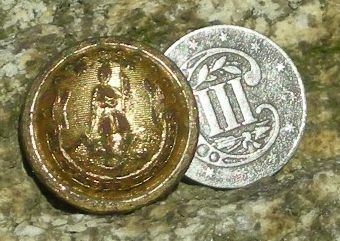 The button is listed in Alphaeus H. Albert's book as WI 23 (GW with Eagle and Liberty Cap), but Albert's book on buttons shows only a 25mm size. 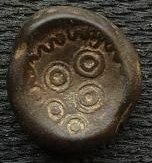 This button is only 14mm and I have found that there only three known including this one. Man, what a thrill to dig this rare button and to have two of my best friends, Mike Parker and Brian Gilliland, with me to share the excitement. This is my best find ever so far. 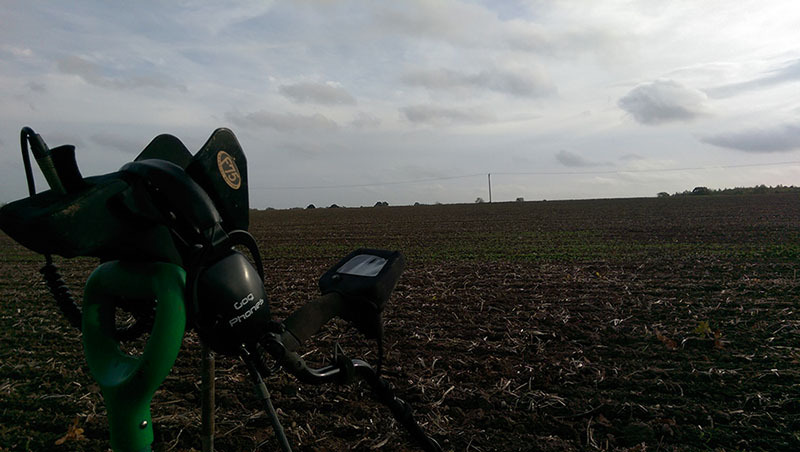 The Fisher® F75 Ltd is without a doubt the best detector I have ever used. A member of “The Alabama Gang"
I spoke to a customer service representative at Fisher® Labs to tell him I was looking for a new detector. After listening, he recommended the Fisher® F75 Ltd. The second time we spoke I was frustrated as I didn't understand the Fisher® detector after owning another brand for years. Well, the rep talked me through the settings and got me on the right track. I was exploring an old road that had a field next to it. Everything was normal until I found a cutout in a stone wall that led to a field that I decided to check out. 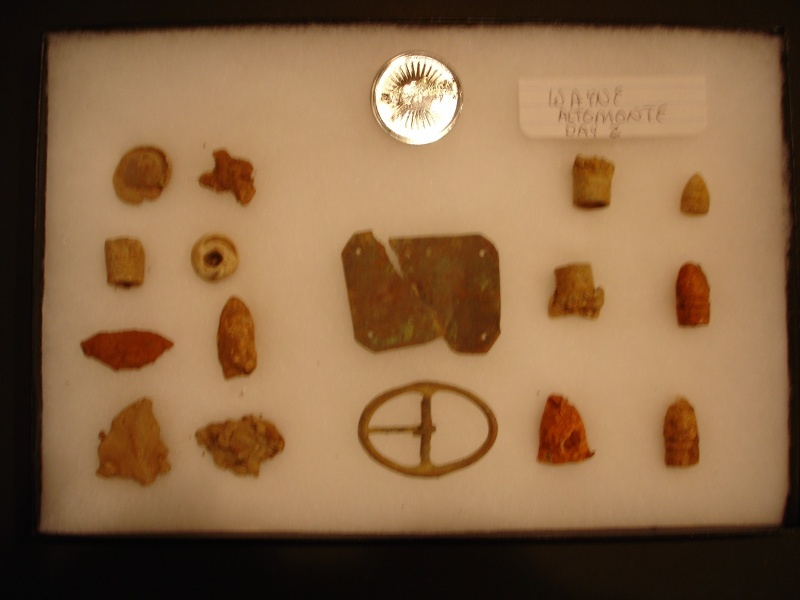 I found Colonial buttons and a 1787 Connecticut Copper. I returned the next day and was I ever surprised. 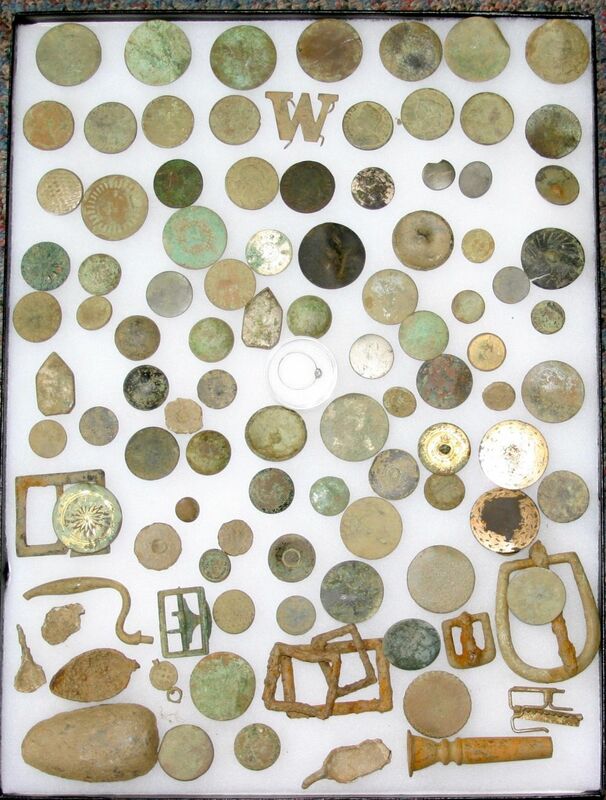 From a small 50-yard diameter in this field the F75 pulled out 50+ Colonial buttons, about 20 coins, Vermont Copper, several CT Coppers, King George IIs and the best find, so far, was the diamond ring in the center! 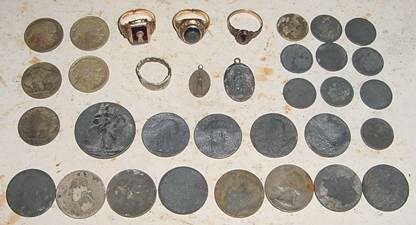 I know the ring is Colonial as the newest coin was 1814 and there is no evidence of any modern junk present. 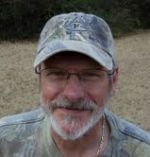 I am heading back to hunt again once the field is mowed. Thanks for recommending a great product, but more importantly, thanks for the customer service. 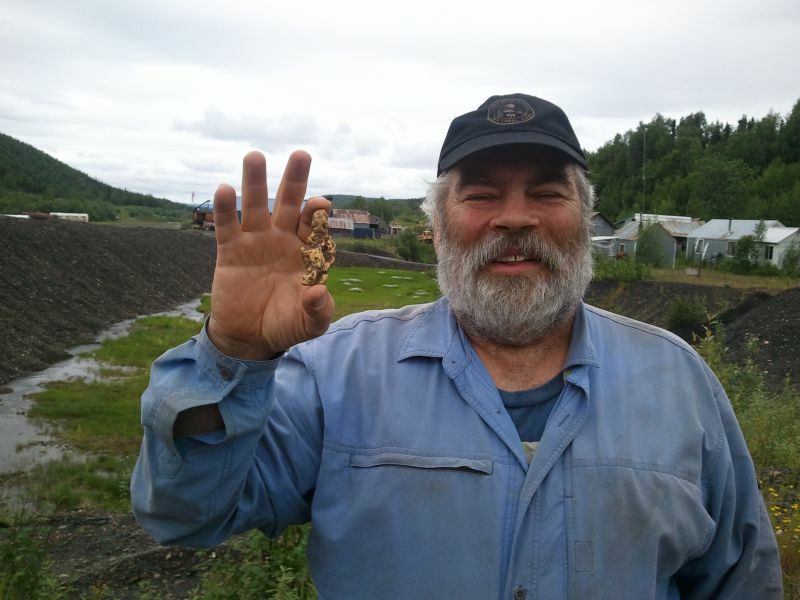 I found a 3.42 troy ounce nugget with my F75 Ltd at Ganes Creek, Alaska. I found it about 15" deep in a 2' diameter hole. 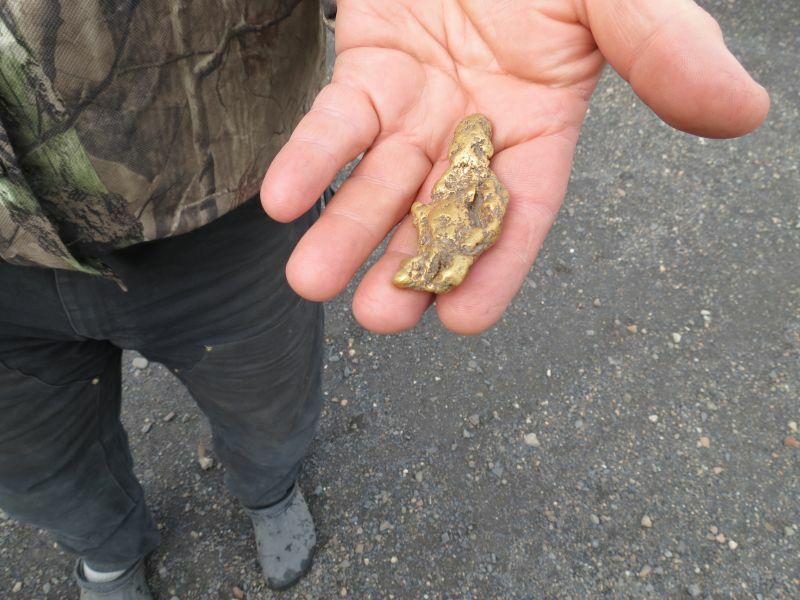 Now that Ganes Creek has stopped its metal detecting program, I think these “big nugget” finds are going to be quite a bit more rare events in the future. I am David B ... better known as “digger27” on the forums and my F2 just gave me the most thrilling week of my short career. I bought the F2 as a backup/guest/take-on-vacation detector about two years ago, but it turned out to be so much fun and so productive that it continues to be one of my main weapons to this day. 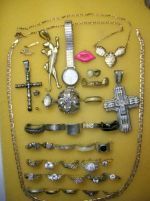 I am a park hunter for the most part, and jewelry is my goal ... especially gold jewelry. 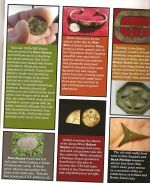 In the time that I have had it, the F2 has come through time and time again finding me lots of silver items including rings and chains, and even a few gold rings. However, nothing I have experienced so far swinging the F2 could have prepared me for what I uncovered on three hunts at a particular park. , I had found a new park to hunt and I had just purchased a 10" coil for my F2, so I brought it with me to see what was happening at this site. I was surprised on the first hunt at the huge amount of high-tone signals I was getting and digging. 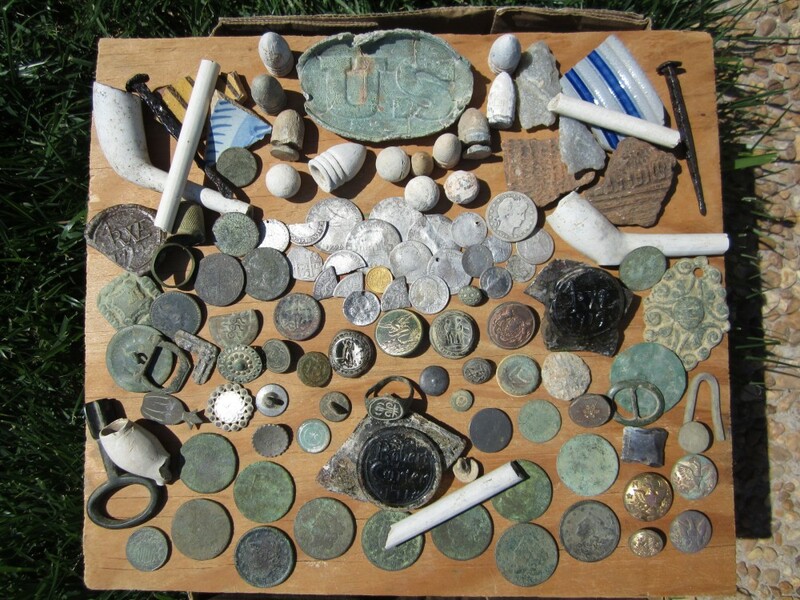 A whole lot of quarters, dimes and copper pennies were recovered that day, and I thought that this place might not have been hunted very much in the past. 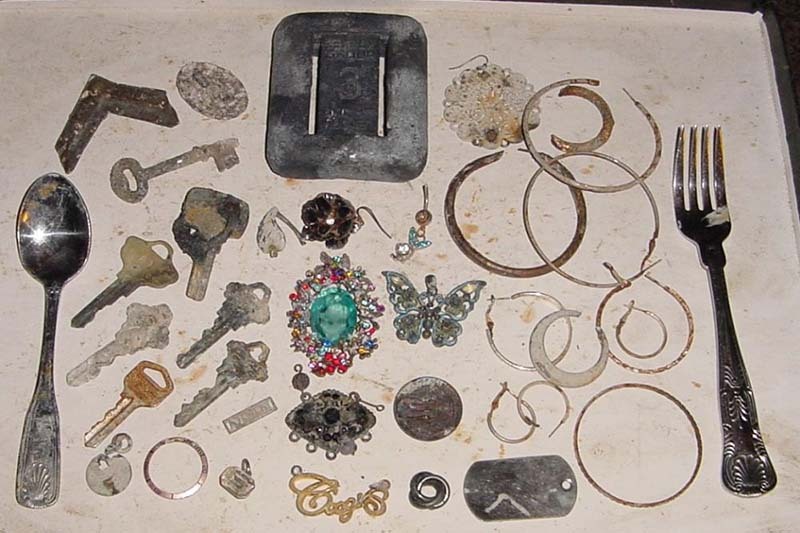 I also discovered tons of trash, including bunches of tabs and foil. I had been hunting for a month with the F2 and the sniper coil and was amazed at the amount of great things I was finding, not only at new sites, but at some of my older sites after revisiting them with that sniper coil. This was the perfect site to come back with the smaller coil and see what was really masked and hiding among the trash. 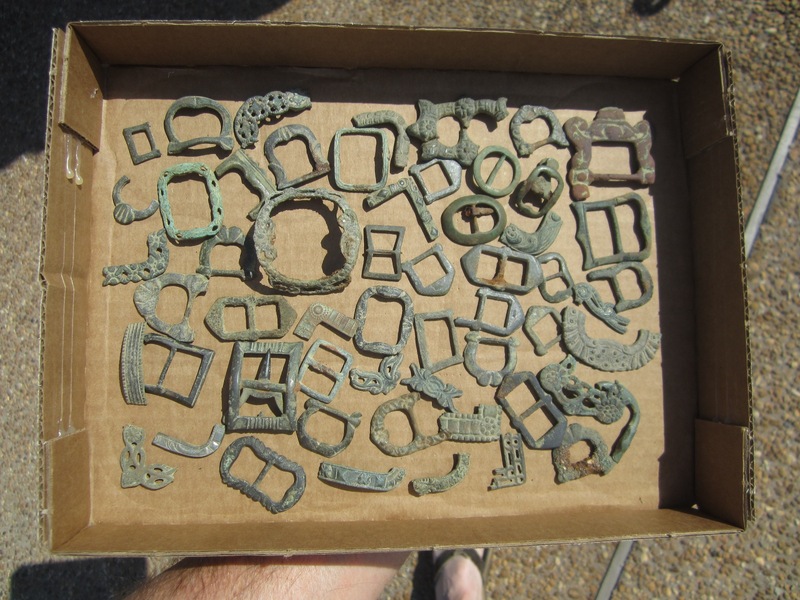 I returned to the site and proceeded to hunt the same areas I had previously scanned with the larger coil. I really concentrated on a small patch of grass between two small basketball courts. This was the area I figured the players would sit and rest when they weren't playing. Not only did I use the sniper coil that day, but instead of cherry picking just the high tones I dug every solid signal including the trash. I know from experience that gold could come in as a zinc signal if it is large like a class ring, but most of the time the smaller rings will be from foil to tabs so, time to do a lot of digging. 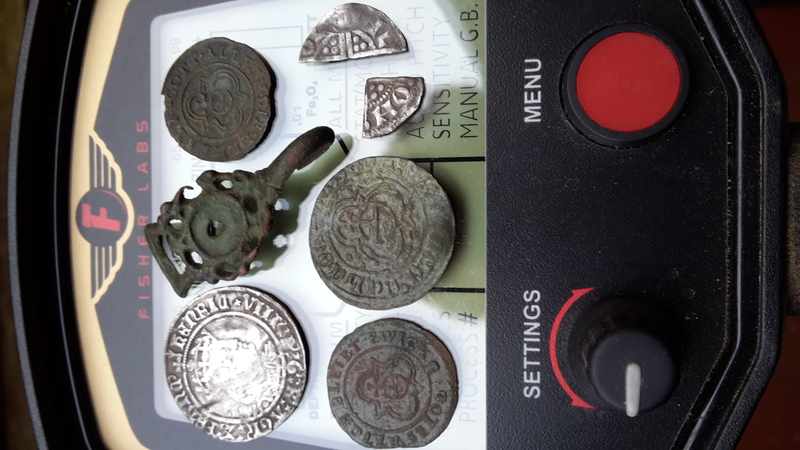 I started this hunt at that little patch of grass and found many more coins I had missed that were masked on my earlier hunt with the 10" coil. I was also digging plenty of small pieces of foil and more tabs then I care to count. About 45 minutes after going very slow and trying to cover every inch I could with that small coil, I came across a tab signal, 37-39 on the F2 VDI. I bent down expecting to dig another tab, but this time a beautiful gold ring popped up with a very sparkling looking stone right in the middle. A quick cleaning and a look at the inside of the band confirmed my hopes ...14K! 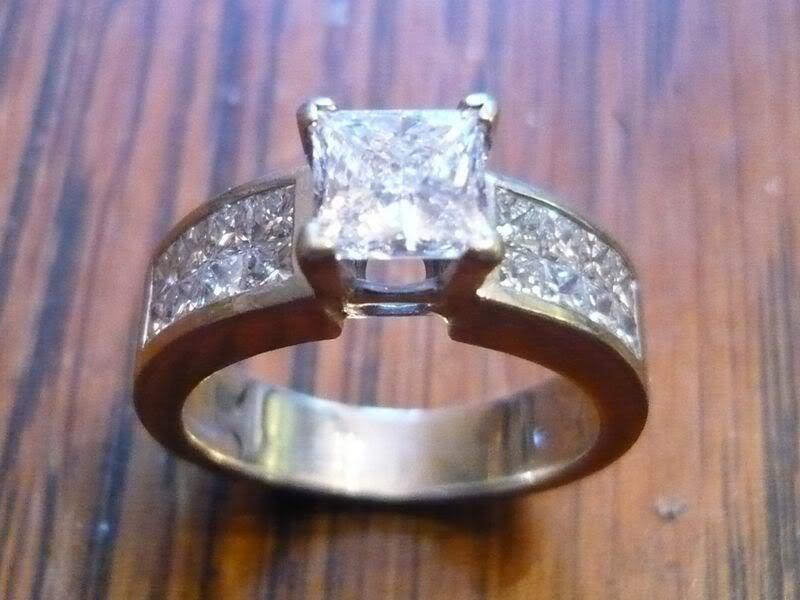 I was flying, and I continued to work my way back along that small strip of grass toward the back of those courts going slow and found more coins and trash.. My jeweler verified that the stone was indeed a real diamond. A few days later I returned and started that hunt at the exact spot I had ended the last one, also going slow with heavy overlapping using the sniper coil. It wasn't long before I was about 10 yards from the area where I found that first ring that I came across a 35 on the F2, which is a high nickel signal, but in this park also exactly the same number as most of those “blankety-blank” tabs. I bent down expecting to dig another tab and get it out of the way, but for the second time in two hunts I had another great surprise ... another gold ring! This one had a few smaller diamonds on the face and I knew the minute I saw it this was another great find: on the band there was a stamp that said 10K. 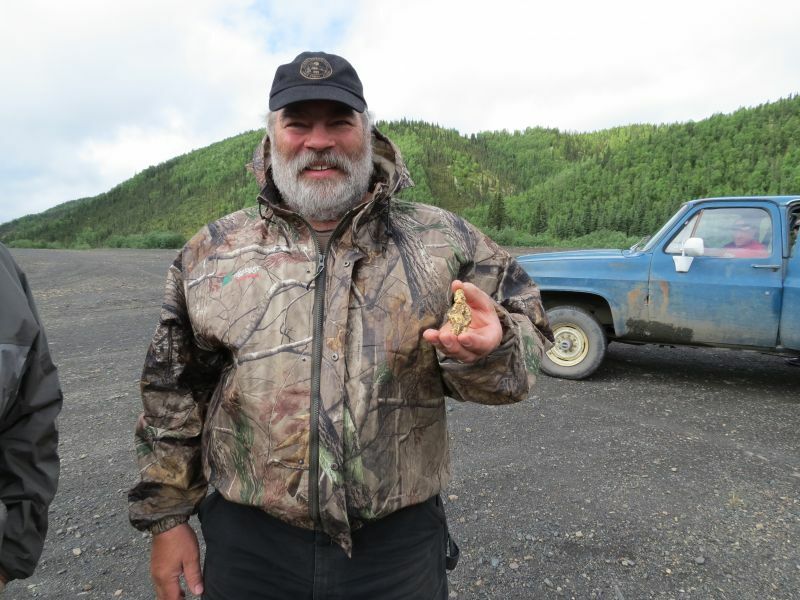 Gold is rare for us park hunters, and to find two great rings on two hunts was amazing! I continued to scan the area with a big smile on my face and another gold ring in my pocket when not one minute later I came across a 24 foil signal. This was going to be probably one of those stupid foil inserts that are in the caps of sports drinks and I know this signal well. I bent down to dig this trash out and just popped a little plug out of the way because this one was not very deep. In the shallow hole I found a tiny piece of foil, but I was confused because this should not have been big enough to trigger that solid repeatable 24 I had on my screen. But strange things do happen in the field so, whatever. When I went to flip the tiny plug back into the hole I saw in the clod another small ring shaped like a heart ... and this too was a beautiful golden color. Could it be? 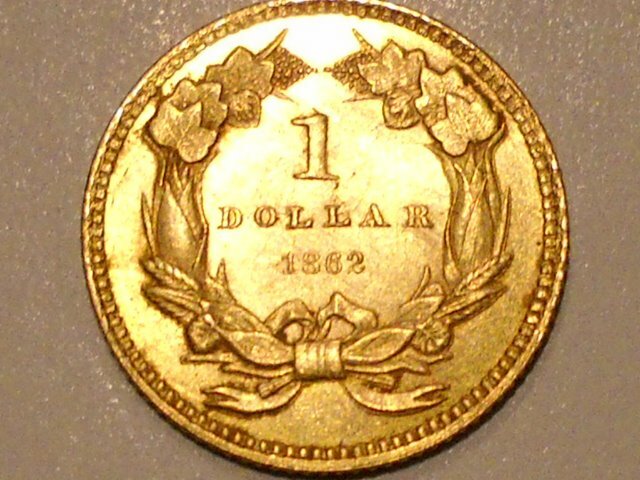 I picked it up, cleaned the dirt out of the center and sure enough 14K was staring back at me! 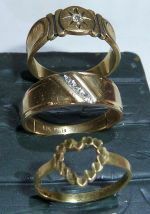 Unbelievable, three beautiful gold rings within 10 yards of each other on two successive hunts within four days ... something I am still trying to wrap my head around. 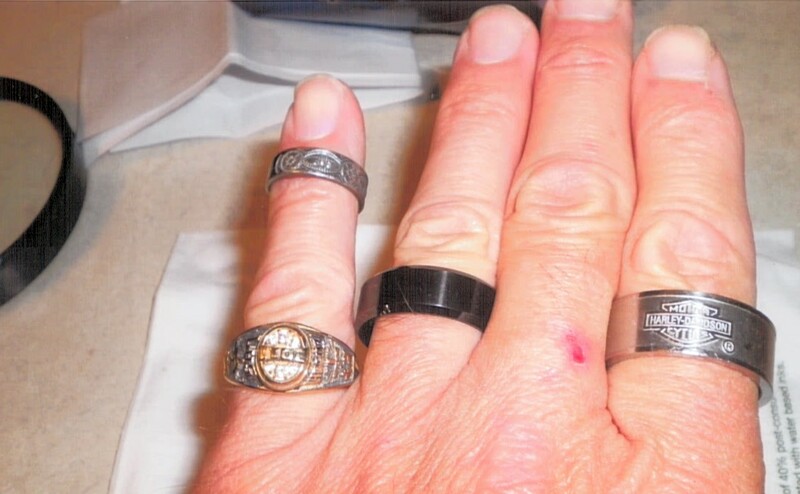 The first ring I found I had cleaned and resized and I am wearing it, the small heart ring is on my wife's finger and the third ring is in the trophy case. They say the F2 is a beginner's unit, but considering what it has found for me, I must say I beg to differ ... especially if you take the time to learn it well! 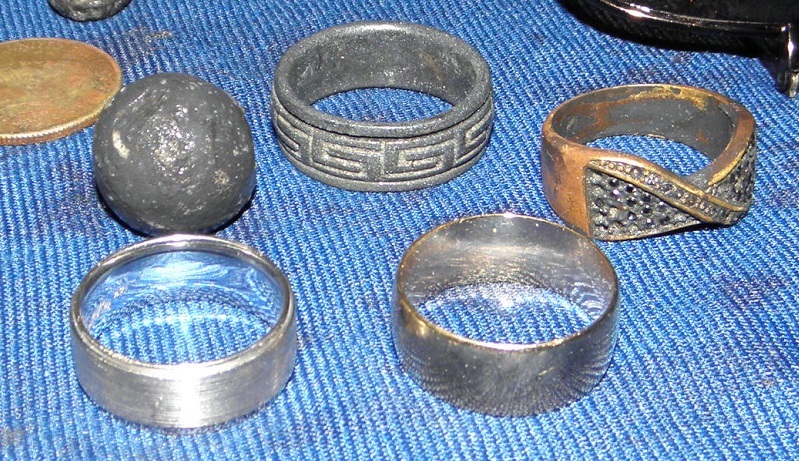 My name is Fred Noack and I’ve been hunting coins and rings for the past 20 yrs. I have two Fisher detectors a CZ-70 and an F75. About 5 yrs. ago (2007) I dug up a 1964 silver dime. 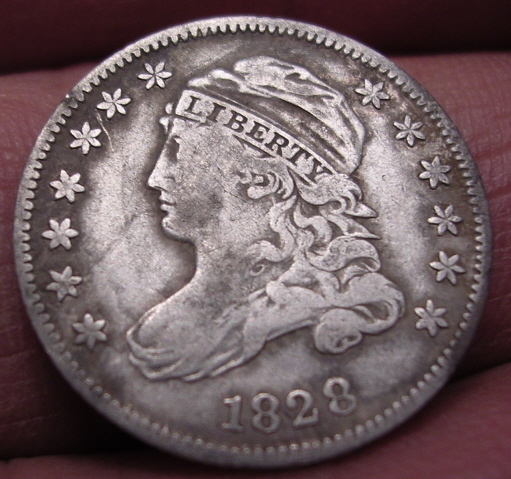 Oct. 8th 2009 – My best find ever was an 1860-P seated qt. in great condition! 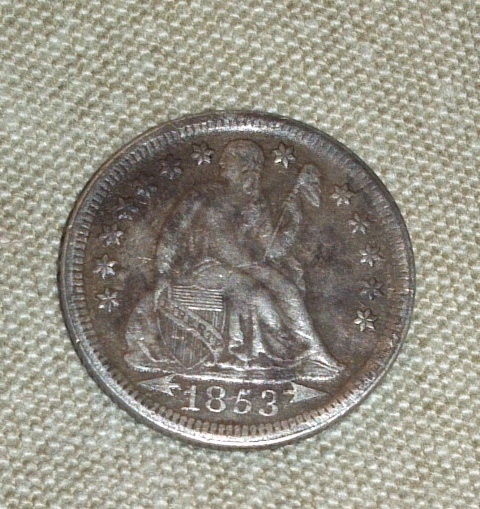 On the reverse side it has a blemish from a gas bubble in the die while it was getting minted. Making it very rare! 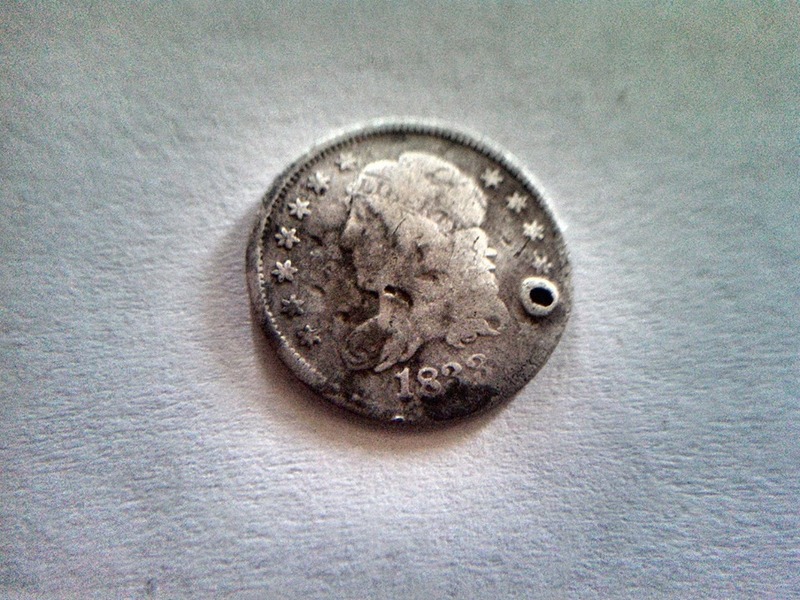 On June 2010, I found a 1906-0 dime in super condition at the back of an old school. 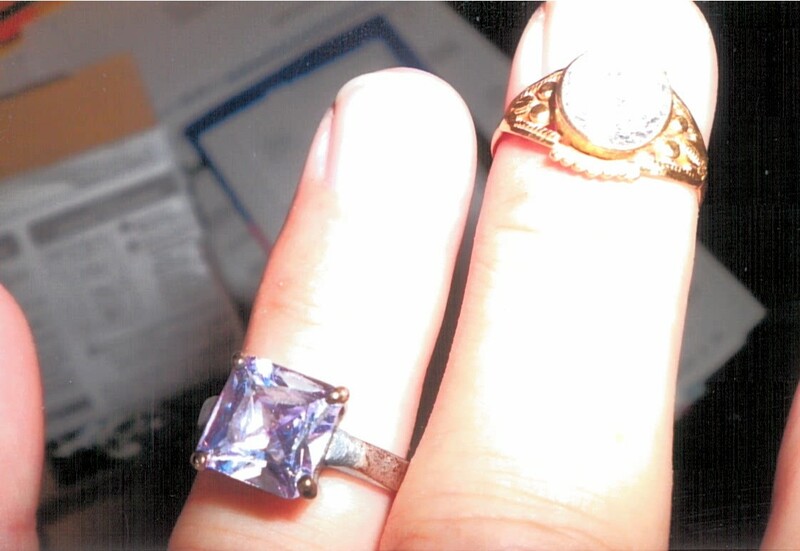 October 1st 2010 – I found a 14K white gold ring and a band with 14 diamonds, near Toledo Bend beach. 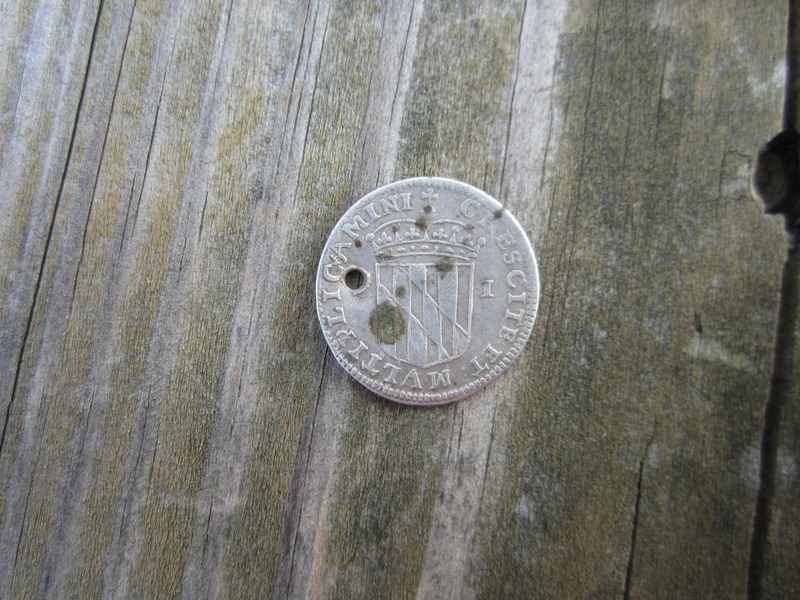 Last summer, (2011) I found a 1944 half dollar in the woods near Coushatta, LA beach. 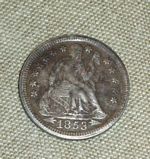 On Saturday, May 26th 2012, I went to Lake Charles, LA; there, I found my 1st silver dollar a 1886-0 in great shape. I have many, many more! 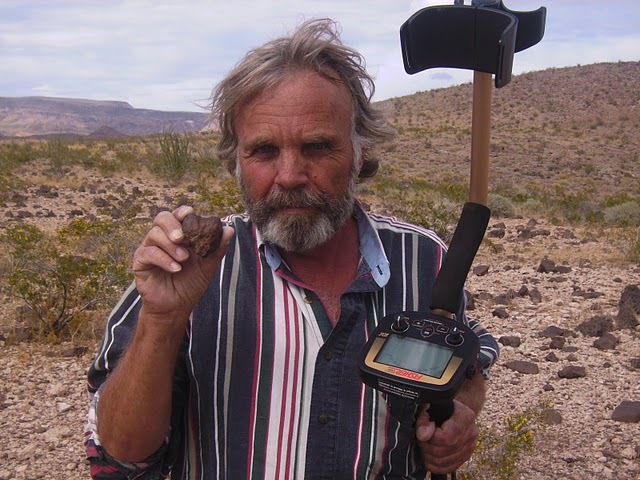 I have been metal detecting for about three years in New Mexico, Texas, Virginia, and South Carolina. The F70 is my second metal detector. 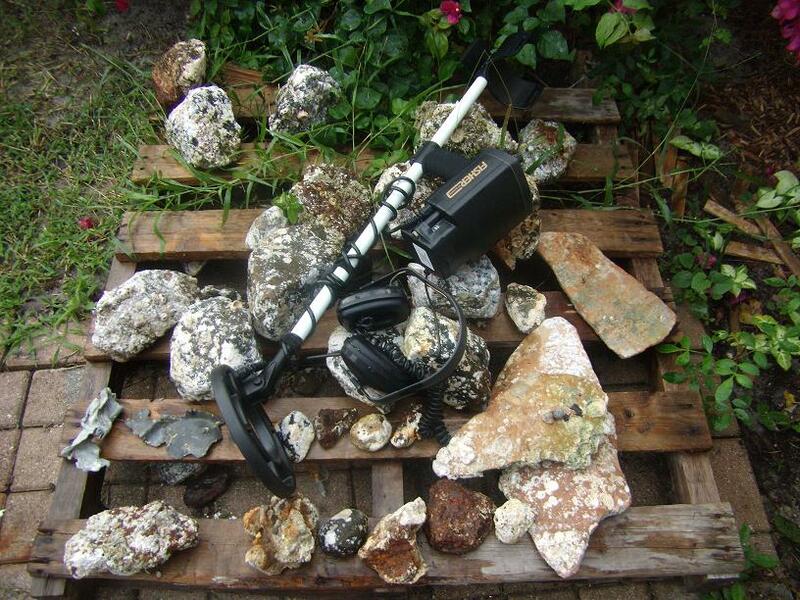 My first was the Minelab Explorer SE. 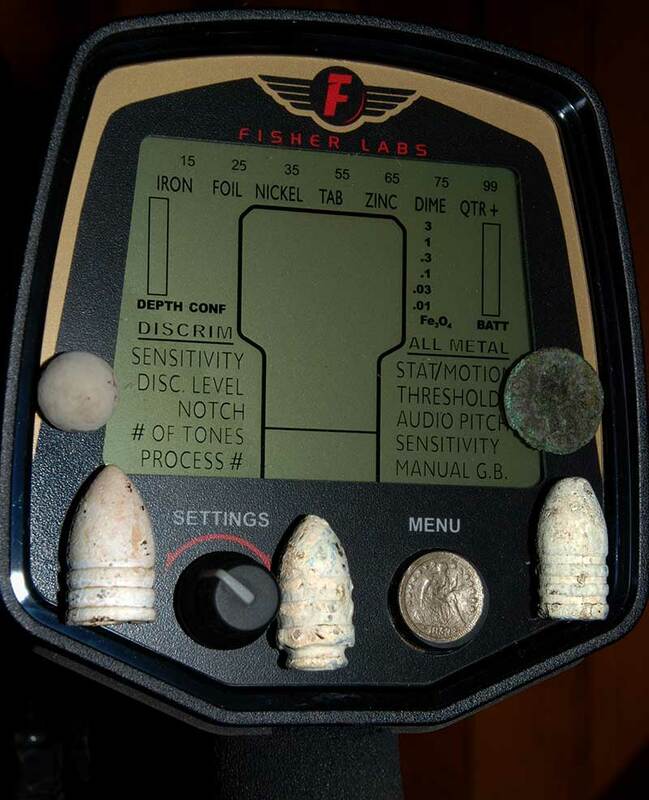 I switched to the F70 because of the limitations Minelab had in iron infested sites and its weight. "My name is Jeffrey Chmiel. 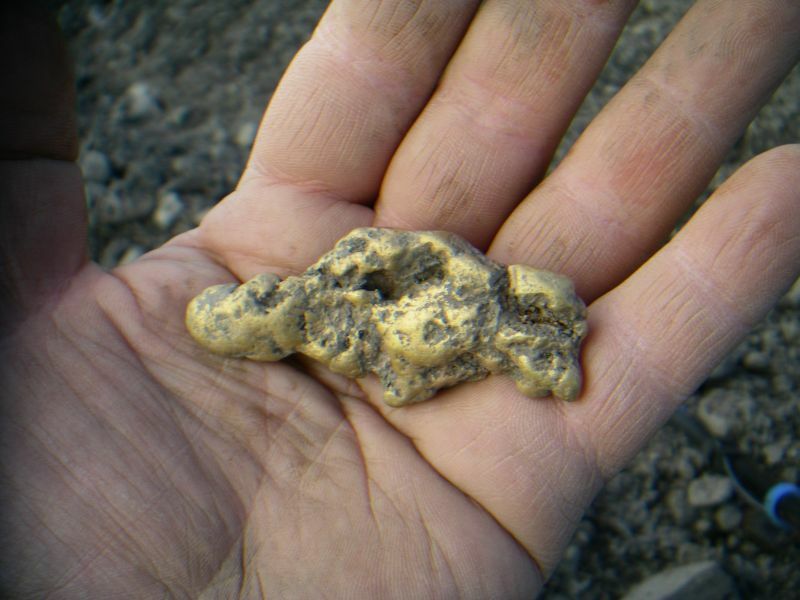 I found my first nugget near Ransburg. I was using the Gold Bug Pro. My dad had me in discriminate mode. 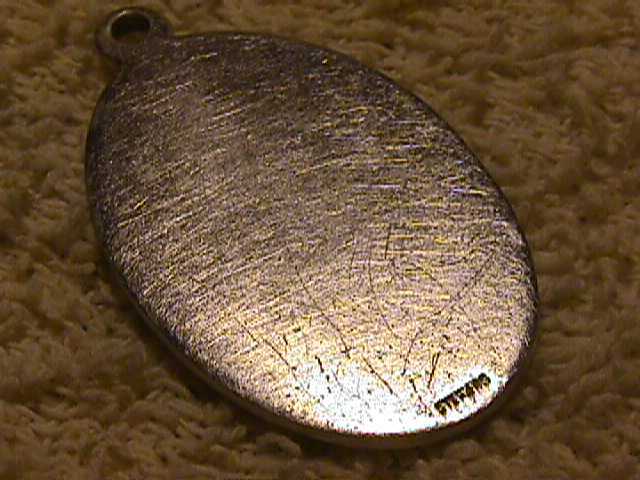 The beep was going 42 each time I swung over it and it turned out it was gold!!" I have been a very happy Fisher user for over 15 years. I'm on my second 1266-X machine and it still performs like new (altough it shows many battle scars from all these years)! 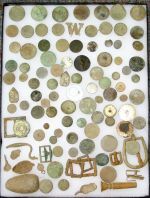 I've found well over 1500 coins of various denominations and countries, plus many gold and silver rings, wristwatches and dozens of interesting and odd items. The 1266-X is unbeatable for depth! Here in Brazil we have hundreds of miles of beaches to choose from and detect freely, so the finds are many and of all kinds, at any depth. 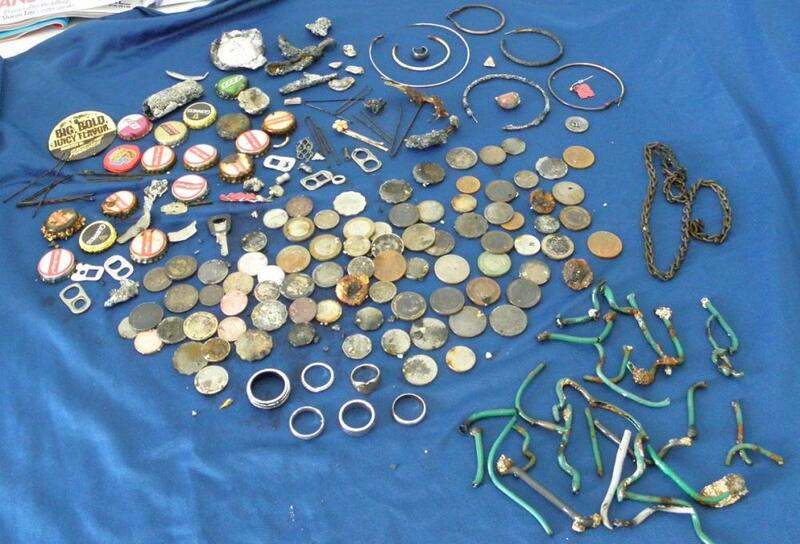 And in ONE park alone in Sao Paulo I found over a thousand coins! 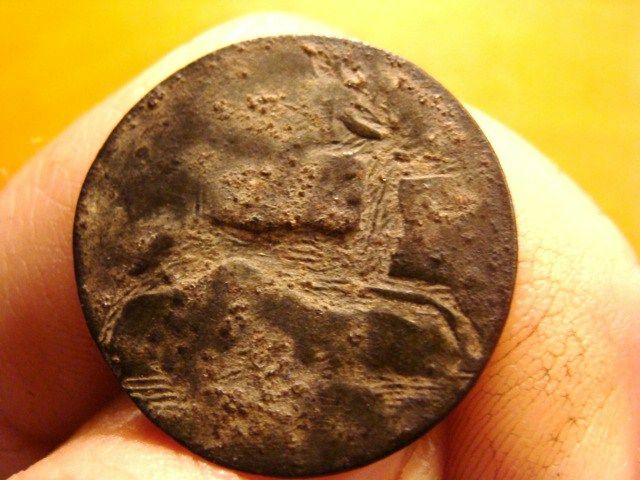 Here are a few photos of my finds over the years. My detector is Fisher 1236X. 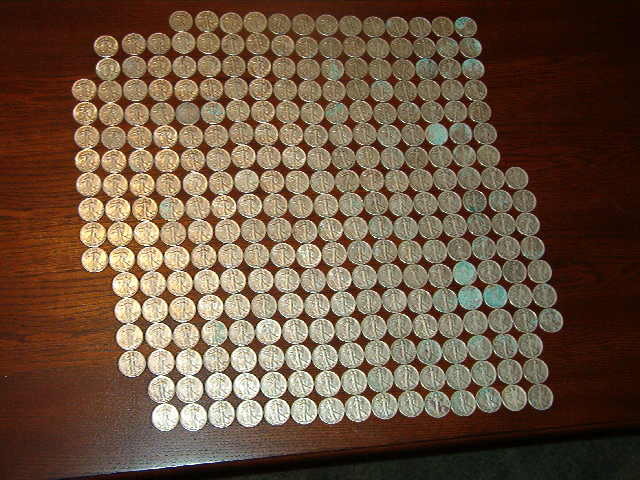 Most of the coins came from athletic and field day sites. I detect in some State Park beaches here in New York. 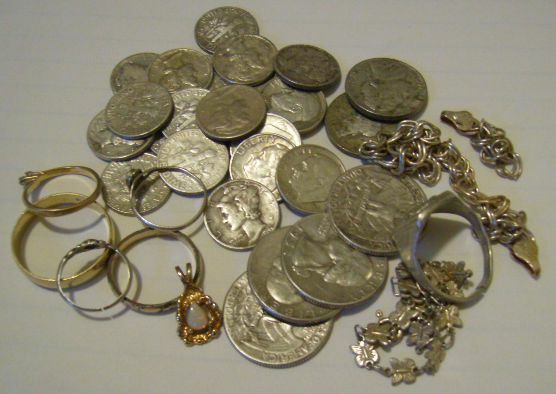 I have found a few silver coins, some Indian heads, wheatback pennies, a 925 silver pendant and a 14K gold wedding band with diamonds. 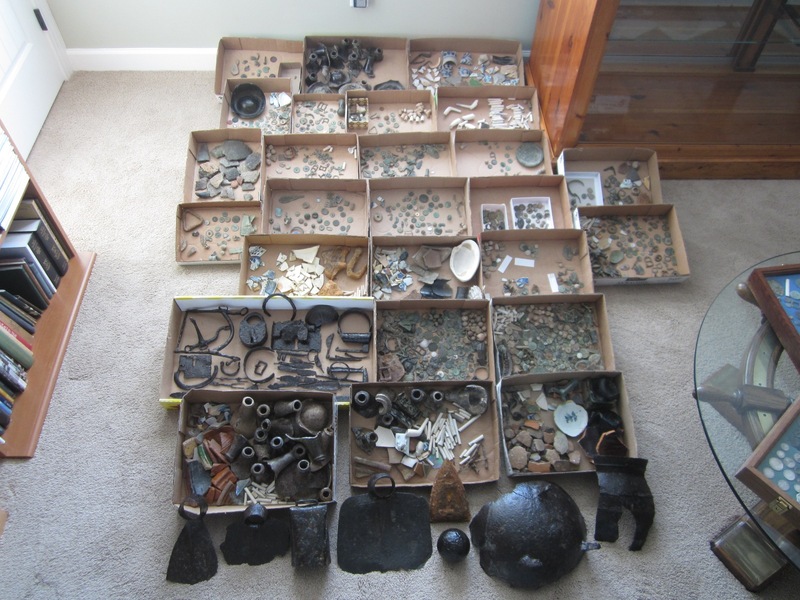 Here are some photos of the bulk of my finds in 2011…$101.00! I previously returned with my F75 LTD to a field which I have hunted many times over the past years with the F5 and other detectors, so I believed it to be pretty much "hunted out". I was wrong. 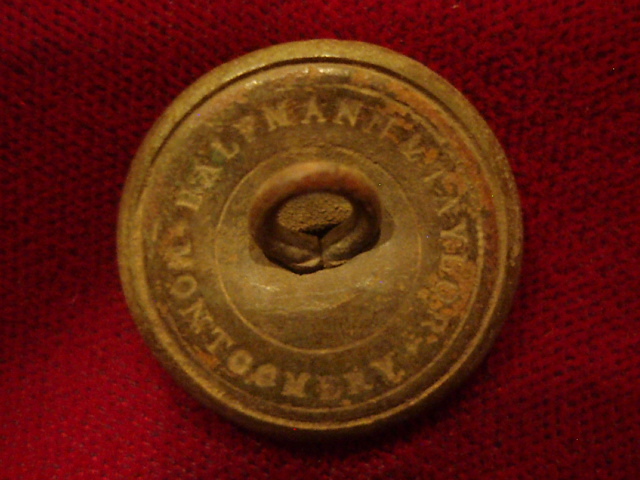 With my F75 in Boost process and sensitivity at 96, I found a few colonial buttons that I had missed in the past. 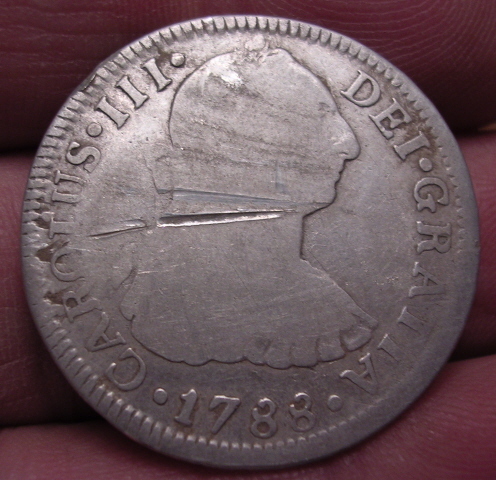 Later on in the day, to my surprise I located a 1730 King George copper at 13-inches and 2 Reales from 1775 at 8-inches! Both of these targets read a solid repeatable quarter signal. I thought long and hard about purchasing this detector but now I’m glad I did. So thank you Fisher for making such a good machine. My best find ever in 1.7 m of water on one of our local beaches, using the CZ21. 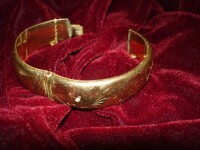 It weighs 42 grams and is 9ct gold Metal Core as far as my research has allowed it is probably circa 1940's. Almost had a heart attack on the spot! I have a massive steel scoop and I must have done at least a dozen or so before it actually moved. I was pretty cold and tired so I almost gave up twice, thinking it's probably a can or something. 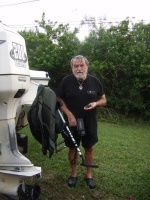 World famous treasure hunter Captain Carl ‘Fizz’ Fismer pictured with his Fisher CZ21 along with some Spanish treasure he recovered. 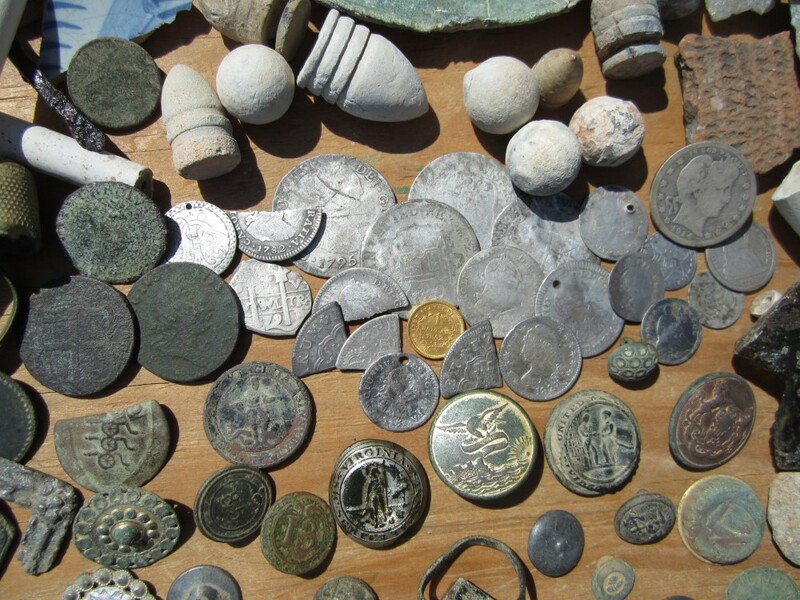 Ballast rocks, pottery shards, pewter fragments, lead, musket balls, EO'S encrusted objects. 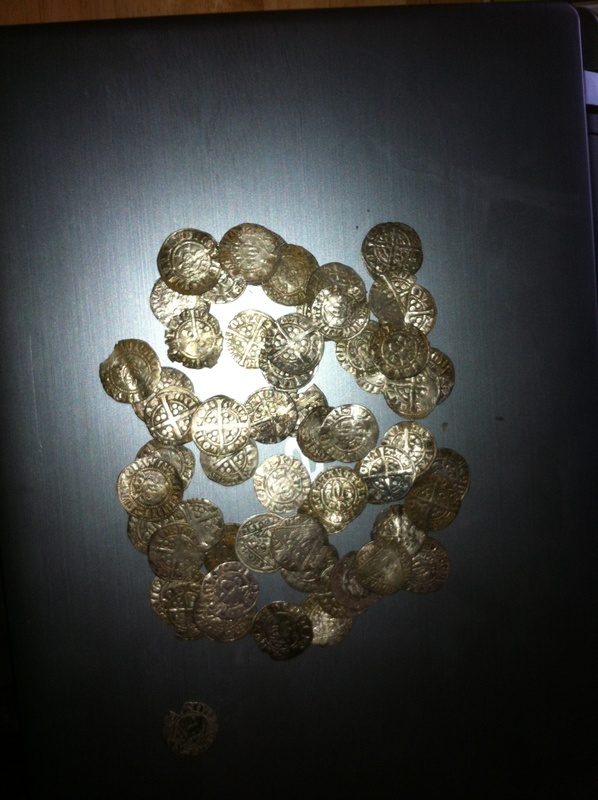 Also a hand full oxidized silver Spanish coins. I recently became the owner of a new Fisher Gold Bug Pro DP with a 11 inch DD coil, so I decided to take it out to some of my spots I have hunted in the past. First I dug some misc. 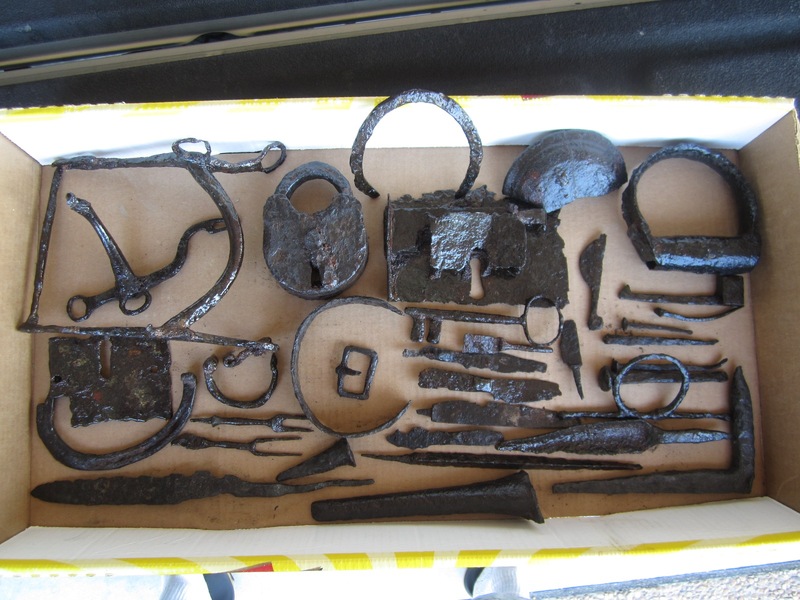 iron cavalry relics, hoof picks, saddle buckles, etc. I came to some little brush where my machine showed 2 signals , one coming in at 72- 77 and the other at 87 on the VDI. 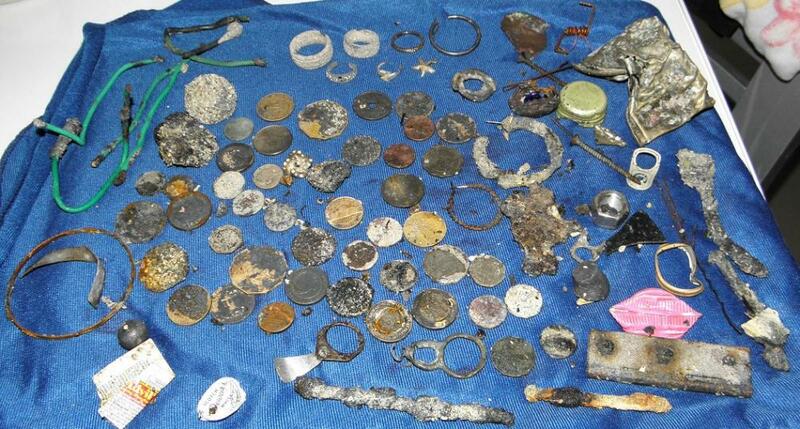 I dug the lower number reading first only to find 2 rusty nails and an old can top. Both readings were showing a depth of around 2 inches. Well time to dig the other signal. Roots were all over the place and when I pulled out the plug I noticed a rectangular shaped object, that was just under the root about 4 inches. 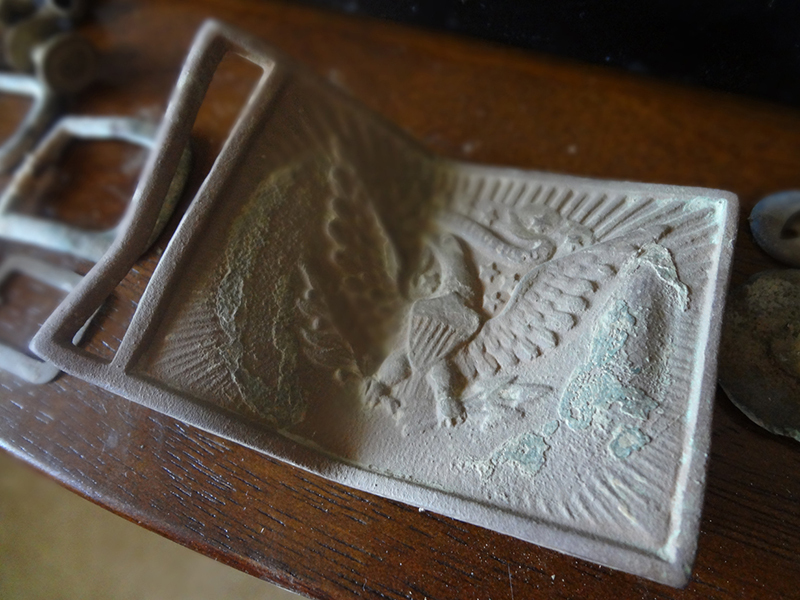 I must say, I've never dug an artifact that made my hands shake. 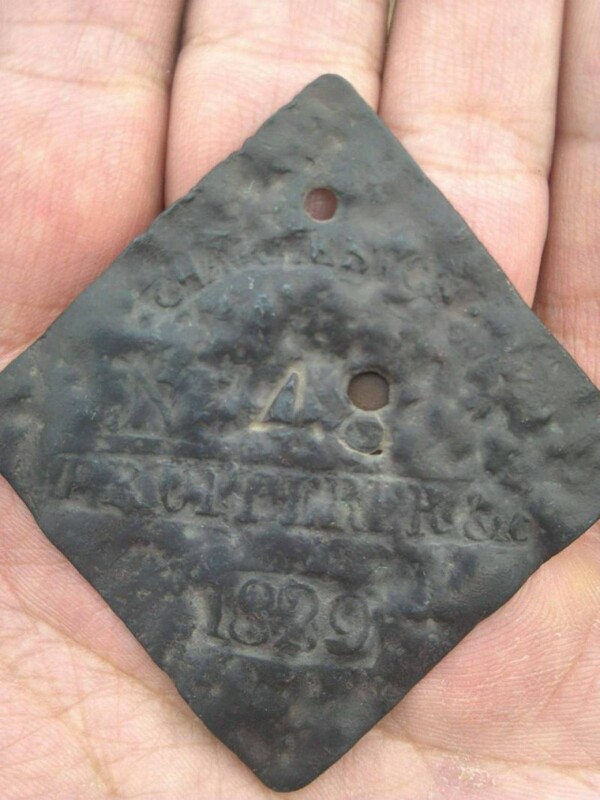 I feel very lucky to have found this, for the town I live in has many coils going over it, probably one of my best finds in my 14 years of detecting. The cannon ball was 20 inches deep. The nice breast plate was found the first time I hunted with this new machine. The area that the button and good breast plate came from has been hammered for the last 20 years. The button is from The University of the South, Sewanee, Tennesee. 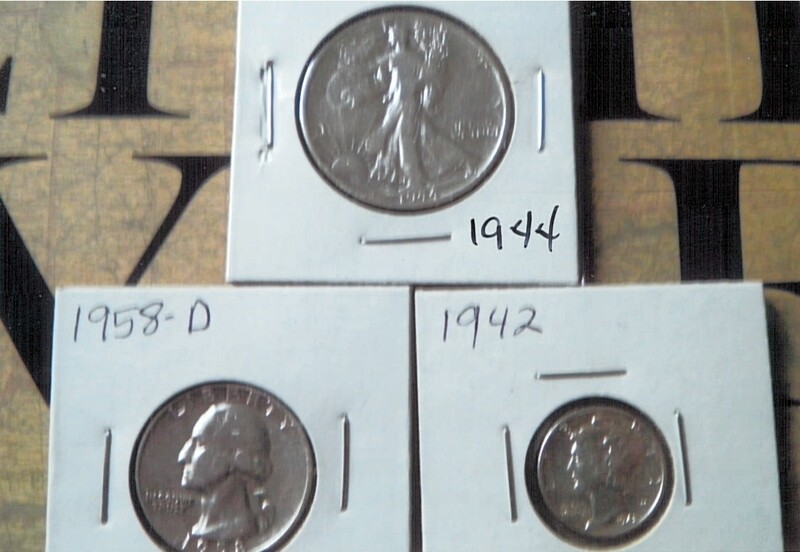 All found with Gold Bug DP. It's an awesome machine. 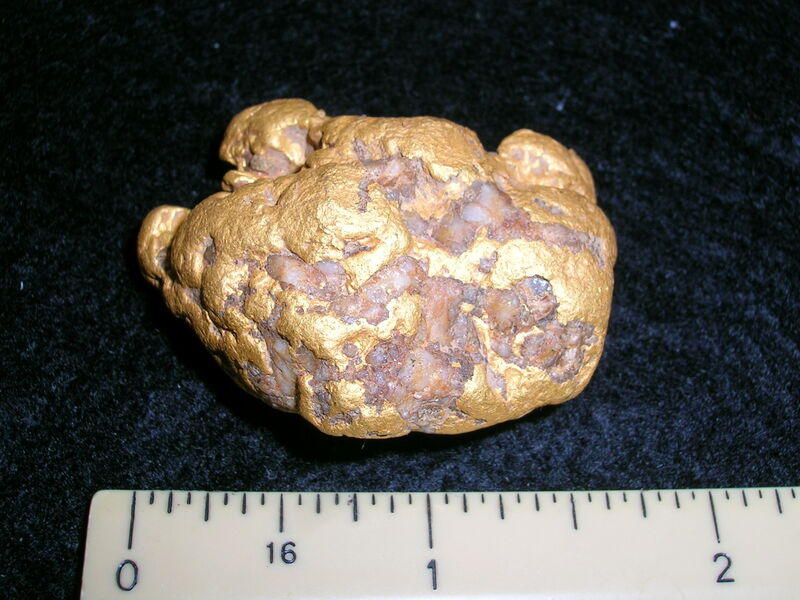 I found this nice 1.25 gram nugget in a well searched spot outside of Yucca Valley in California's Mojave Desert. I had been hunting all day with my Gold Bug Pro and had been skunked thus far. As it was going on 5:00pm, I grabbed my rake for the first time that day and told my dad that I was going to have to manufacture a nugget. (Similar to baseball when nothing is happening, so the team figures out how to make a run happen). I raked out a 5'x12' spot in a gulley and went over it carefully. And there it was... right in the middle of the raked out area and about 4 inches down! Not even a nice sharp sound in the headphones until I started scraping. 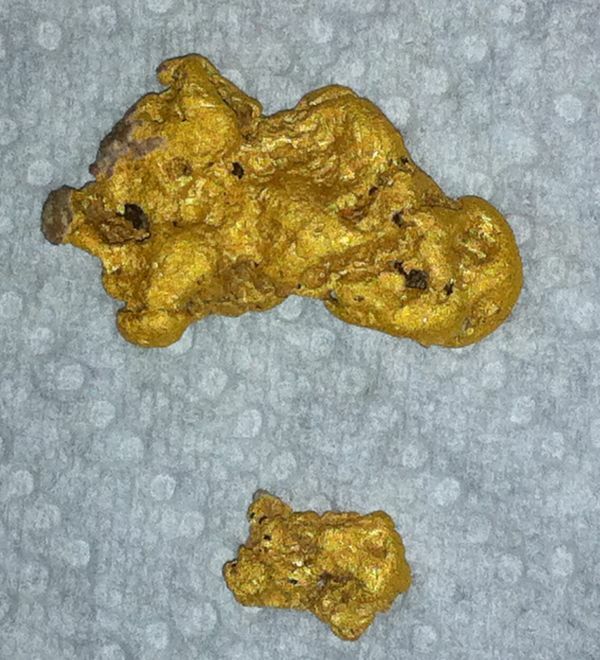 I was expecting hot rock until the sound cleaned up... then I was expecting bullet... and then I saw the gold. 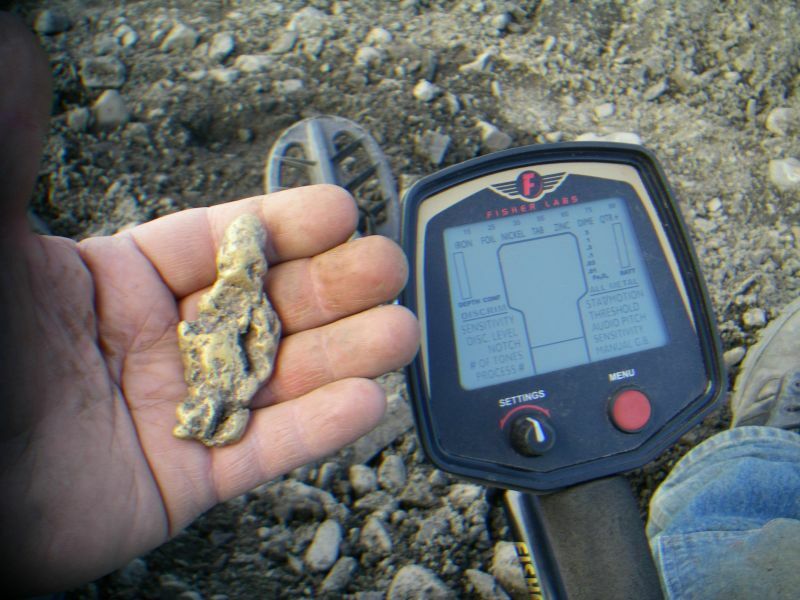 The hot rocks in this area are particularly plentiful and annoying, but with all the readouts the Gold Bug Pro provides to cross-identify targets, I was able to rule out most hot rocks and dig just the metal targets. 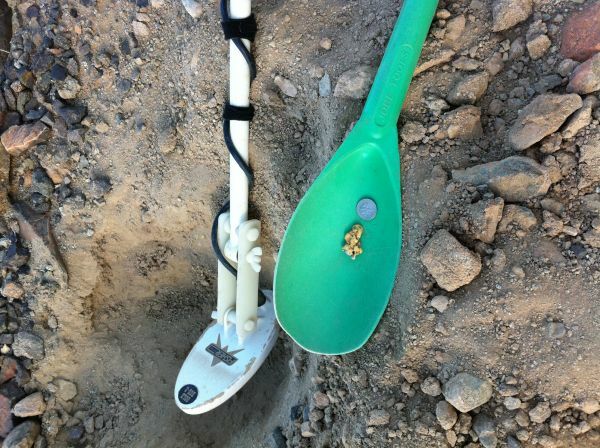 And at that, most metal targets can be classified by the detector before they are even dug! 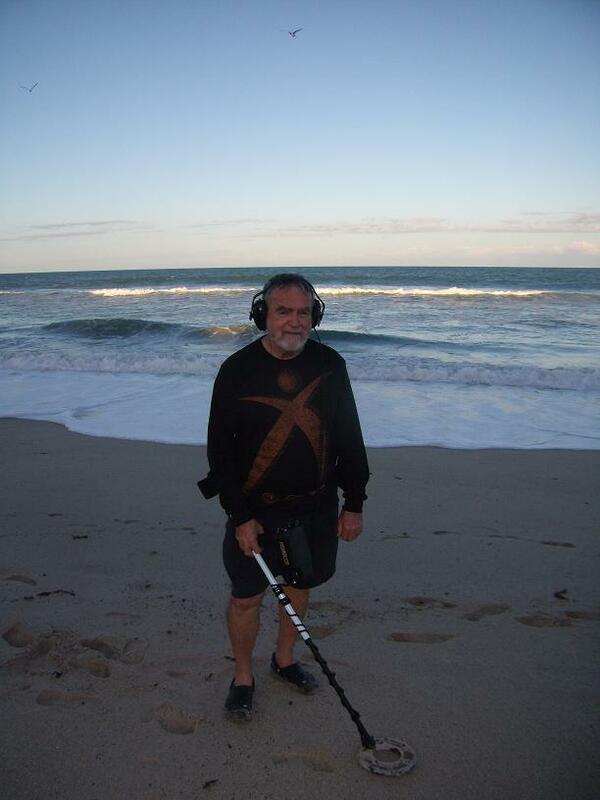 This is definitely a well designed, versatile and user friendly metal detector. 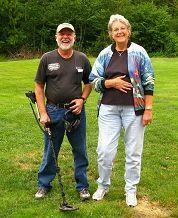 I have no problem recommending the Gold Bug Pro to a seasoned nugget shooter, beginning detectorist or anyone in between. 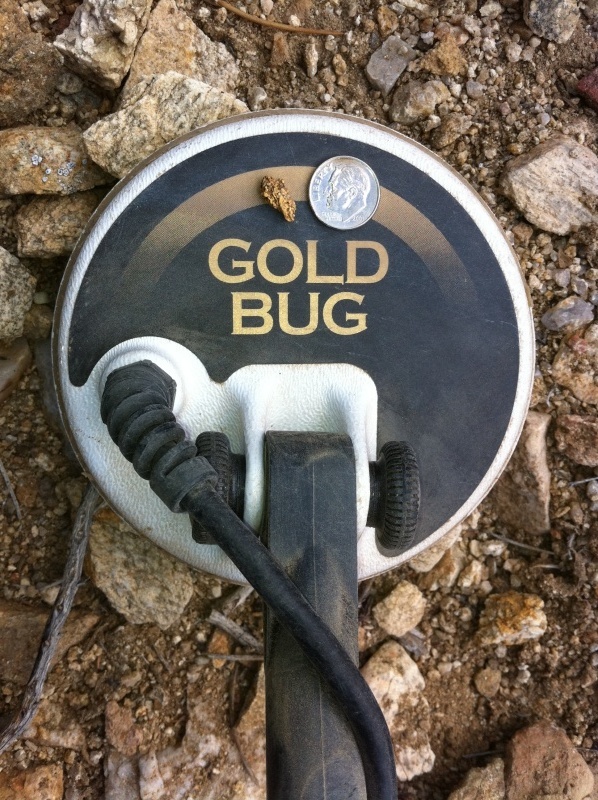 Let me finish by telling you about my learning experience with this easy to use detector: My first time out in a gold field with the Gold Bug Pro netted me three nuggets... and my first park experience a few weeks later produced a 1945 Mercury dime! The Gold Bug Pro is another Fisher 'winner' in my book, and I have already started turning these firsts into seconds, thirds, fourths, etc. I have been a VERY loyal CZ-20 and now CZ-21 user. First Texas has had problems in the past BUT since taking over the Fisher line and taking over all their past detctors and customers, I am sure it has been a huge learning curve. I am grateful for Felix at the repair center and I am a proud owner of a great machine. 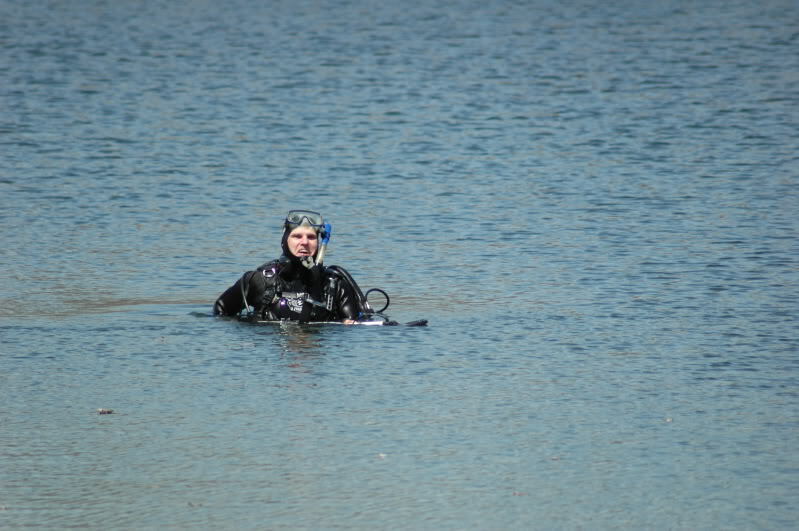 I dive Michigan 's lakes as much as possible. My best find was the year before last in Lake St Clair . I was searching for gold and have had plenty of success in this lake. This one late afternoon I was slowly crawling on the bottom and recieved a nice mid tone. 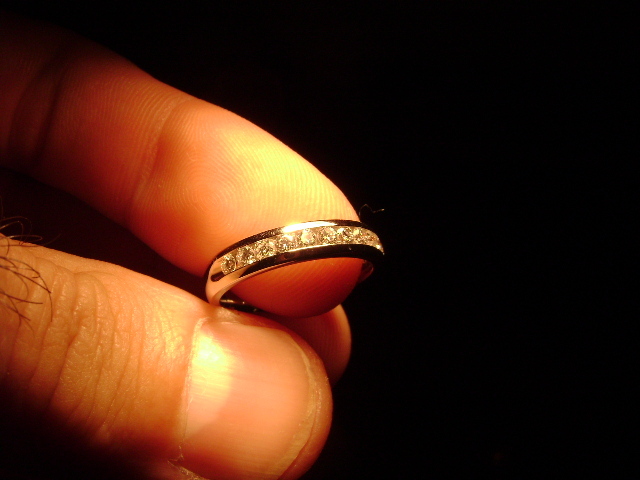 After fanning my hand a beautiful ring appeared. I picked it up and came up out of the water to look at it clearly. 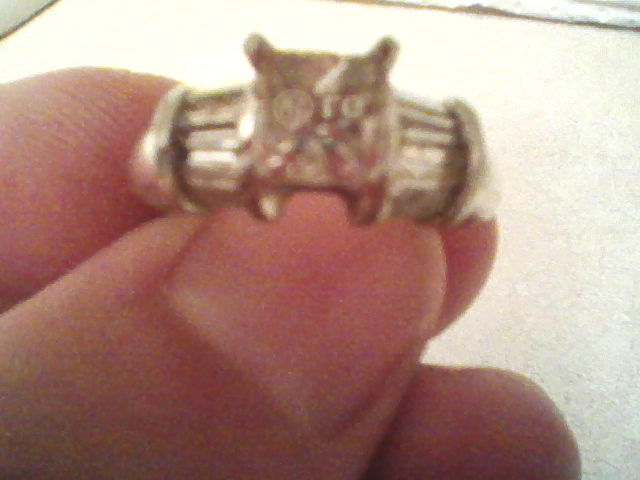 It had a princess cut diamond on top and 16 smaller princess cut diamonds on the sides with a number 6 inside. I finished my dive with it partially on my pinky finger and went back to the car. Put my gear away and drove to St. Clair Michigan to a jewlery store. I got there 3 minutes before closing. I was still in my wetsuit and walked in to the lobby. I showed them the ring and said, Please just tell me if this is real!! The salesmen looked at it and then tested it. Came back and said yes its real and you have about a 12 grand ring!! I have found lots and lots of gold but this one was the best so far. Thank you for your time. I absolutely love my machine and I wish your company success in keeping the Fisher line of detectors going strong. 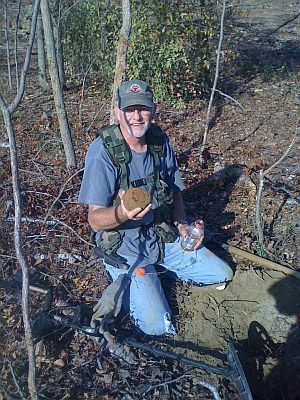 I was hunting a spot in Georgia that has been hunted a LOT over the years, by virtually every make of detector. I normally use the small coil and don't think I lose any depth with it. I checked a high iron area and dug a silver ring and tip from umbrella. 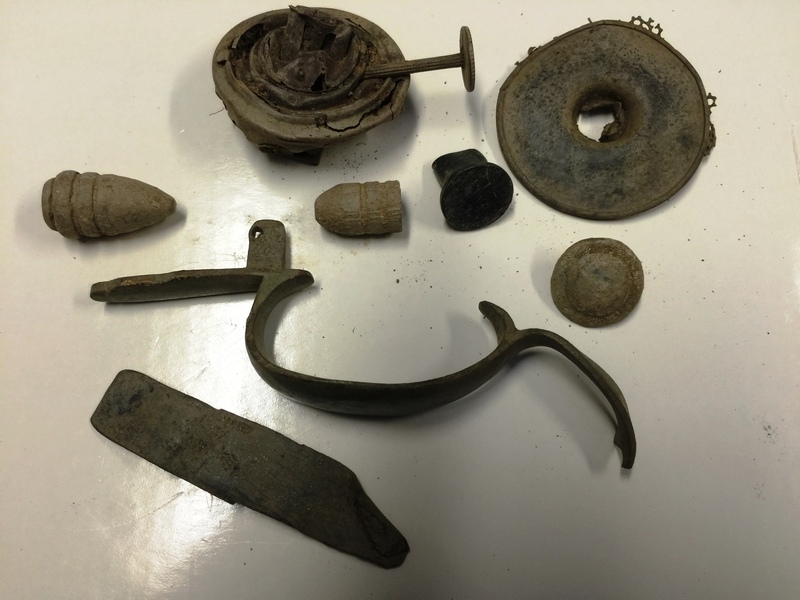 Made a circle back around to another iron area and found a lead sabot off of a 100 pounder then headed back towards the car to one more high iron area when I heard that nice high tone with a little chatter around (I run 4H tones in boost mode). 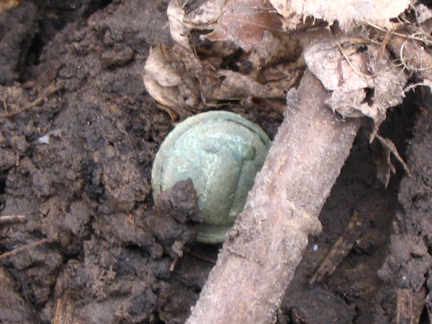 Out from 6 to 7 inches in iron infested area pops out my Bucks of America button. 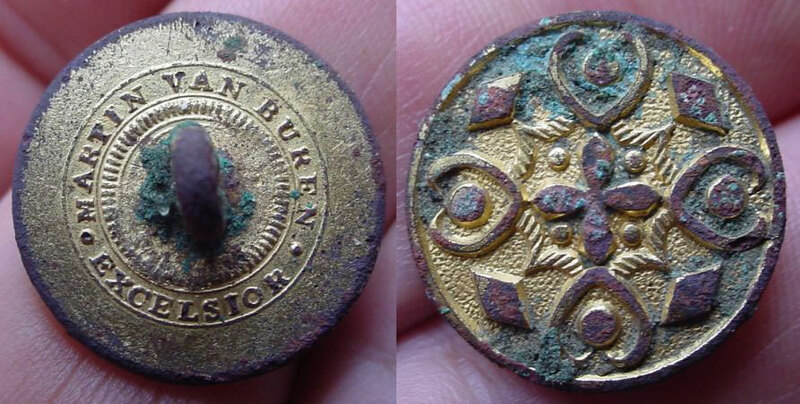 This button was used by a company of free-black soldiers that fought in the Revolutionary War for US Independence and is a rare and valuable piece of US History. Fisher in high iron sites that have been hunted hard for years can't be beat. 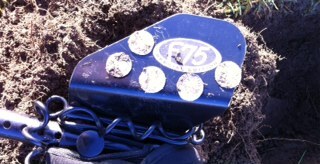 Found a half-dollar on my first hunt with the F75 Ltd, running in BP mode; it was dug at a depth of about 16 inches. Also found a quarter 6 inches away at the same depth. This past week I attended my first ever DIV hunt; it was DIV XVII. 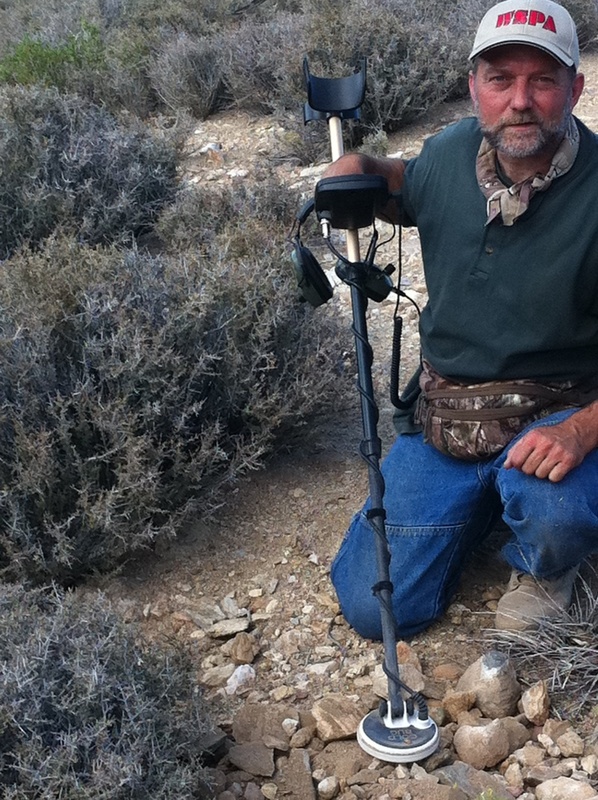 When I first got to the location it seemed like everyone had some type of newer more sophisticated detector. I was a little worried about how the F75 machine would perform in such a field of heavy hitters. Well I sure didn't have to worry, let me tell you. 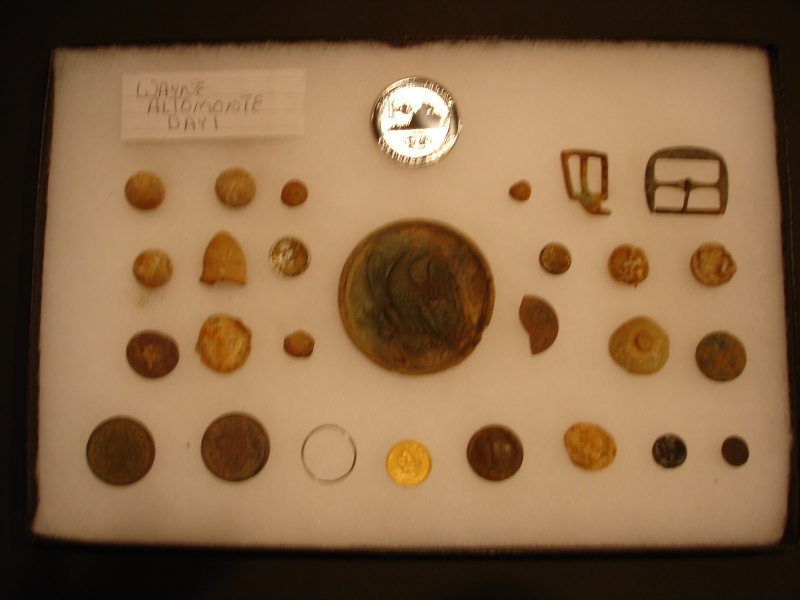 Day 1: (1) Eagle Breast Plate, (1) 1861 2-1/2 dollar gold coin, (1) silver wedding band, (2) large cents, (1) Confederate Block I button, (3) flat buttons, (31) minnies, (2) eagle buttons, (2) lead buckle backs and a rosette back. 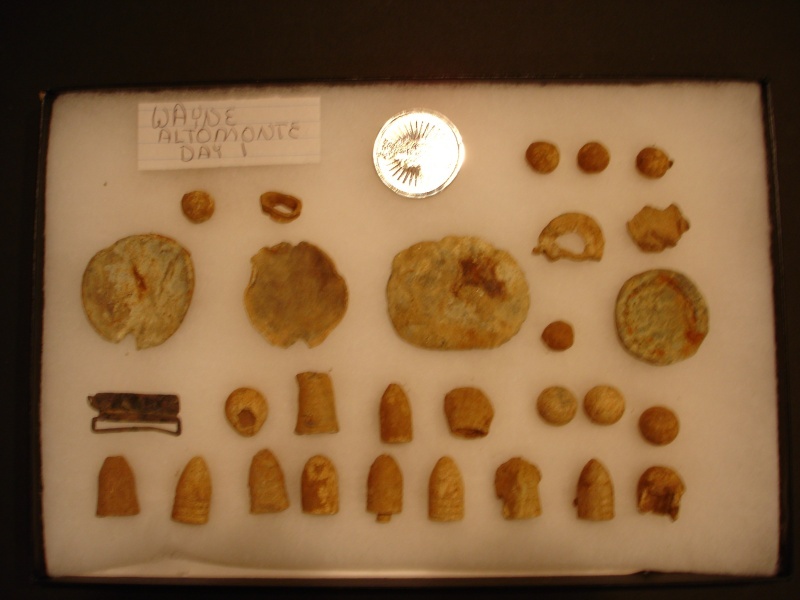 Day 2: (1) 1836 1/2 dollar, (1) 1853 1/2 dime, (1) King George copper, (1) clip corner buckle, (1) oval belt buckle, (15) minnies and (4) eagle buttons. 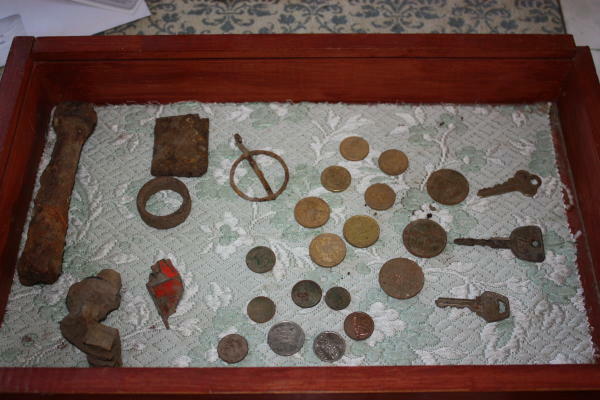 Day 3: This was a short day for me because I had to leave after lunch: (1) staff officers button, (5) minnies, (1) harness buckle and (1) 1861 2-1/2 dollar gold coin. 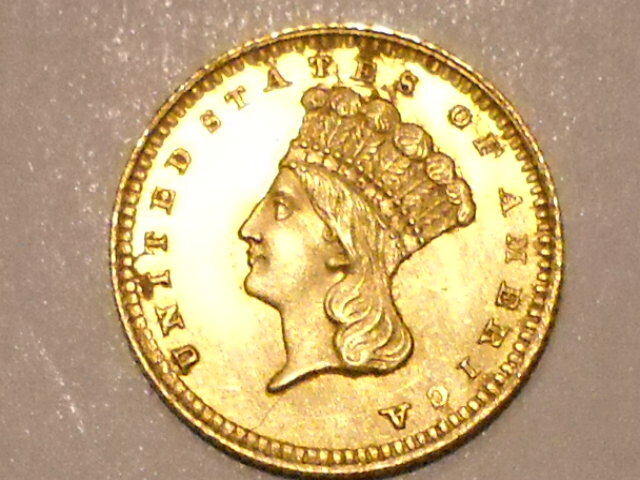 That's right (2) 2-1/2 dollar gold coins during the hunt. Fantastic!!! Thanks to all of you at Fisher for designing such a terrific machine. By the end of the hunt, several people that had brought their F75 machines, got them and finished the hunt using this fine machine. If I am lucky enough to attend another hunt you can be sure what machine I will be using. If there is any doubt then let me spell it out - F75. I bought my Fisher F5 about a month ago, after weeks of research and comparisons. I was very impressed all the features that were packed into such an affordable machine. I especially love the phase lock system you incorporated into the design. Makes ground balancing a snap, and nearly makes it a turn on and go. More like a turn on and go in 10 seconds machine. Plenty quick enough for this eager hunter! Yesterday, November 13, 2010, I was out searching a farm field just outside of San Angelo, Tx. There used to be a mail station that sat on the land back in the late 1800's and various coins have been pulled out of that field. Yesterday was the first time I had a chance to use my new Fisher on that land and it turned out to be a great day because of it. In a small corner of that field that I'd been over with other metal detectors before I got a strong signal indicative of a quarter. It rang out like a bell in my headphones and got me excited very quickly. I eagerly switched it to pinpoint mode and found the signal pointing to a quarter target about 4-5 inches below the coil. 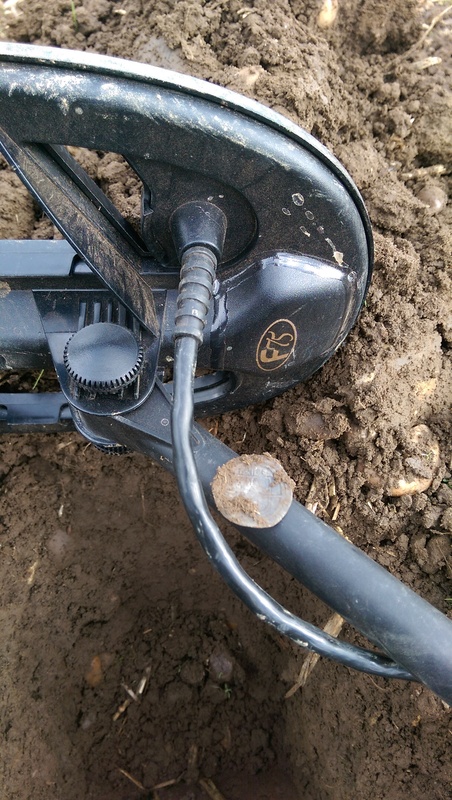 I cut a square plug around the coil and dug down the indicated distance. After clearing the hole, I rechecked the signal to find the target still inside. I slowly chipped away the ground in the bottom of the hole and slowly revealed a breathtaker staring back at me. Once uncovered and free of dirt and other possible junk targets the quarter signal showed its true colors as the half dollar signal it really was. 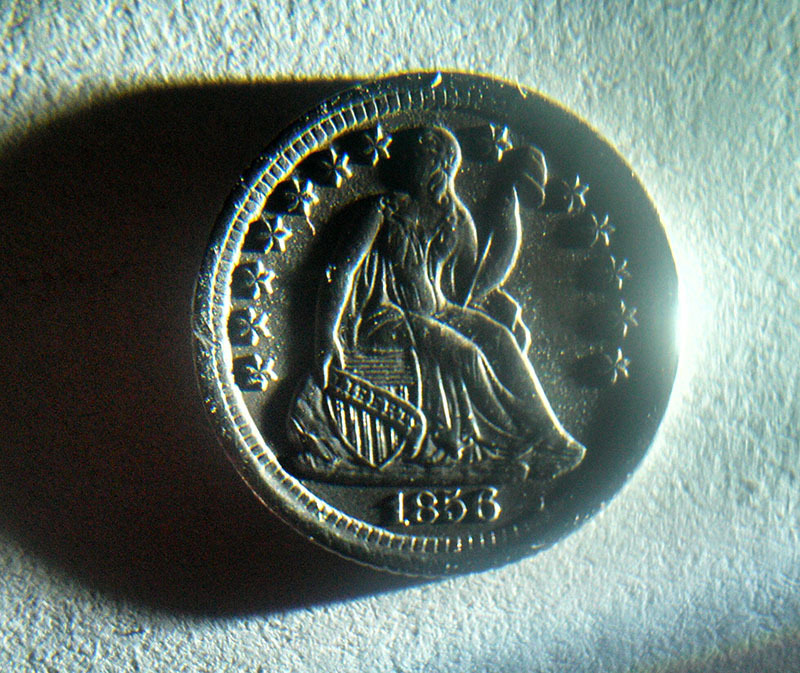 At the bottom of the hole looking back at me was an 1856 O Seated Liberty Half Dollar! In an instant I became a true believer in the greatness packed into that affordable F5 package. 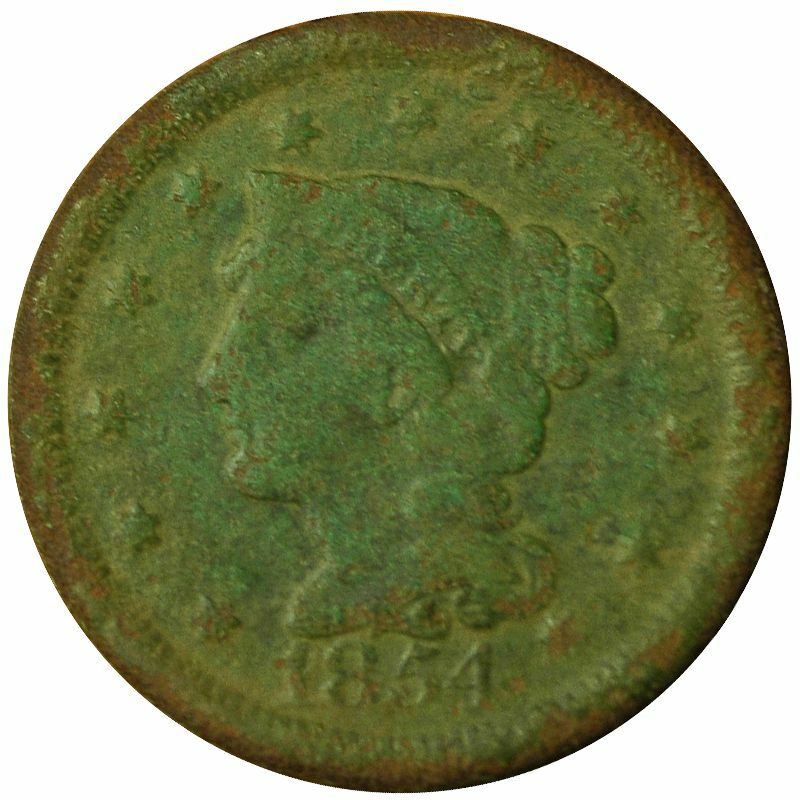 Thank you Fisher for making my dreams come true finding such a beautiful coin! I've owned my CZ 20 now for 7 years with out any big issues and the small issues were taken care of by the service techs and sale people with great results. I've been water detecting for about three years and this has been my best years ever on jewelry finds. You just can't get a more better detector for water hunting then the CZ 20. 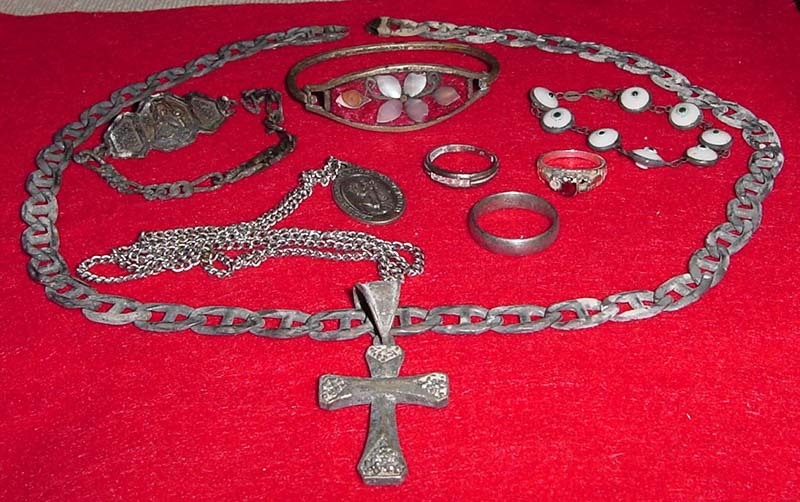 Here is a picture of SOME of the jewelry I have found just this past summer and not shown is the large amount of coins that were found too. 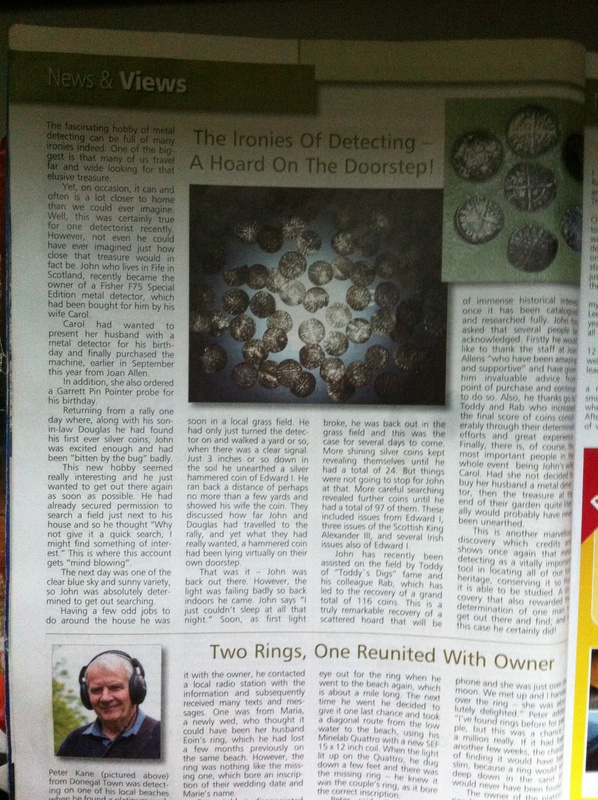 I just wanted to say Thanks to Fisher, the sale staff and to the techs for a wonderful detector and GREAT service. I got my F75 last summer and took it to England to use as a backup. The sounds it made were a lot different from my MXT. 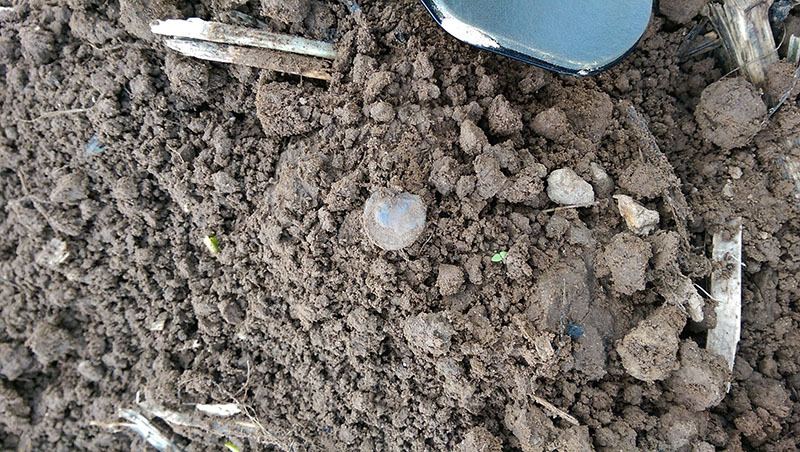 However, when I dug one of the strange signals on the second day In England, what I first thought was a very fancy Brit bottle cap popped out. 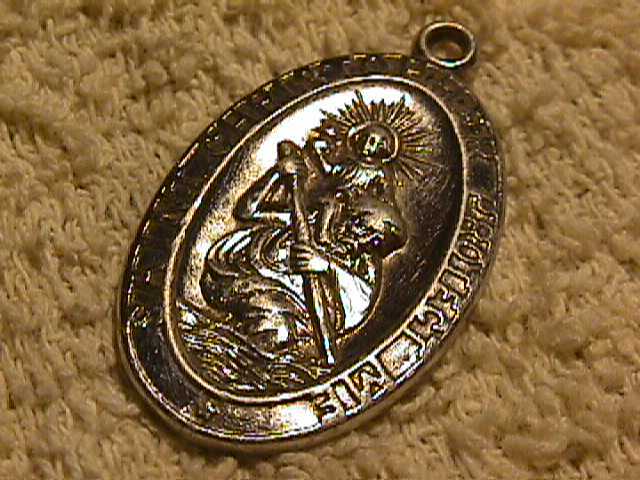 As the first 2 pictures on the attachment show, it is an awesome Hammered gold Angel of Henry VII. 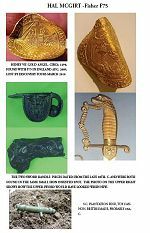 The 2 sword handle pieces were found when I got back from England. Both came from the same area. The cannon came from another plantation that I thought I had worked over with my MXT. 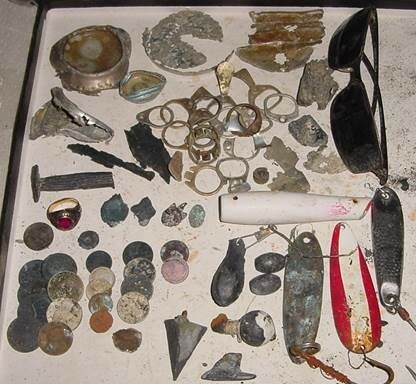 This is a picture of my very first finds on July 30/31 2011 at a park in Christchurch New Zealand. Only had it about 2 weeks, And found a nice meteorite with it. Am very pleased with the machine. Since March, my finds now exceed the value of my F-70 and the three searchcoils I purchased. Wow! I am so impressed with this machine! Gold bracelet recovery, 7-19-2010, Stanwood, WA. 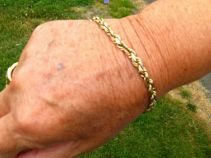 For Judy Amenta, who lost the bracelet in the grass a day before. 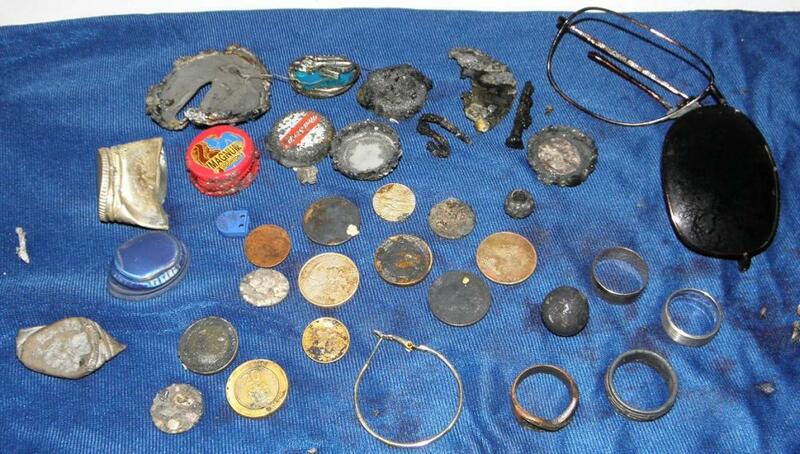 She and relatives had been searching for many hours with rakes and fingers for the missing bracelet. After getting all the details and marking suspected loss site, the detector was going wild, chattering like a wild turkey! I asked property owners where the interference may be coming from. After they turned off the invisible dog fence, the hunt was on. I found the bracelet in less than one minute about 6 feet from beginning search! 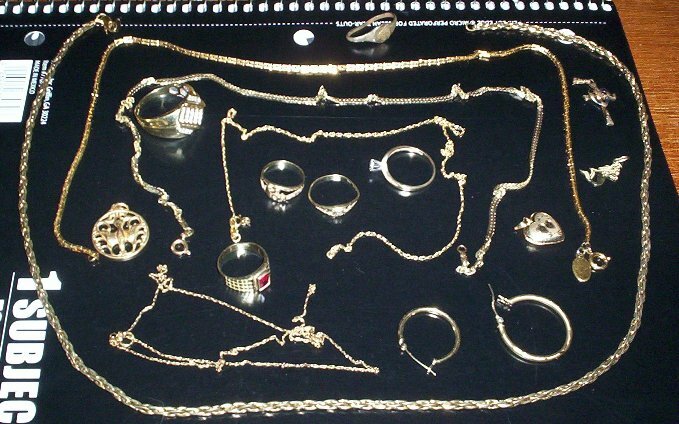 My first find of lost jewelry& First gold find ! Detector screamed with a loud but inconsistent signal. Scanning at 90 deg, readings varied between 1 and 18, with occasional spikes to about 60. I was going to adjust volume on this target….the first detected on my hunt.
. Using zero discrimination mode, at sensitivity setting of 50, threshold at zero. . Fisher F70 detector using the 10” coil. 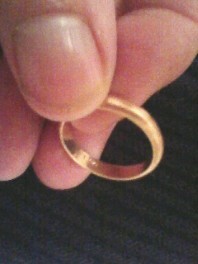 I was searching a Lost & Found posting and noticed someone had lost a Wedding Ring at a beach about 50 miles away. 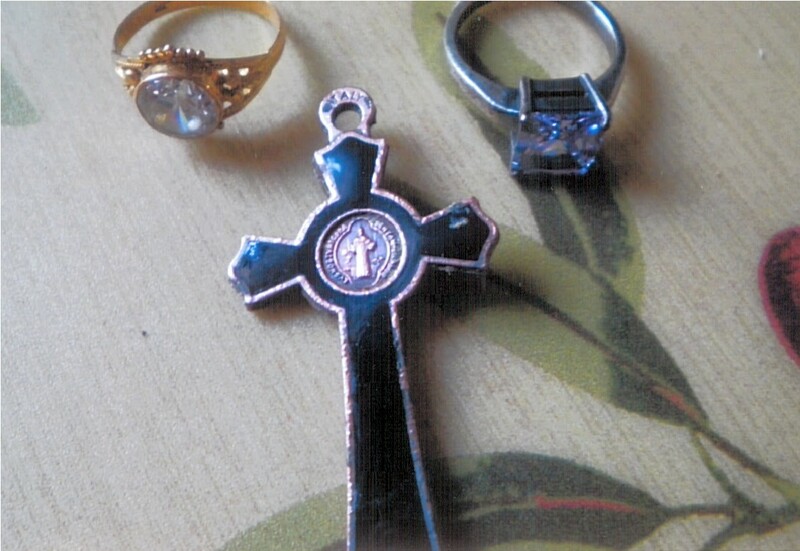 I contacted the individual and after offering assistance to find the ring, was given directions to its possible whereabouts. The following day, I was on my way to the Coast. My F2 performed without fault in the wet and dry sands of the beach. After approximately 30 minutes time, I got a hit that registered 30-32 steadily and new I struck GOLD! One scoop of the sand and there it was!!! It was a huge, white gold 14K band! I couldn't wait to get back home to notify the owner. 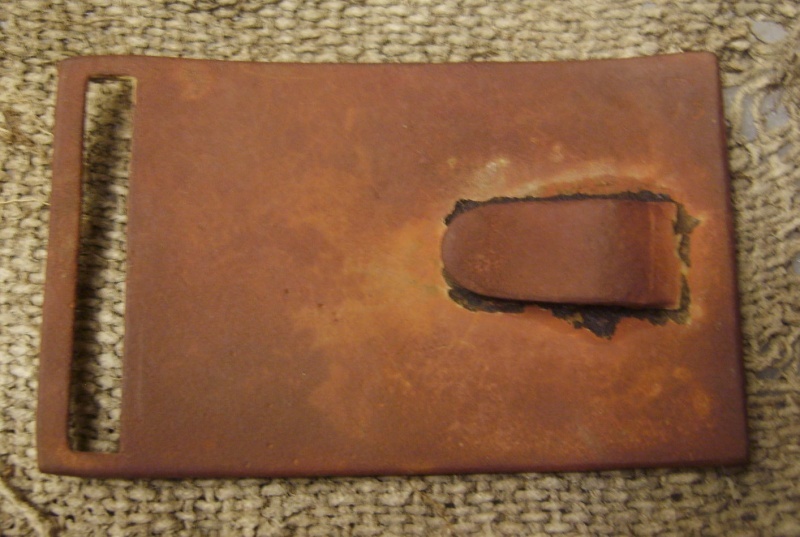 However, the owner advised me that there was a name etched on the inside. "Oh well, I guess I've got another ring to add to my collection". I then questioned the name given and searched the internet to find that this name is actually the Jewelry Company he bought it from! After contacting him again, he confirmed that was true and was mistaken about the writing inside the ring. There was none. So, I said great! "You've got your ring back". 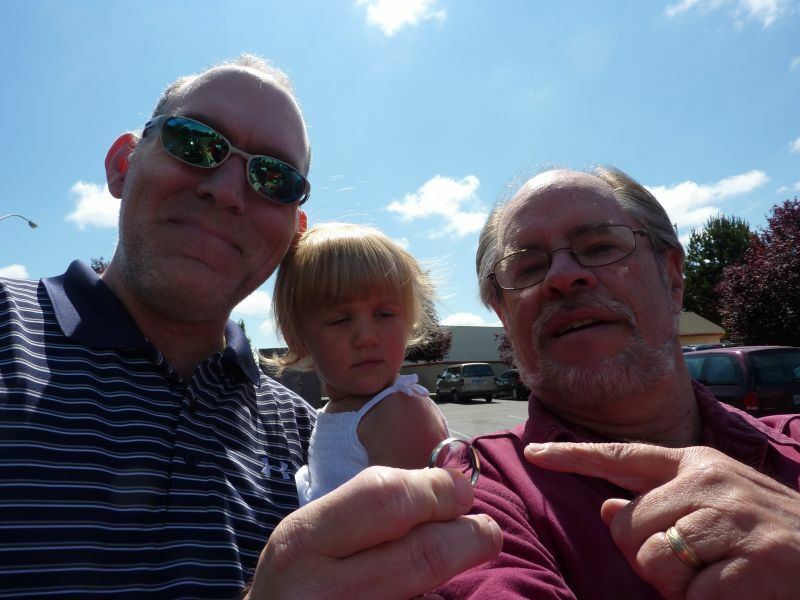 After about a 1hr drive to my town, we met locally and I was able to hand him his ring! 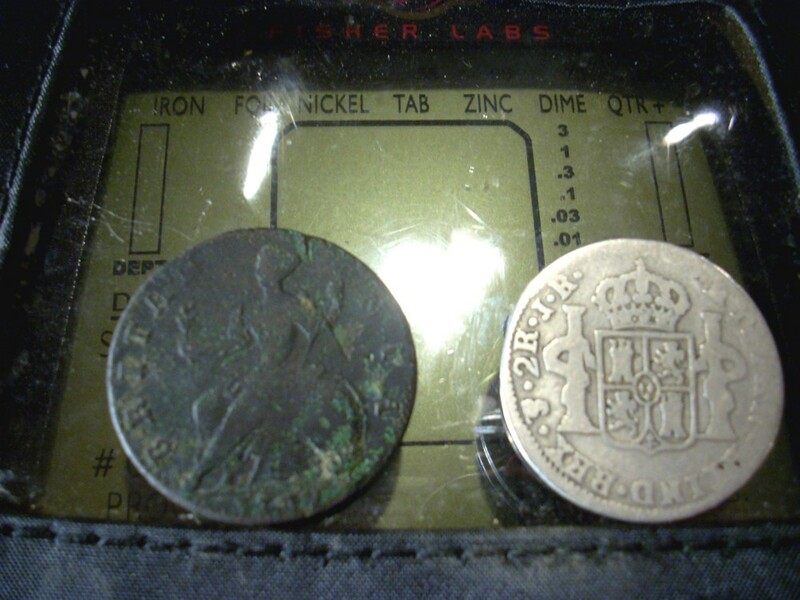 Found my 2nd Spanish silver coin today and it appears to be a 1/2 Reale dated 1808. 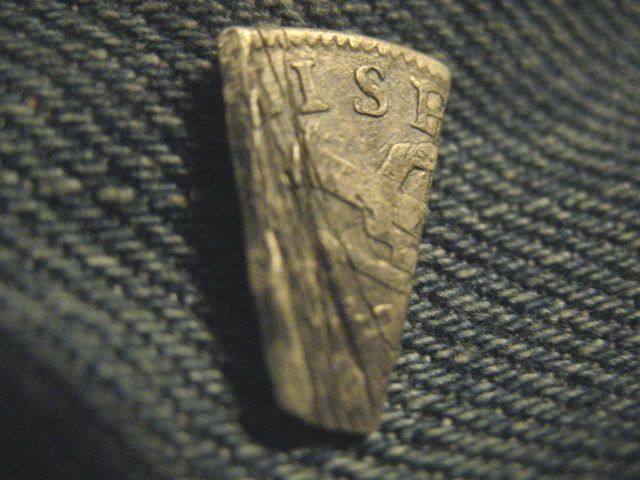 It has been clipped along the edges (a practice used to pilfer bits of silver from coins in those days). 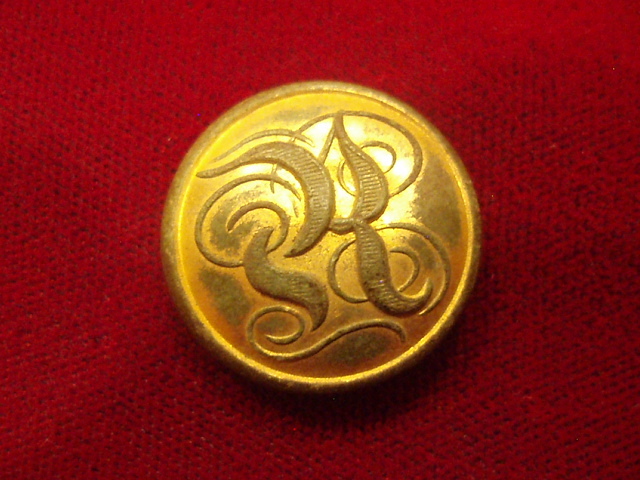 The coin measures slightly less than the 17mm diameter of a 1/2 Reale coin. 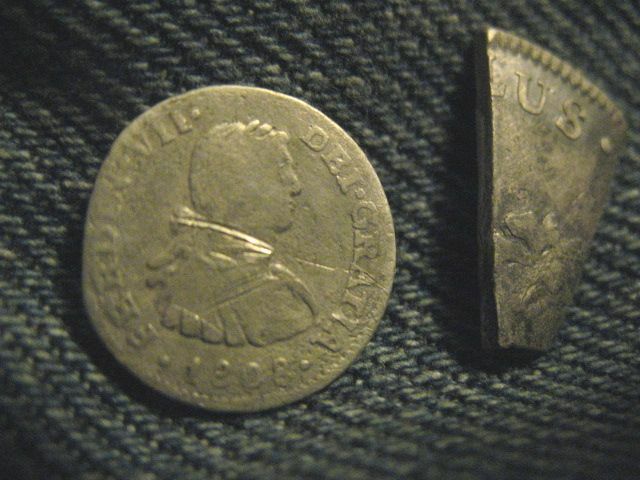 It is pictured next to a "1 bit" piece cut from an 8 Reale coin that I found a few days earlier. Both were found with my F75 LTD between 5 and 6 inches deep with the 5" DD coil. 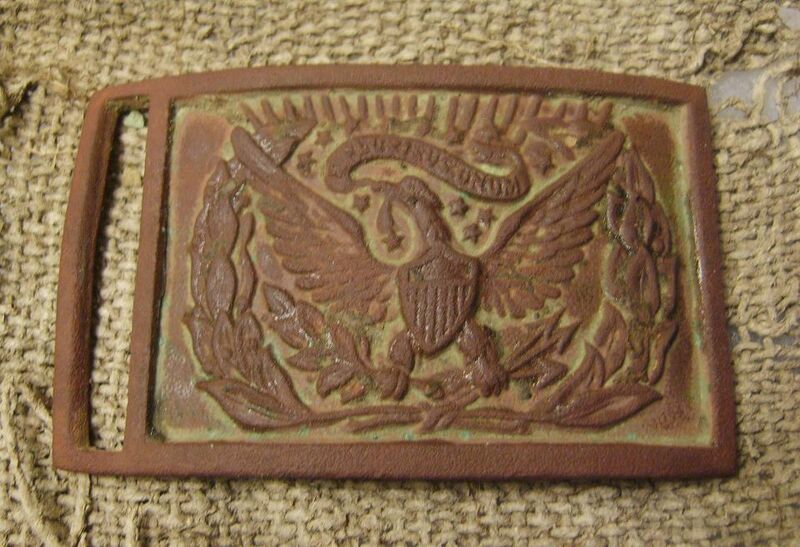 Found this buckle about 8" down on an old farm with my Fisher 1270 w/ stock 8” Spider coil, in Northern New Jersey. It was a warm up spell with melting snow in Jan 2010. The info I have been getting dates it between 1810 and 1820, some say it’s a NY Militia Plate. The old farm dates back to the early 1800’s and I just got permission to hunt it the farm has never been done. Can’t wait till Spring. My wife and I have been hunting for a short while and we love it. I have a Fisher CZ70 pro and I love this thing. It goes very deep but it proved to me today that deep isn't always better. We were hunting in a park that we usually hunt in today because I got her a new Teknetics Delta 4000 and we wanted to go try it out. I was kind of jealous of her new detector just because its new and she does fairly well with it. Anyway I pulled out my ole CZ70 pro and it never fails me. 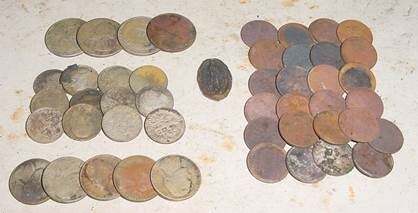 I found a few clad coins and pennies then I got a hit about 4 inches down. I can't remember what it was IDing at but it sounded good. 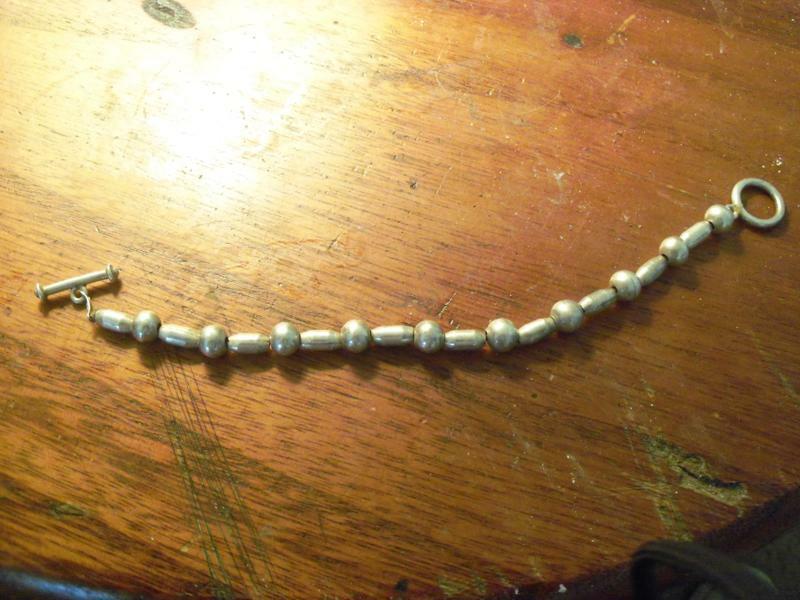 I dug down and found a beautiful sterling silver bracelet in great condition. I wasn't sure it was silver until I got home. I new it was a little heavy. I got my magnifiying glasses out and on the round clasp there it was. 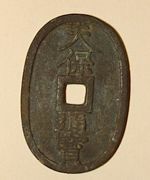 "925". I was extatic. I can't wait to be able to get the CZ3D. The CZ70 pro is older but it does great but I feel with a new CZ3D would be even better with the reviews I have been reading. I used to hunt with White's but I am sold on Fisher. Nothing but Fisher for me!!! Here is what the last 4 hunts to a "Hunted Out Camp" turned up once again. My hunting buddy and I have gotten 4 gold dollars out of this so called camp in the last year. Believe me nothing is hunted out using the LTD and the correct settings for where you are. 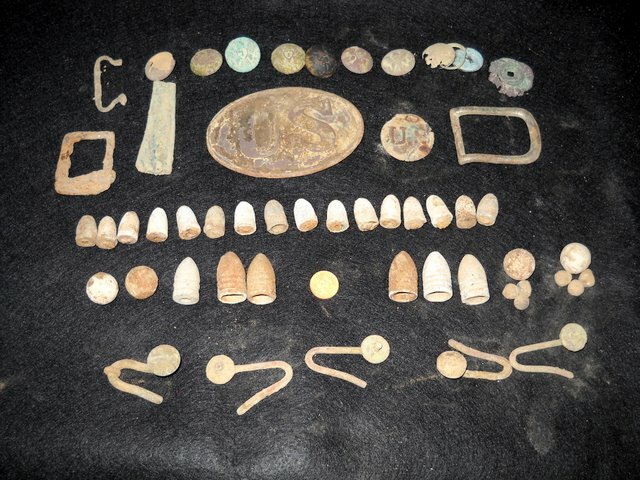 In the picture is another 1862 Gold Dollar, a few A buttons, nap sack hooks, a Rosette US from a horse blanket[ we believe] and the real surprise it the 16--- 41 cal. 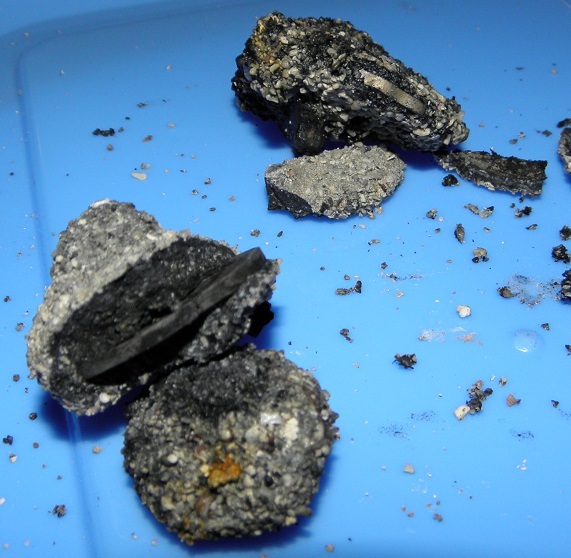 Volcanic bullets, also called Rocket Balls. They were made by the Volcanic Arm Company just before the CW war. It was the first tube feed under the barrel magazine but it just didn't have the knock down power. The company when broke, and Mr. Winchester ended up with it and hired a fellow Named " Henry" who redesigned it, refined the bullet to a cartridge type hence the " Henry 44 cal rifle". These are rare bullets for they made 41 and 31 cal. These bullets will bring $ 60 to $ 95 on the market if I want to sell them. I may just wait to see what the LTD will be replaced with before a make a move on them. IF you are interested in the setting that I use and these are really proven, for pressing the red button down to switch back to DE, from BP they are very weak, broken up or just non existing. I used 50-70 sens, where ever it is most stable, PB mode, and most important""""" 0 discrimination, and 4 tones I JUST LOVE MY LTD oh yes my back up is another LTD, wouldn't walk back to the truck for anything else. I can only tell you" THE BOSS IN THE FIELD , IS THE RELIC KILLER LTD, HANDS DOWN." We bought our farm in 1993 from the widow of the man that had owned it for thirty-three years. In all of that time he never had lived on the land. He and his friends hung out in the old barn. I guessed to keep from going home to their wives. The barn by the time we got it was in sad shape. The siding was falling off, and there were large gaps in between the boards. The roof leaked and the all of the wood in the barn was full of wormholes. There was an old springhouse and some other out buildings on the land also, which he had used to store all of his junk and his friend’s junk as well. The land looked like a mini junkyard. The springhouse was in really bad shape. The weather had had its way with it. The foundation had one complete corner and the back end cracked apart from the rest of it. The spring in the basement had exited through the crack and ate the ground from under the foundation, causing the whole building to tilt towards the downhill side. It was beyond fixing and in a few more years collapsed into a pile of rubble with the spring water running through it, making it a muddy mess. In 1994 we built a new house behind and off to one side of the barn. After three years we decided to tear down the old barn. The wife didn’t like it in front of the house and it was well on its way to falling down anyway. We left the barn’s concrete floor and used it to park our trailer and farm tractors on. In 1998 we built a new sheet metal barn down by the springhouse. In 2004 we decided to clean out the springhouse mess and replace it with modern construction. It proved to be a far bigger job than we had planned on. We got the new foundation and basement walls up, with the spring still running through the basement. This time it was all enclosed in a tile and a plastic drain line that carries the water away from the foundation, but before we could finish it, the wife got laid off of her job and we kept saying, “next year, we’ll finish it”, but like tomorrow, next year never seemed to come. In 2008 we had a barn sale and met and talked to some people who used to live around the area back in the fifties. They told us about the old man that owned the land before the man that we got the land from did. The story goes that he lived in the old springhouse, which had no electricity or bathroom. It seemed that he was pretty much a hermit. He had lived through the great depression and didn’t trust banks or paper money. At one time he had owned a complete section of land around here, but he gradually sold off all of the land expect for this twenty-one acres he was living on. The story also goes that he sold the land on the north side of him for $3300 and that he buried the money some where on his land. One lady said that when she was a young girl, her mother would have her bring him some food from time to time. She was always scared to walk back here by herself. She also had heard the rumors about him burying money. A man that use to live up the road from here, said he came over here as a boy and looked for the buried money along the creek, but never found anything. When we cleared away the old springhouse, we didn’t find anything in it or under it. All this talk about buried money got us fired up, and we got out the “Gold Bug II”. We thought that he would have buried the money by some landmark that was close and handy. The only thing around the springhouse that was there fifty years ago was a large maple tree. We’ve been detecting around the tree in a grid, but as of yet we’ve not found any money. We’ve found a lot of metal junk. In May of 2009 we decided that we needed an implement storage and repair shed. We’re going to build it where the old barn stood, but first we would have to remove all of the old concrete. The concrete was all broken and uneven. My father-in-law and my wife were digging up the concrete with a backhoe and took a noon break for something to eat. While walking back out to the backhoe, they walked through the area where they had been digging. 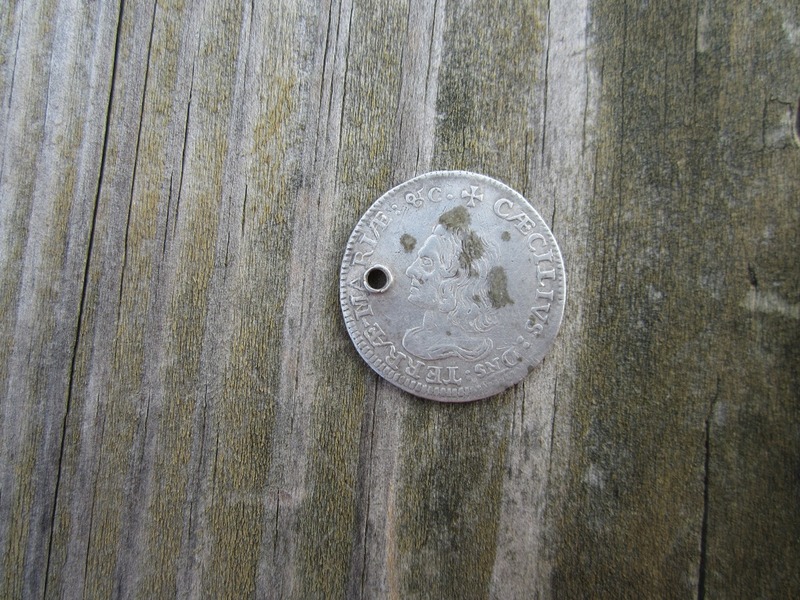 My father-in-law saw something shiny in the dirt and bent down to see what it was. 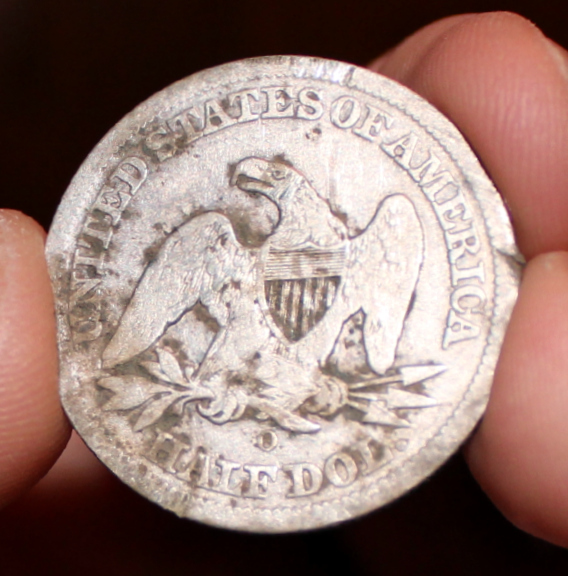 Picking it up and wiping the dirt off it, he saw it was a silver half dollar. Looking back down in the dirt he saw some more, picking them up, he turned to my wife and said. 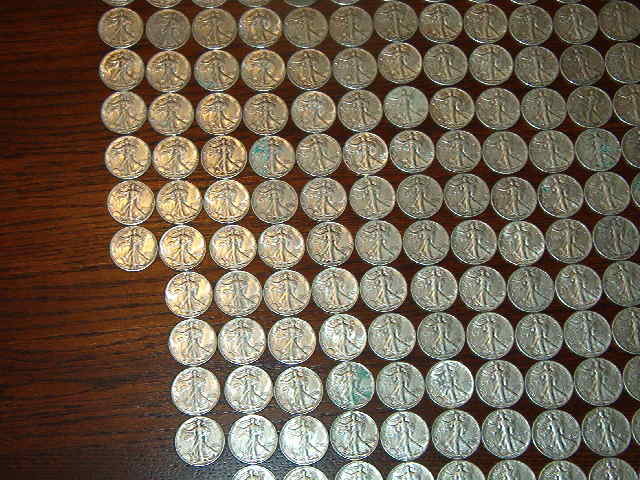 “Nancy, these are silver half dollars.” She didn’t believe him at first. He handed them to her and her heart started to race. 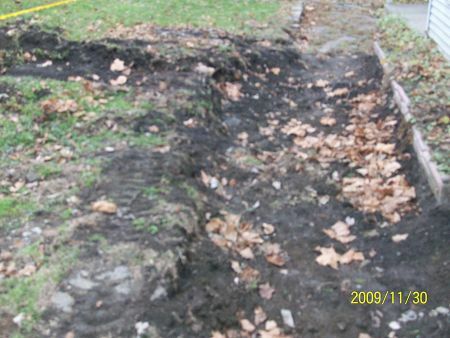 There was a line of them where the backhoe had dragged them through the dirt. 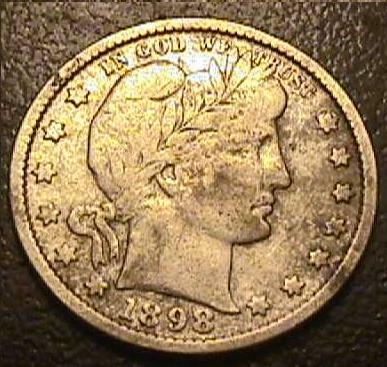 When I got home, I got out my “Gold Bug II”, and with the help of the detector, we were able to found two hundred and eighty-six “Walking Liberty silver half dollars”. They dated from 1917 up to 1945. 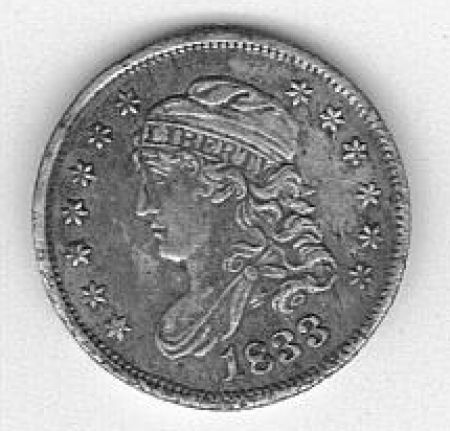 The face value of the coins is $143, the silver value of the coins is $1550, but the coinage value is $2300. Some of the ones in the forties look like they just came from the mint. 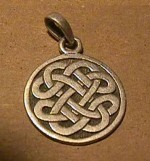 We plan on selling some of them and keeping some as a reminder of the buried treasure we found. We figured that the old hermit buried the money in the barn’s dirt floor and died before he could retrieve it. The next owner then poured concrete over the barn’s dirt floor, never knowing that the money was hidden there. The fact that we found it was a lucky break for us. I’m sure there is more money buried on this land somewhere and with the help of the metal detector, I’m hoping we’ll find some of more of it. 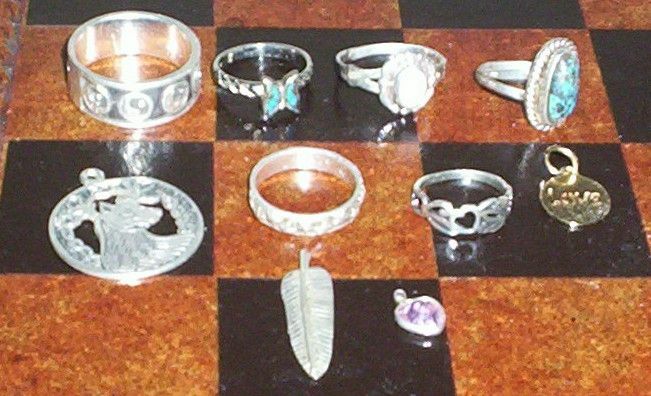 Left - Some silver jewelry found with my Fisher F5 The Native American made silver feather is my favorite The butterfly ring isn’t silver but I wanted to show it off. Right - Recent gold jewelry found with my Fisher F5. I can't get over how much I love this detector! I spent a day hunting with one of my old favorite detectors. I spent the next day hunting with another one of my old favorites. Then I spent a day hunting with my Fisher F5. Guess which one caused me to say out loud "I love this detector!" -- several times during the course of the hunt? I'll give you a hint. It wasn't the first two! The F5 is great on gold jewelry -- excellent in fact. It's the audio that spoils you, especially with the positive threshold setting. 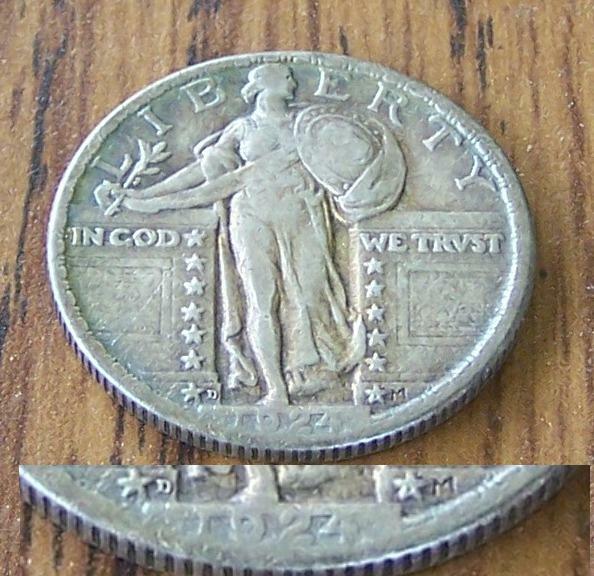 This beautiful 1924D SLQ was found using my CZ3D and a 5” coil in a hunted out house site here in Tulsa Oklahoma. The coin must have been on edge as the signal was a broken one from all but one angle. Thanks for the contest and can’t wait to see the new site. 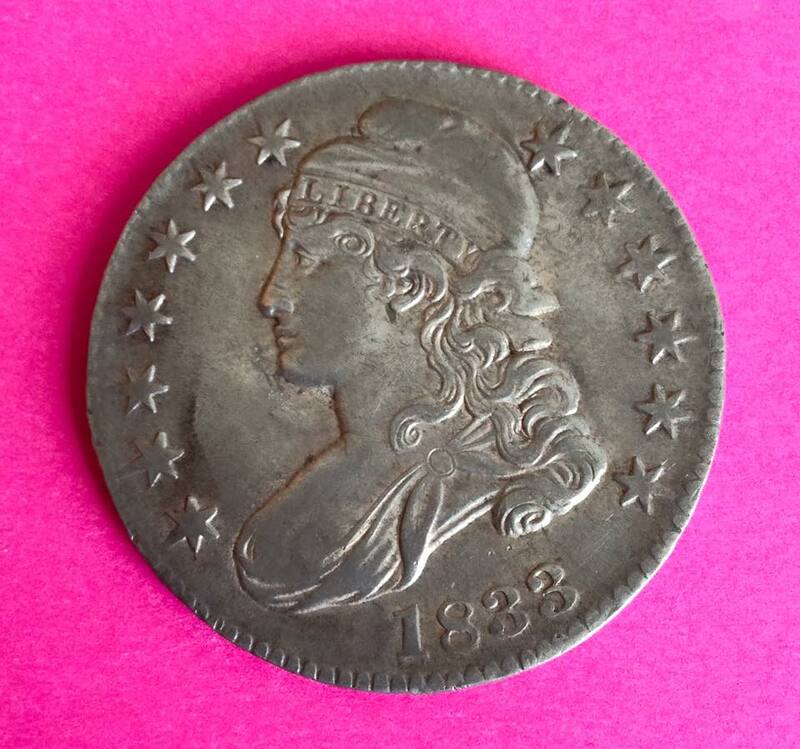 Found this nice bust half dime in an area of a torn up sidewalk here in N. Ky. It screamed in high tone & was an inch in the loose dirt. Thanks for a neat detector. 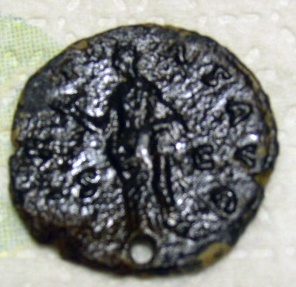 The first pic is slightly blurred but the coin was found in the dirt next to this sidewalk in a 1700's town. 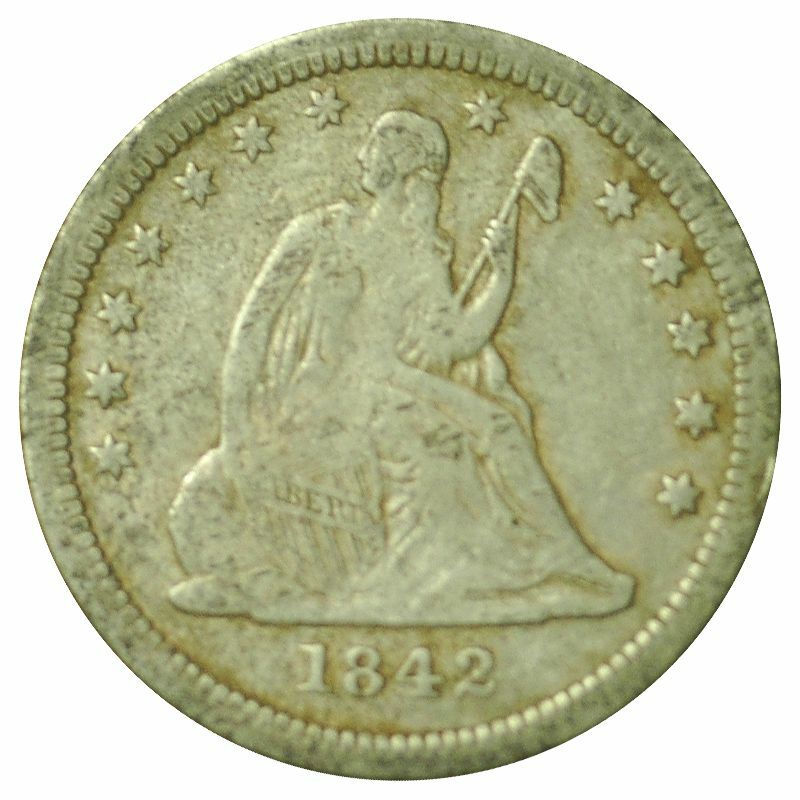 The second pic is the 1833 bust half dime in pretty nice shape. I have been using my CZ6a since they first came out and will never part with it. Matter of fact, I bought another used on because I like them so much. I have bought, sold and traded numerous detectors over the years, but never parted with my CZ6a. 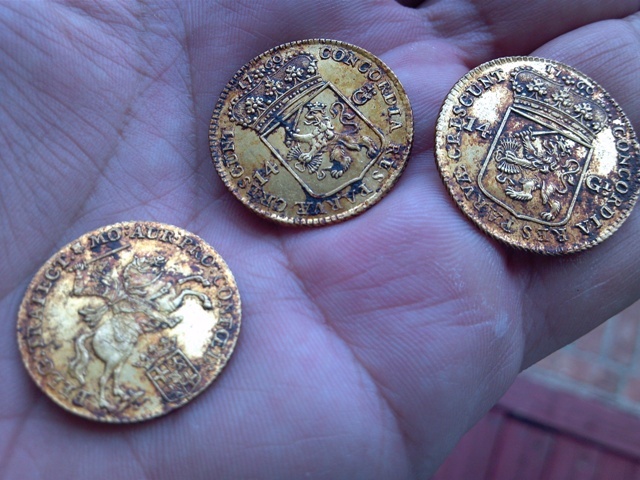 I found a BUNCH of 8 Reales on the beach this Summer with my CZ6a and CZ20. I think the CZ's are one of the best beach machines ever made ( I should say one of the best all around machines ever made !). 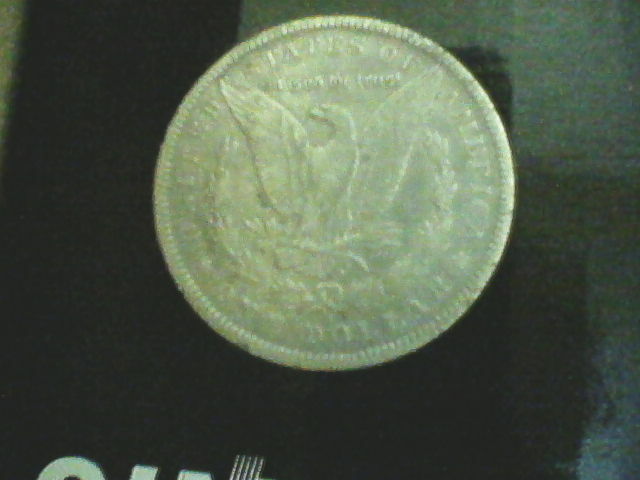 Here is a picture of one of the Reales I found. 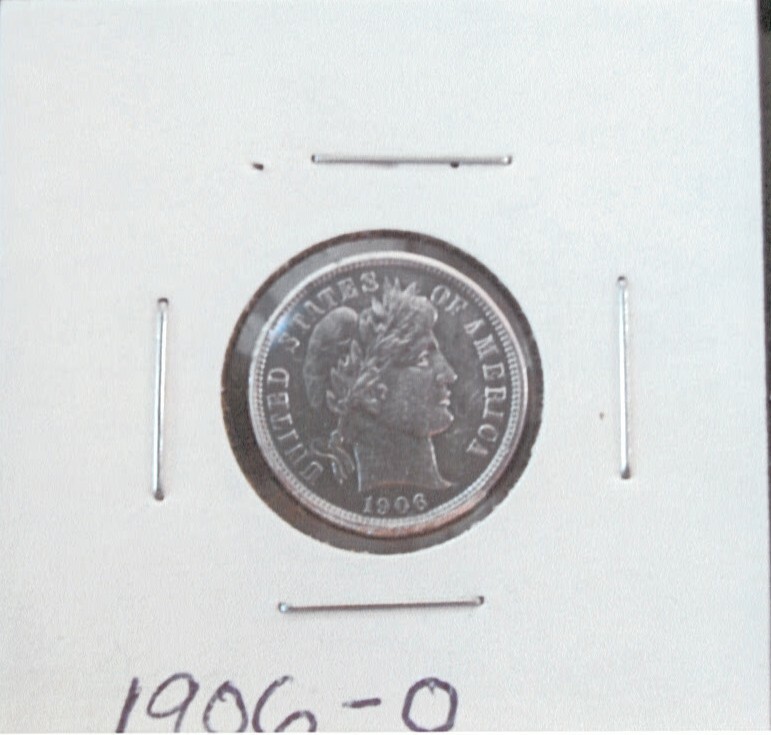 The Fisher CZ-3d quickly became my favorite machine by making many great finds including this rare 1909 S VDB cent that was featured in the first edition of Treasure Depot Magazine. Thanks Fisher! 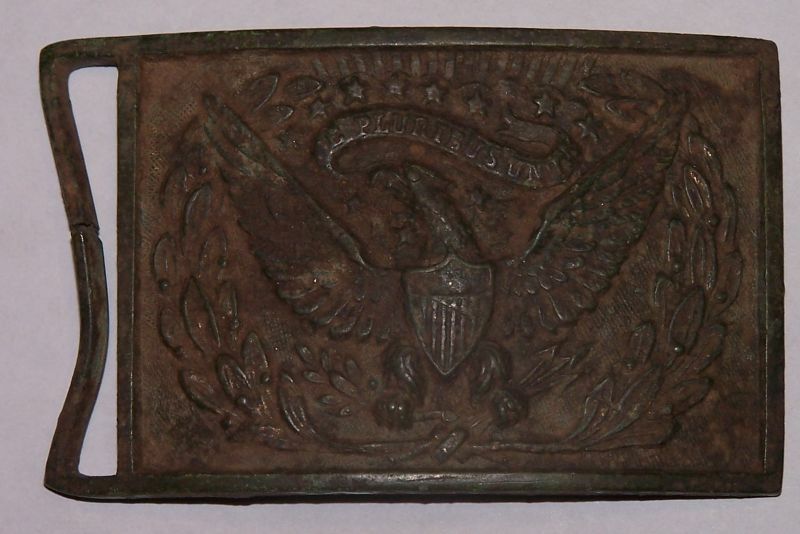 This military officer's sword belt plate was found with my Fisher F2 with 8" coil on May 11, 2008 in Bixby, Oklahoma. I made my best find ever with my F75 this past October. I was in Destin, FL and found this 1 KT diamond ring! The victory was short lived as my wife promptly placed it on her finger but the joy was in finding it. Thanks Fisher. 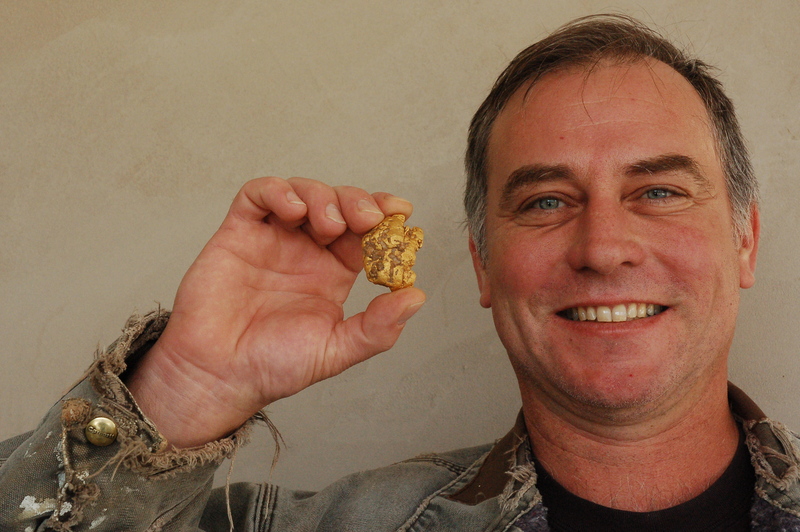 Nov. 2009 - My name is George McDonald and I am a proud owner of a Gold Bug – 2. 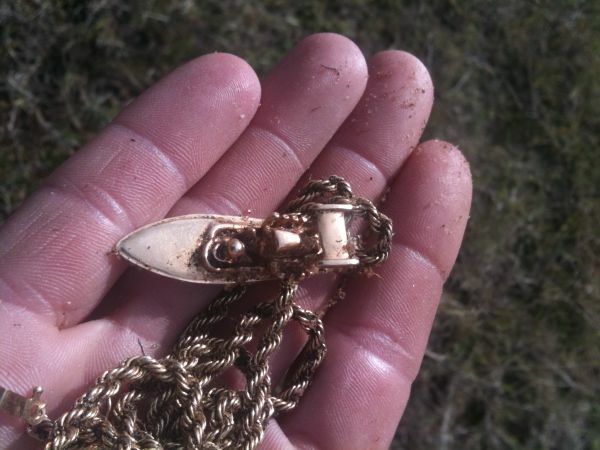 Within the last 45 days I was using my Gold Bug to search a creek in North Carolina and happened on the largest single gold item found in the state in over one hundred years. 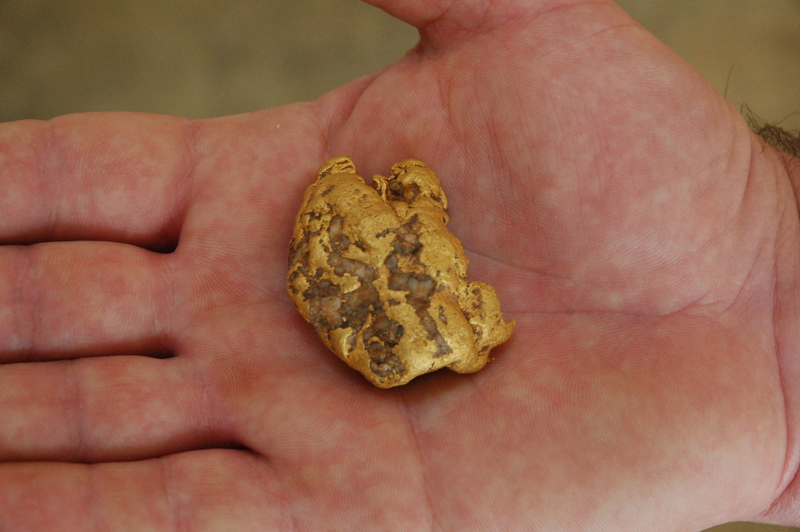 It was a 5.2 oz nugget I call the Golden Potato. It is roughly the size of a goose egg. Just wanted to let you know that the Gold Bug has done its job again and this time it has found a historic piece. Comments: I took my F-75 to a "worked out" site that has been hunted since the 1960's by every detector brand known to man. My friends and I pounded this spot hard for over 10 years with Fisher CZ's and 1266's. It stopped producing relics and was really hard to hunt because of all the iron trash in the ground (the place was used as a dump site for many, many years). When I got to the site, I put the 3x6 coil on and waded into all the junk. 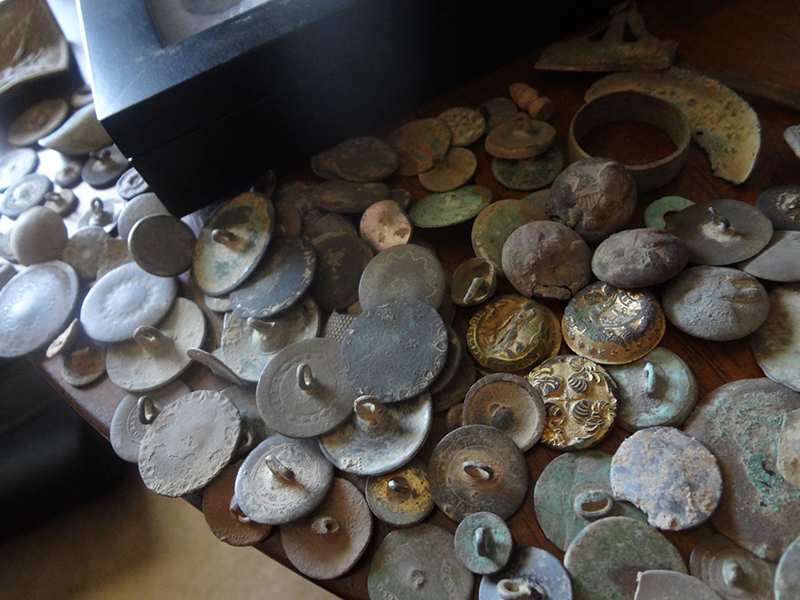 I found five buttons that day, four eagle buttons and the cast "I". I was amazed when the cast "I" came out. There was iron junk in the ground all around it but the F-75 still gave a good high tone! The F-75 just pulled those buttons right out of the iron matrix! 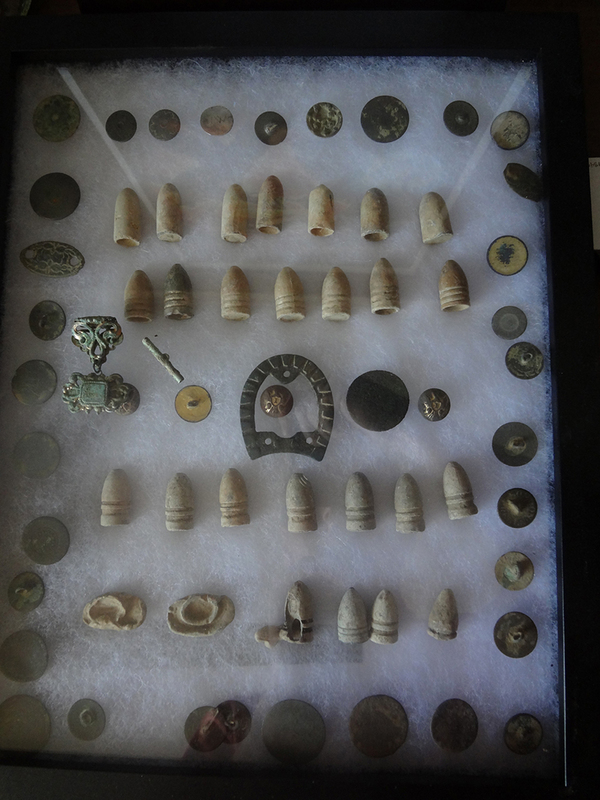 I also dug bullets, an artillery shell fuse and other relics. All these relics had been missed by us on previous hunts at this spot . 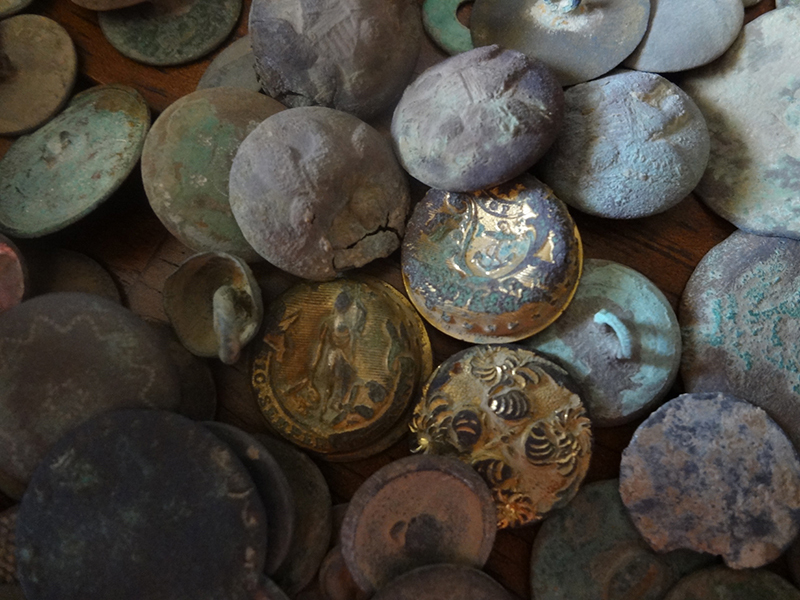 I have found more Civil War buttons in the last six months with the F-75 than I did the prior two years with my old machine. Thanks Fisher for making such a great machine! If the F75 can find these since April of this year I can only dream what the LTD in boost mode could find. 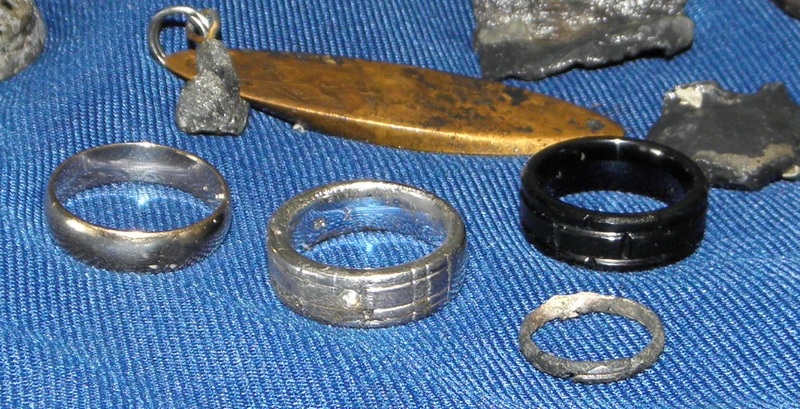 Pictured are four silver quarters, 21 silver dimes, 2 silver nickels, my best find yet, a man's gold wedding band and other nice gold and silver rings. 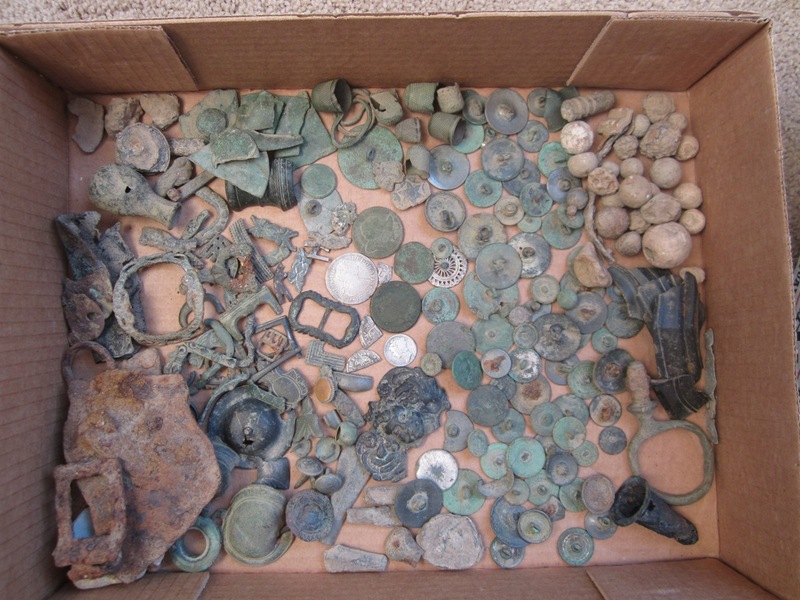 Now not in the picture are 51 wheat pennies, 6 buffalo's, 1 V nickel and 5 Indians, one of which was dated 1870 ($75 book value). 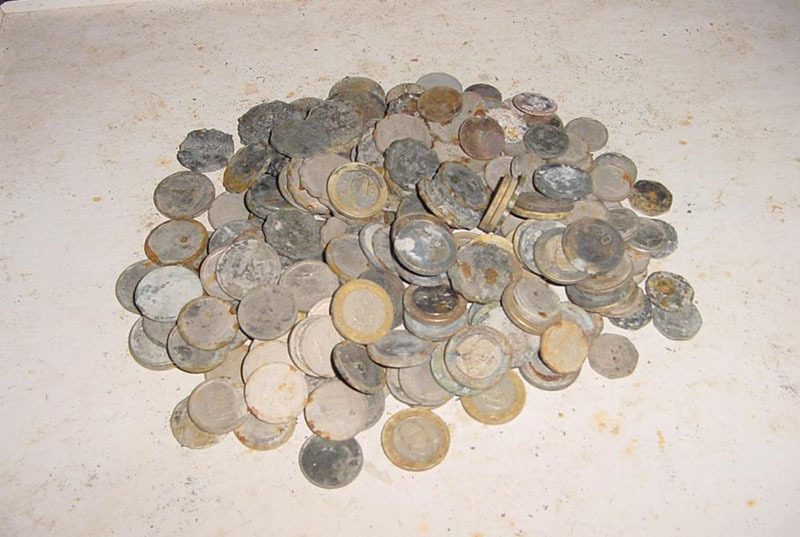 Without exaggerating my F75 has found more gold and silver since April of this year than the previous 5 years of hunting with other detectors. Oh, before I forget, a huge handful of less than high quality jewelry and lots of clad. I was hunting at an old school where I’ve found some odd relics in the past. The ground is covered with small pieces of coal cinders which are the size of BB’s which makes it very difficult to hunt. The machine (F75) usually GB at 82-85 and the FEO meter is usually maxed out. This location is where I found my first gold wedding band on 5/21/2009., but this coin was a complete surprise, found 10/25/2009.